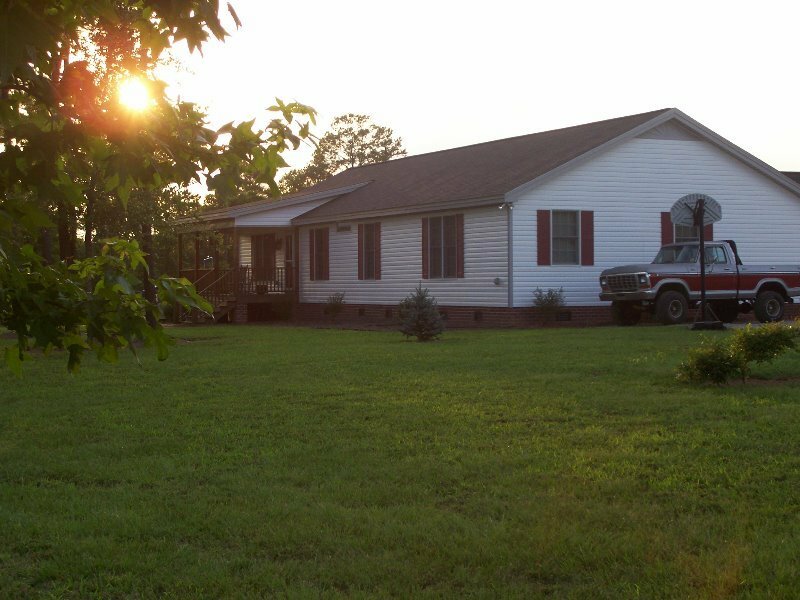 JOSHUA 24:15 ... but as for me and my house, we will serve the Lord. 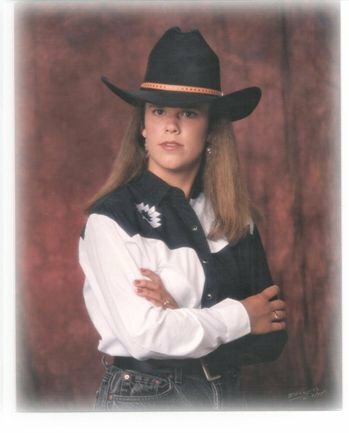 As you already know, my name is Wendy. 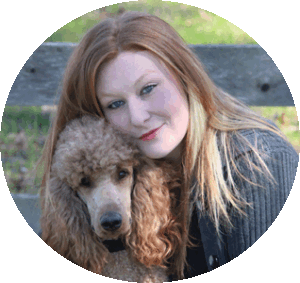 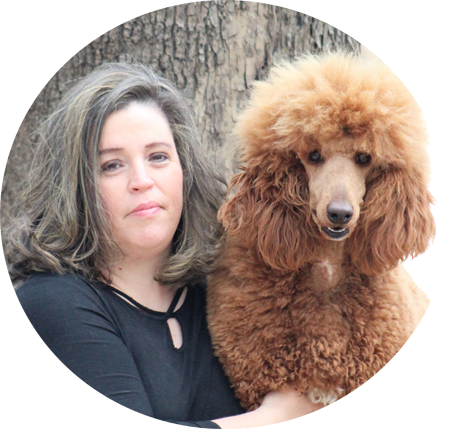 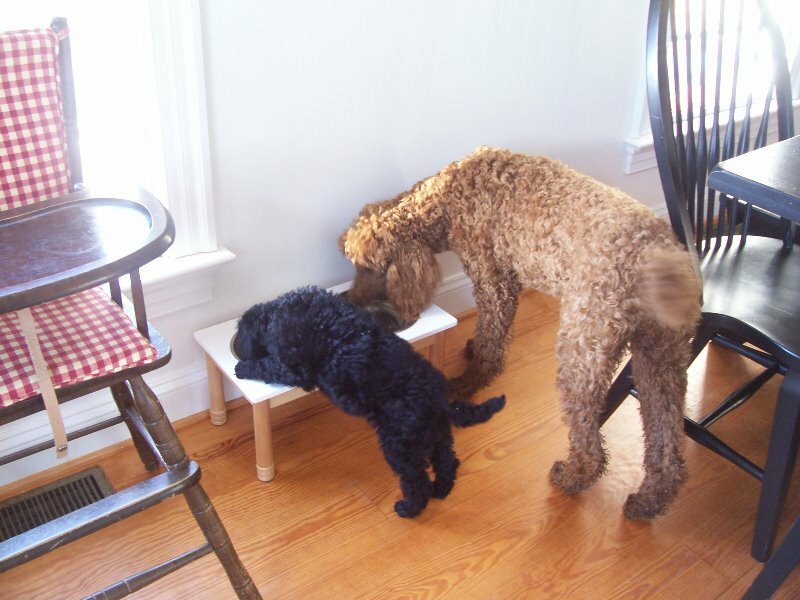 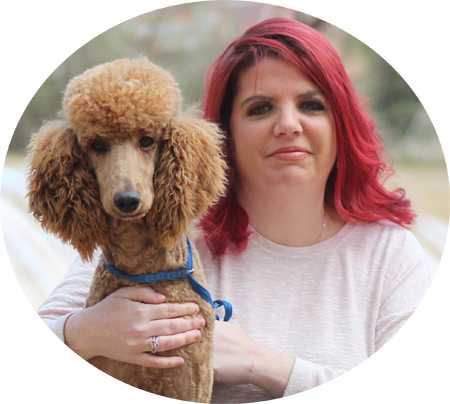 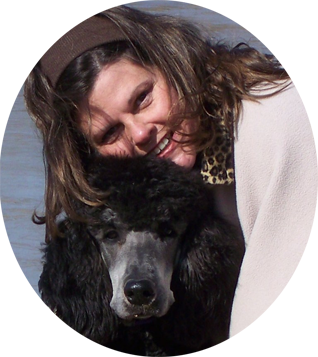 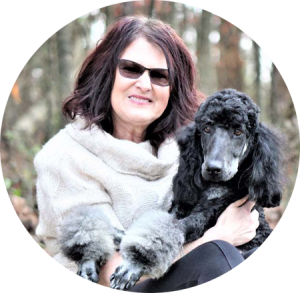 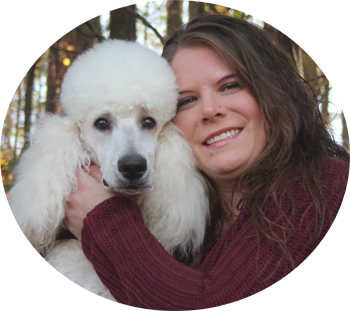 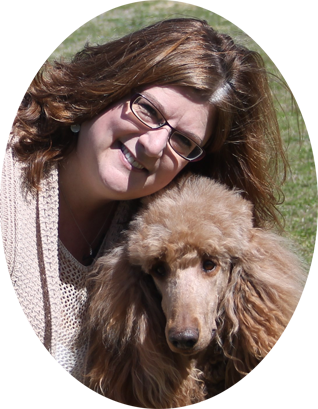 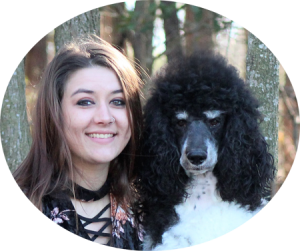 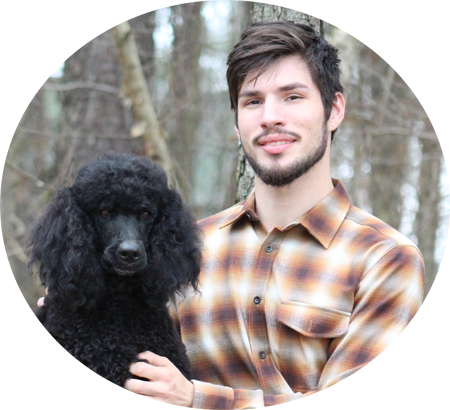 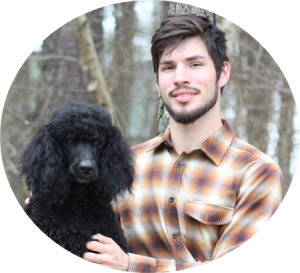 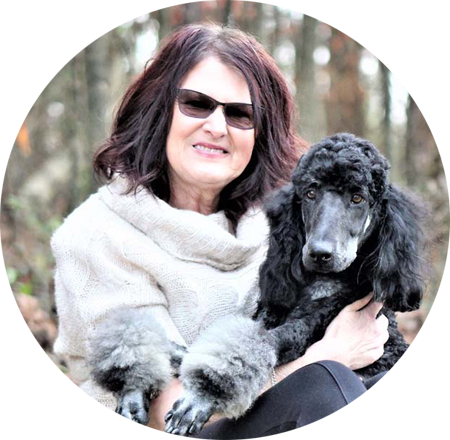 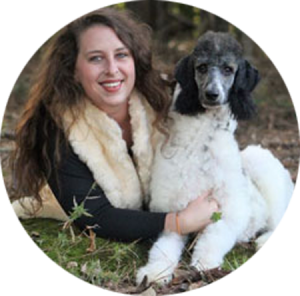 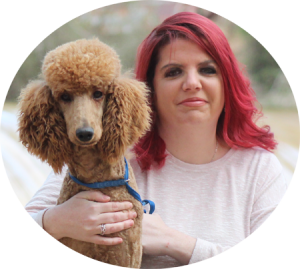 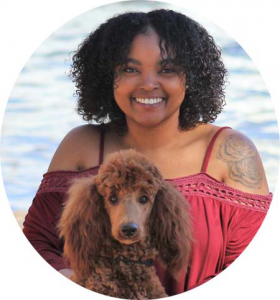 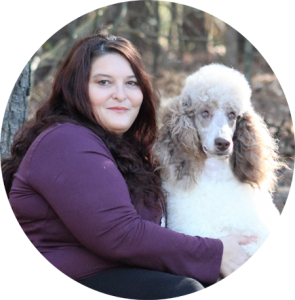 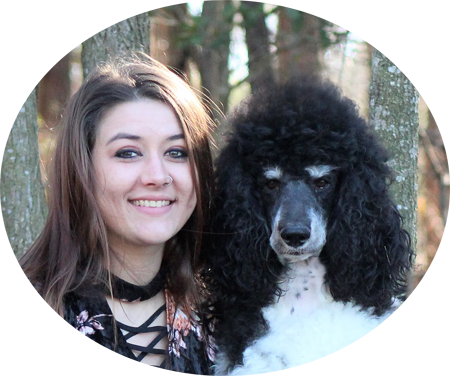 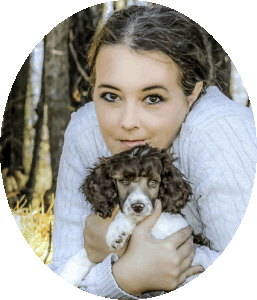 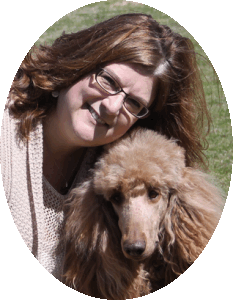 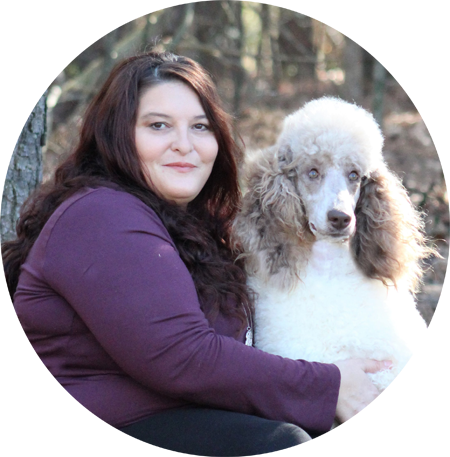 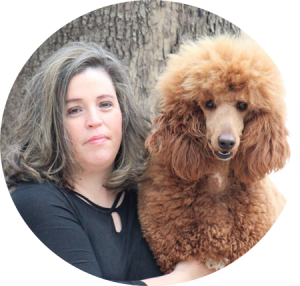 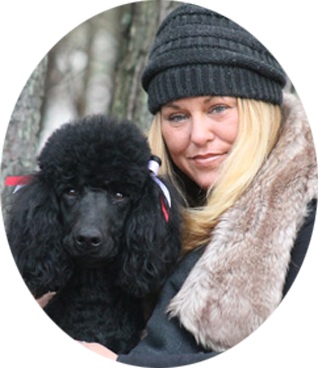 I want to tell you a little about myself and my family and how FAMILY AFFAIR STANDARD POODLES began and, of course, our future plans. 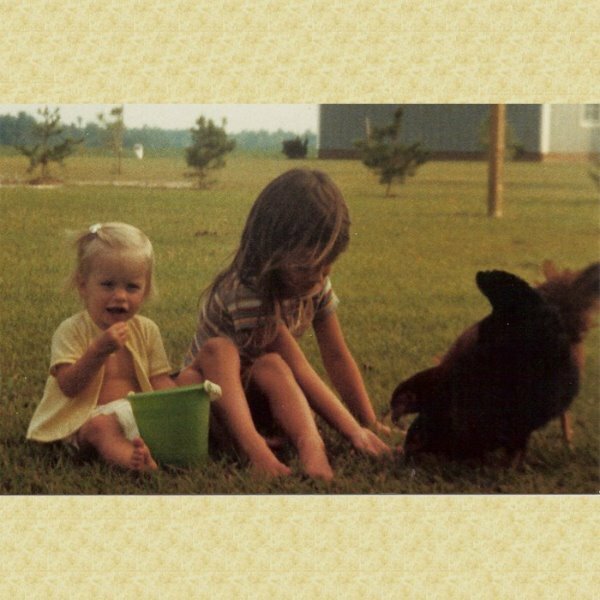 My older sister Holley and I were born in the sand hills of North Carolina and have lived here all our lives. 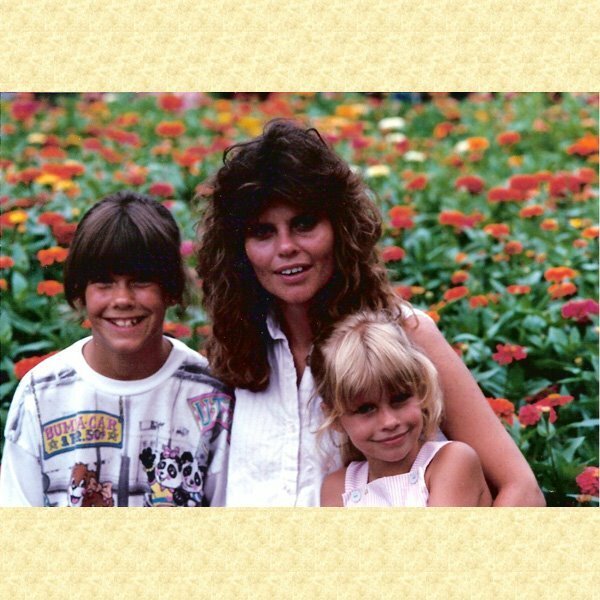 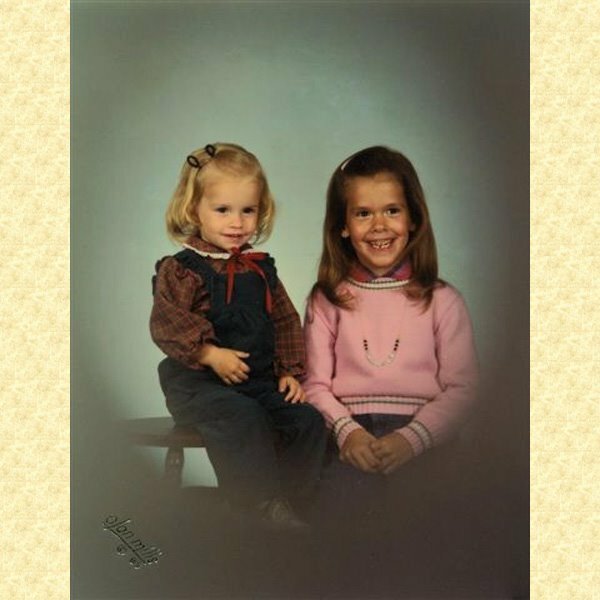 Most of the time when we were children, it was just Cindy my Mom, and the two of us. 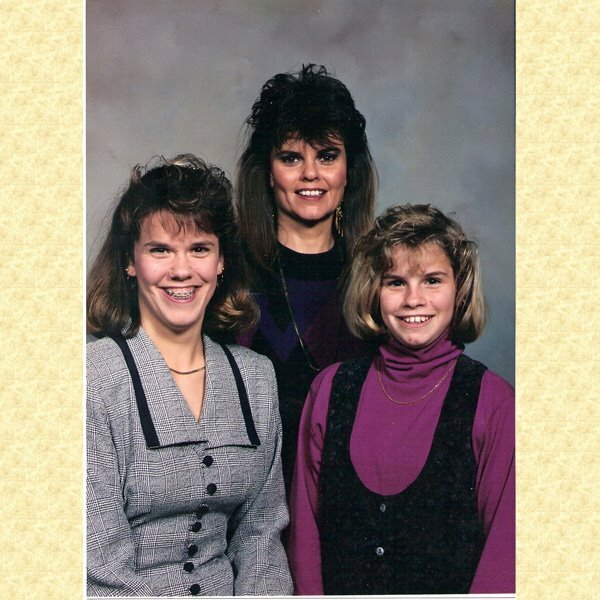 My mama accepted Christ as a young teenager. 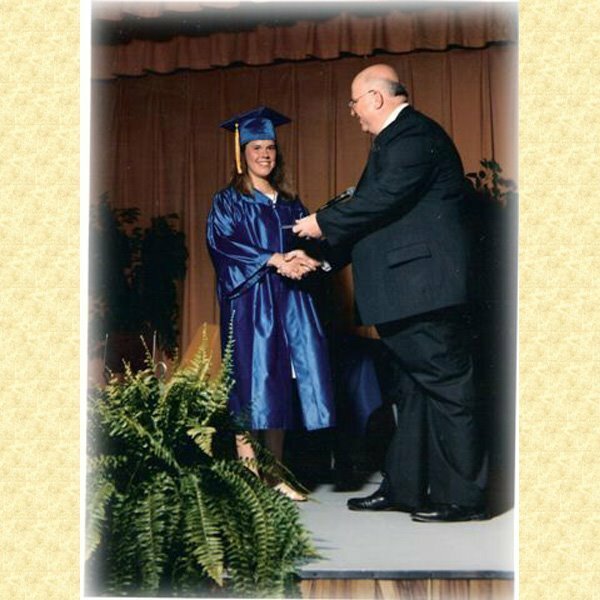 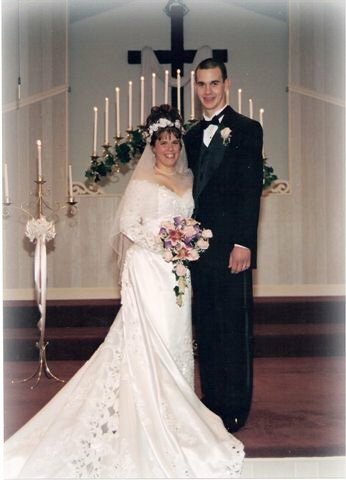 Romance and other obstacles had gotten in the way of her walk with the Lord, so she wanted Holley and me to grow up in a Bible­ believing church, surrounded by Christian people and friends. 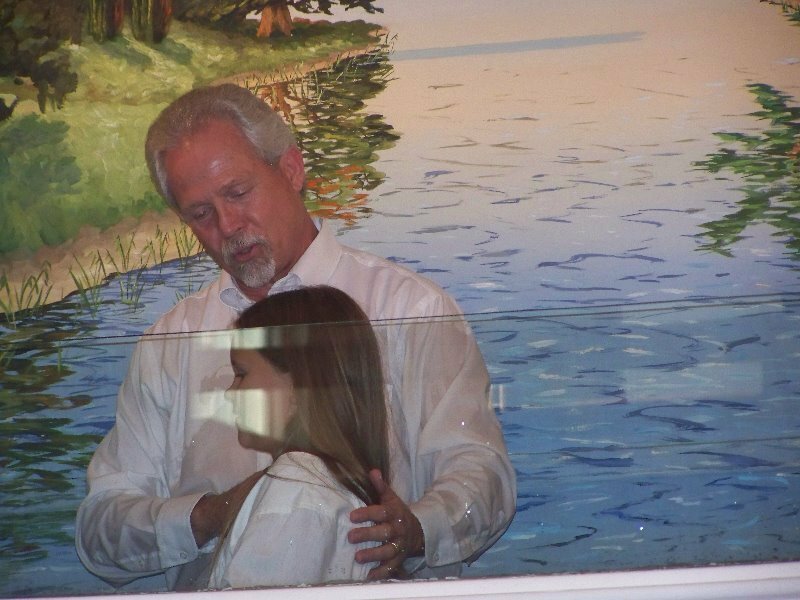 Holley and I were blessed to have accepted Christ as our personal Savior at a young age. 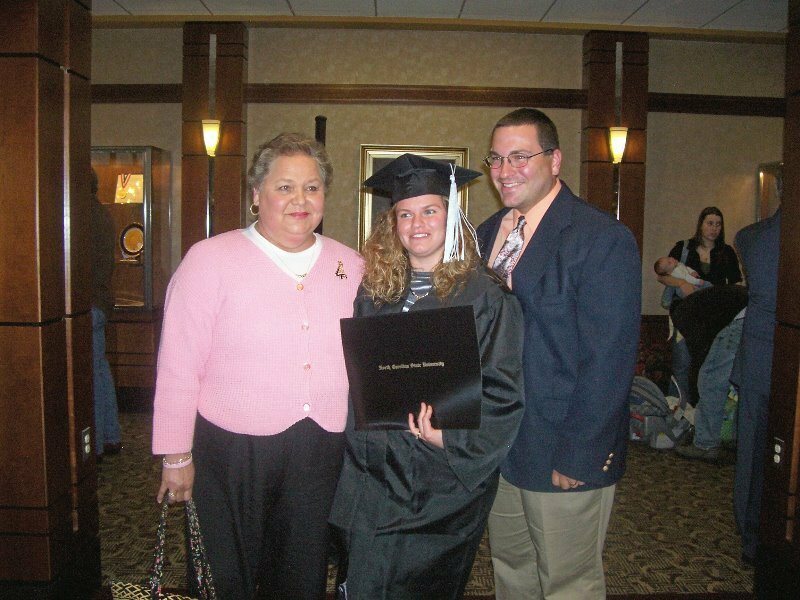 We also attended and graduated from Christian schools which was another way my mom wanted to assure us of a happy future, with Christ at the center of our lives. 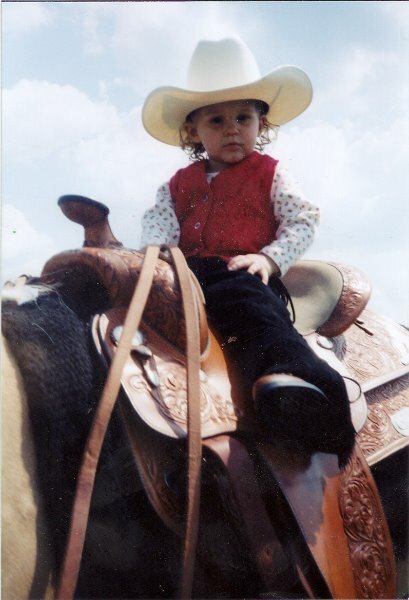 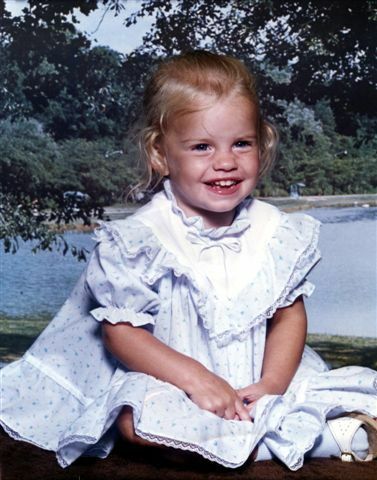 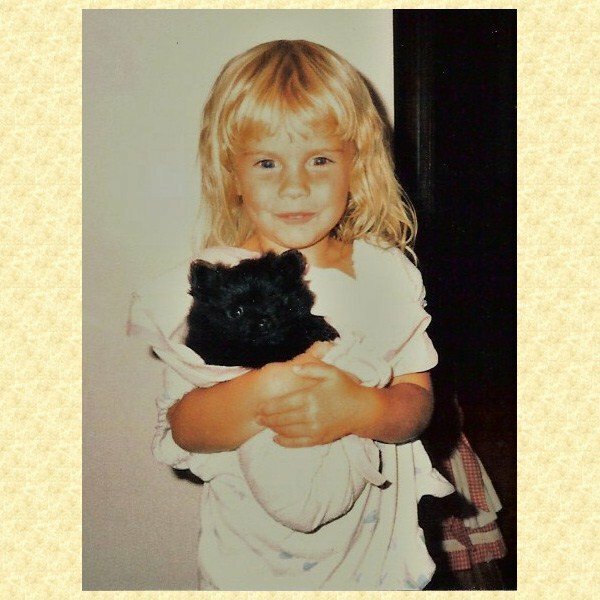 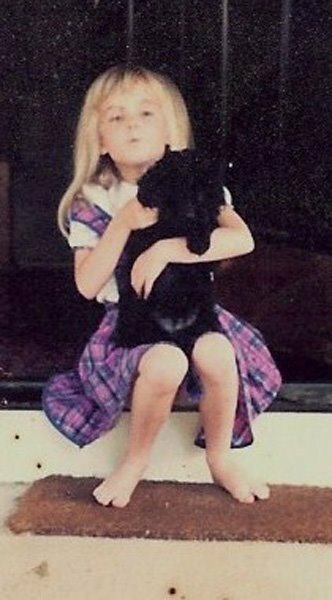 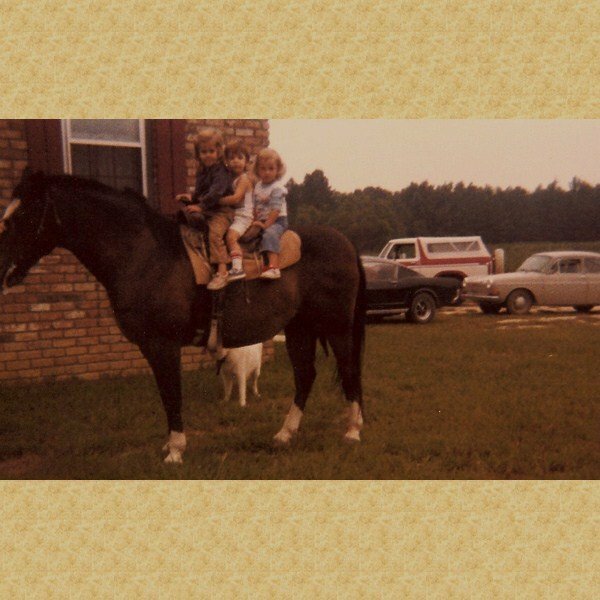 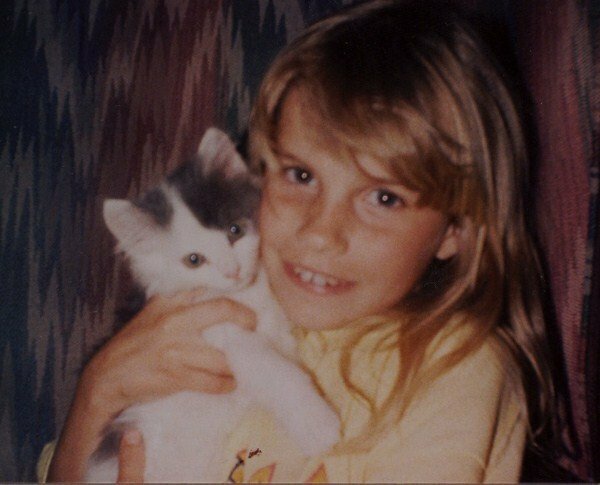 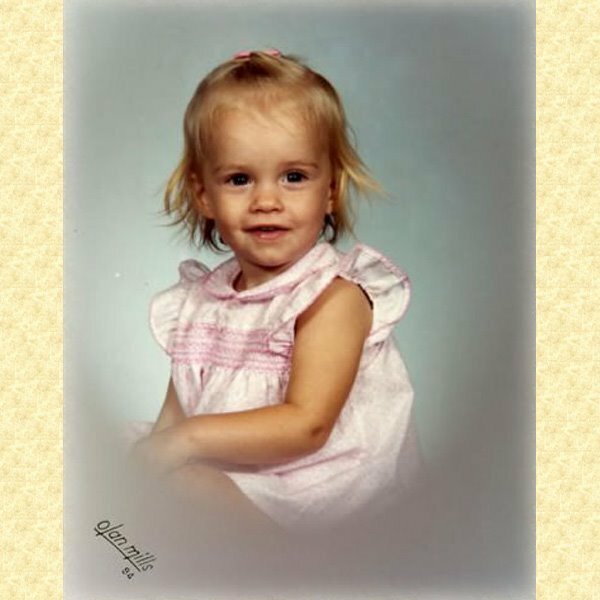 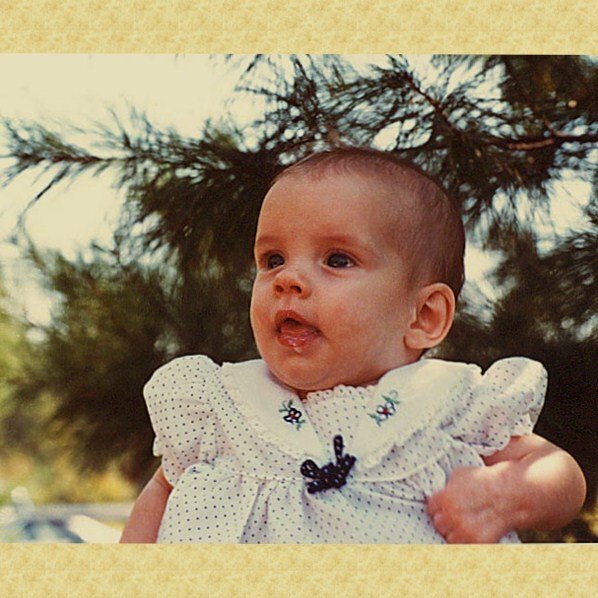 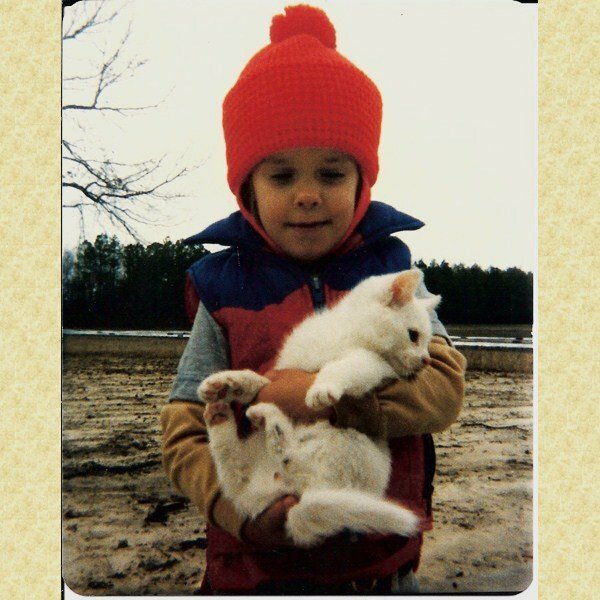 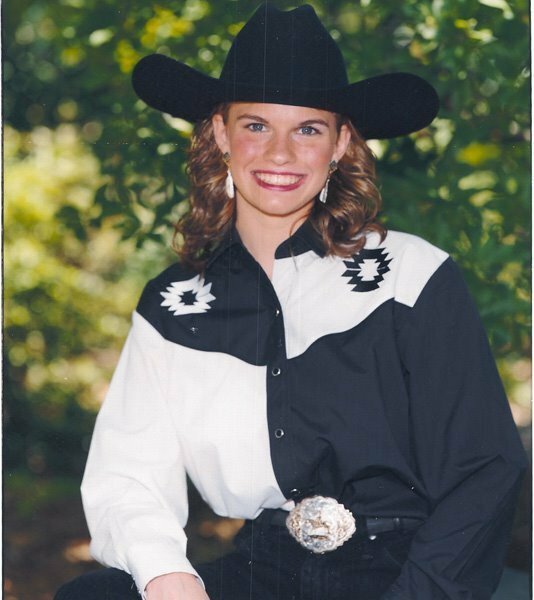 Some of my earliest childhood memories are of cuddling puppies and kittens, feeding chickens and horseback riding. 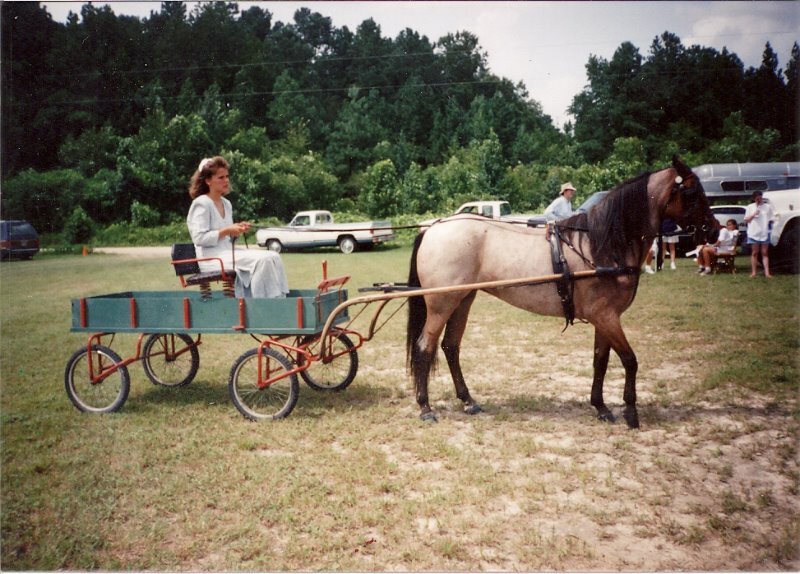 Mama saw to it we had every type pet we wanted from parakeets and ferrets to horses. 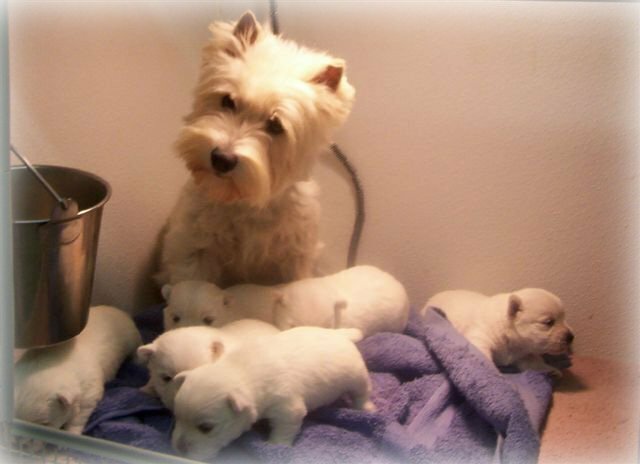 She also made sure we learned the huge responsibility of taking care of them. 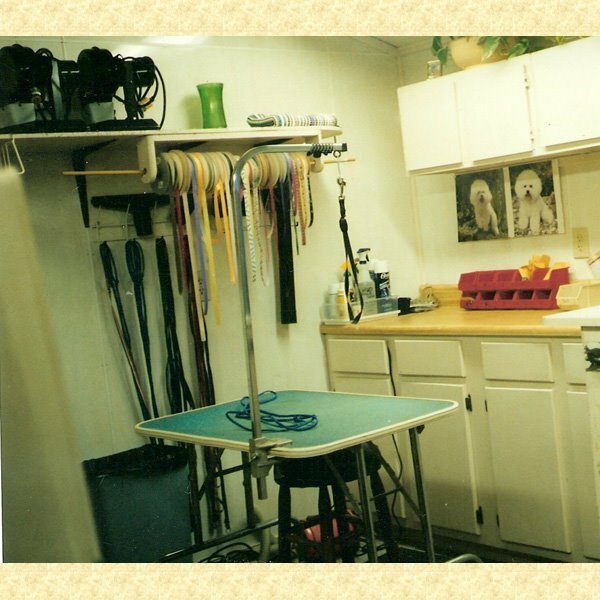 We learned at a very young age the importance of good cleaning practices, feeding habits and medical care to assure that our pets were all happy and healthy. 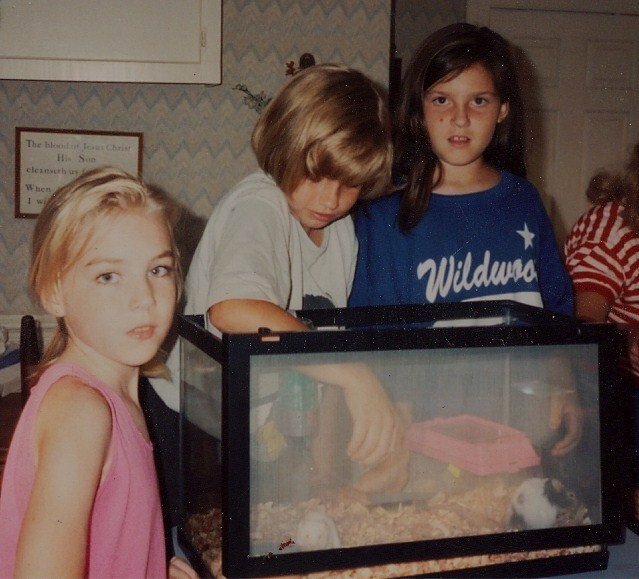 When Holley was a young teenager and I was about ten we raised and sold rabbits, hamster and mice to local pet stores. 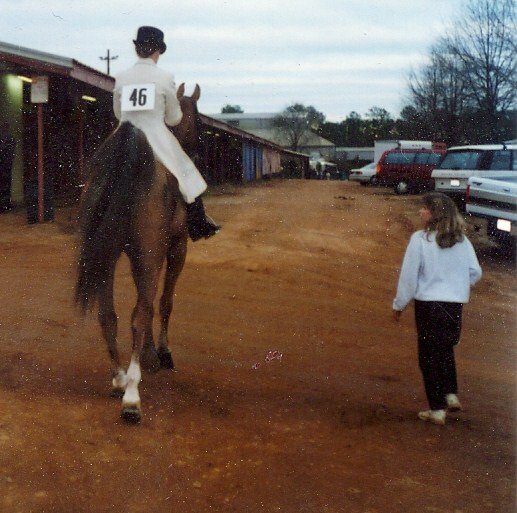 We did this to help mama support our horse-showing hobby. 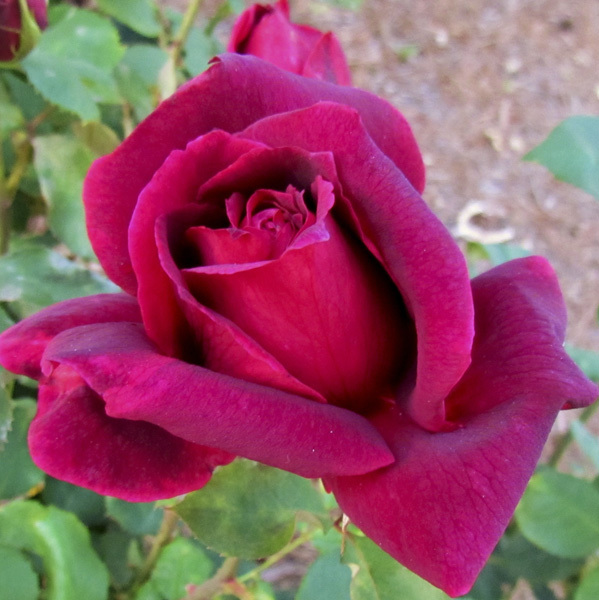 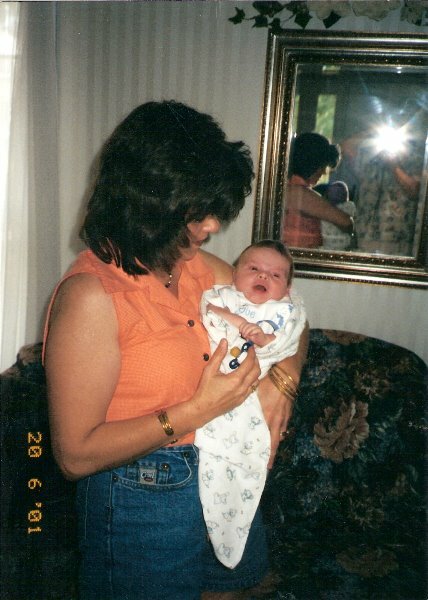 The miracle of birth and the sadness of death was a part of our everyday lives. 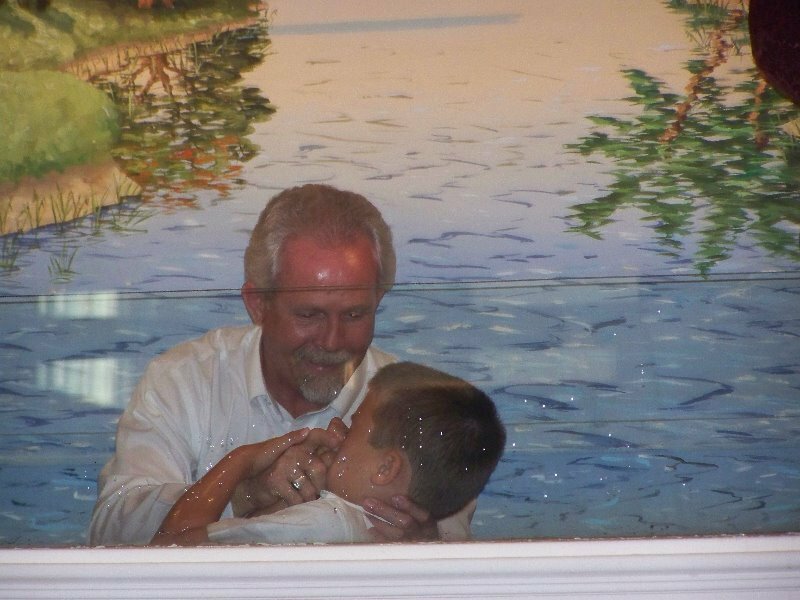 Although things were not perfect in some areas of our lives, this was an amazing, blessed way to grow up. 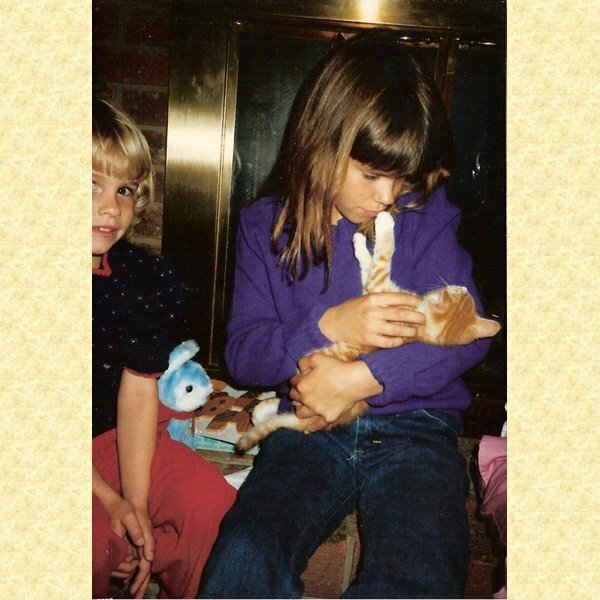 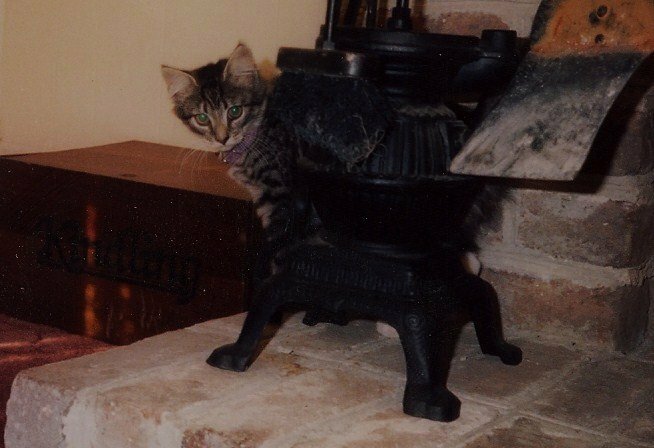 Our home was always full of God’s creatures and we loved each and every one, even the mice! 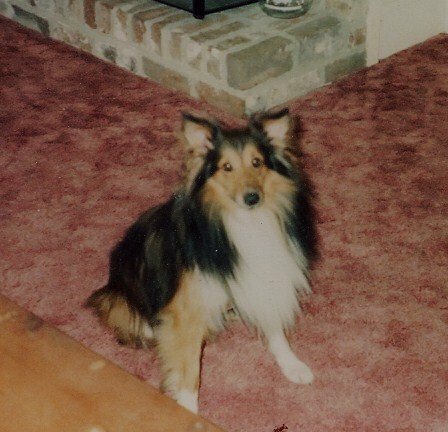 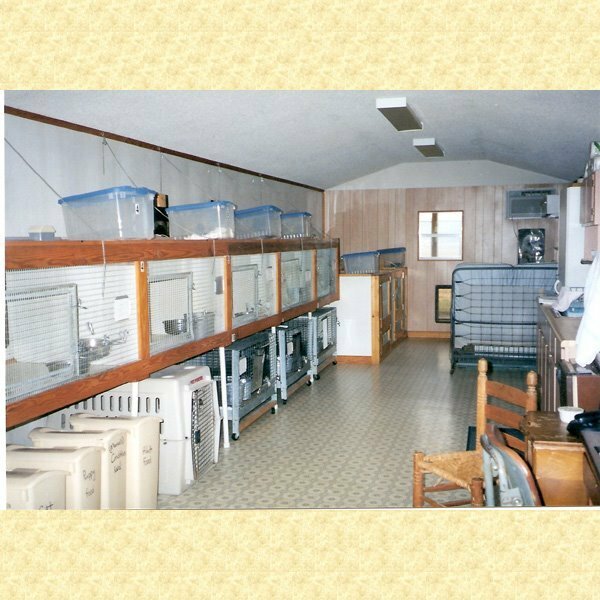 For a few years, Mama raised and did obedience training with Shetland Sheepdogs (Shelties) and then decided to open a grooming and boarding facility at our home in 1989. 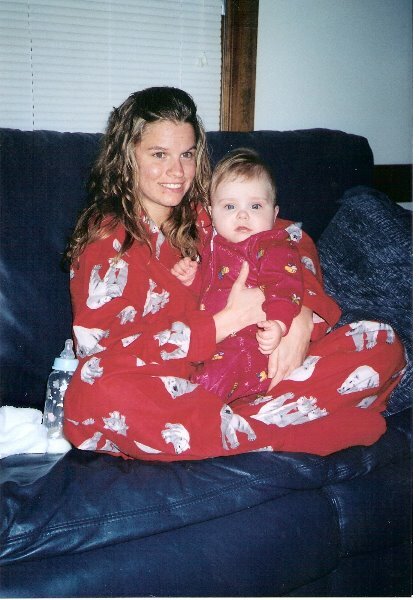 This allowed her to have the biggest desire of her heart, which was to stay at home with Holley and me. 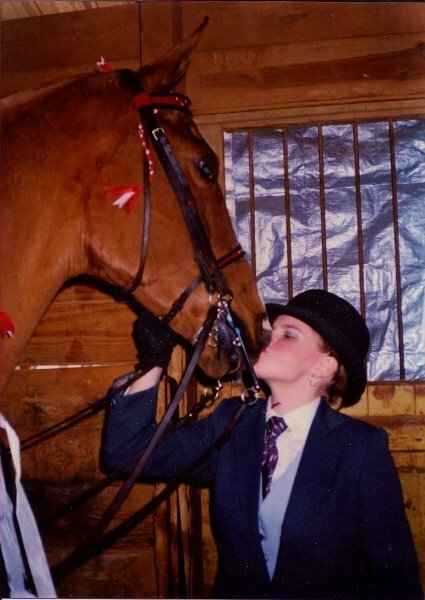 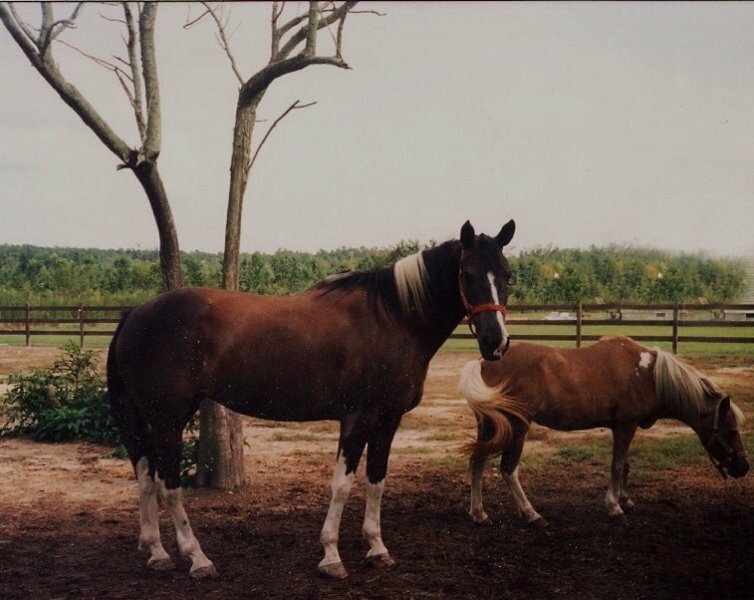 The second dream of my mama’s was to have a career working with dogs and horses and the new company made part of that dream come true. 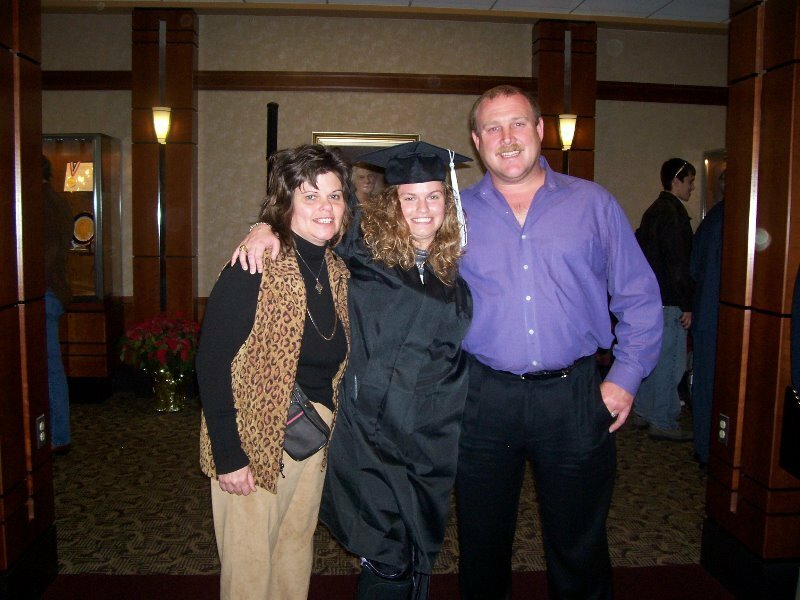 This decision allowed her to have a very successful career with an ample income to provide for us. 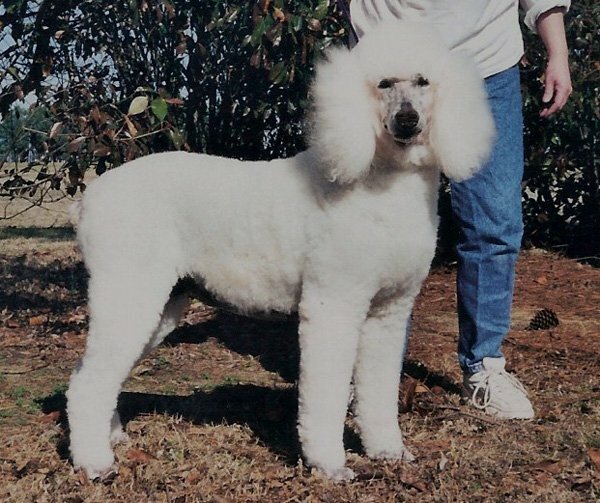 Just after opening the grooming shop in 1989, we met our first Standard Poodle. 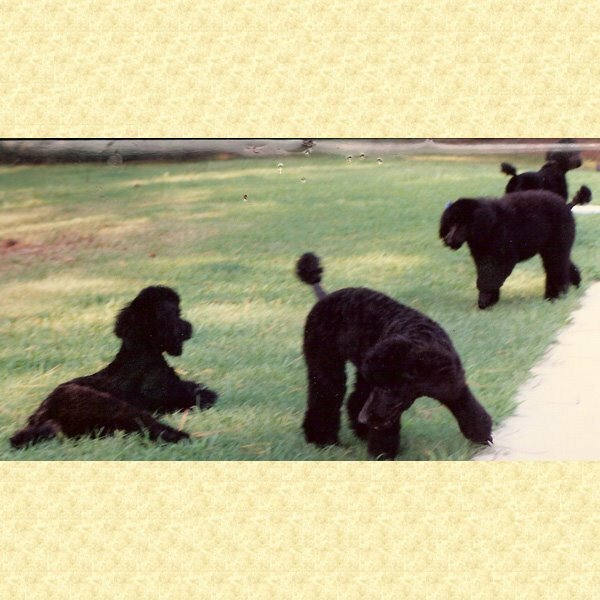 Into the shop one day walked a beautiful pair of black Standard Poodles. 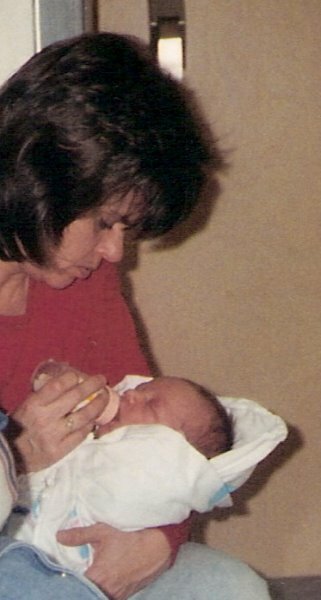 It was a mother and her son. 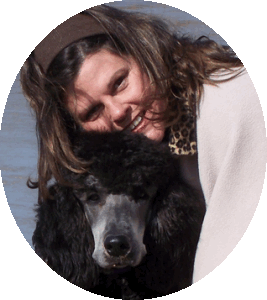 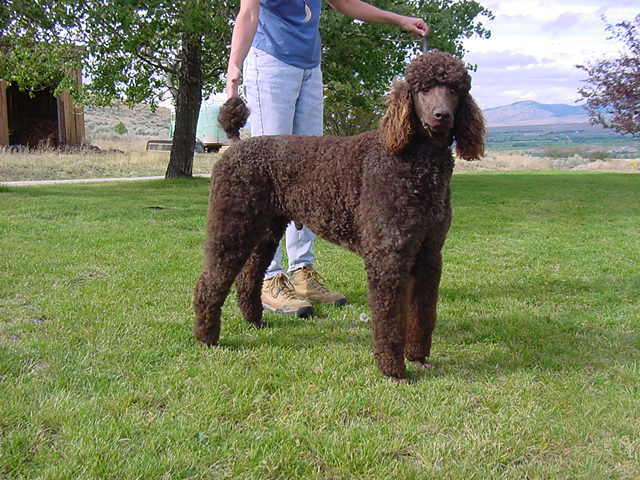 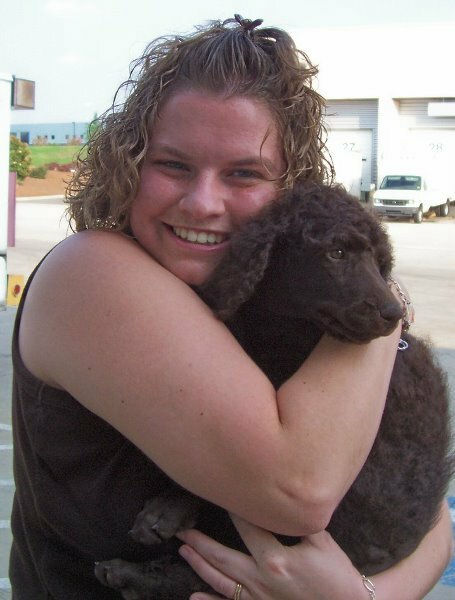 Venus, the mother, was a gorgeous, loving, elegant, and petite Standard Poodle. 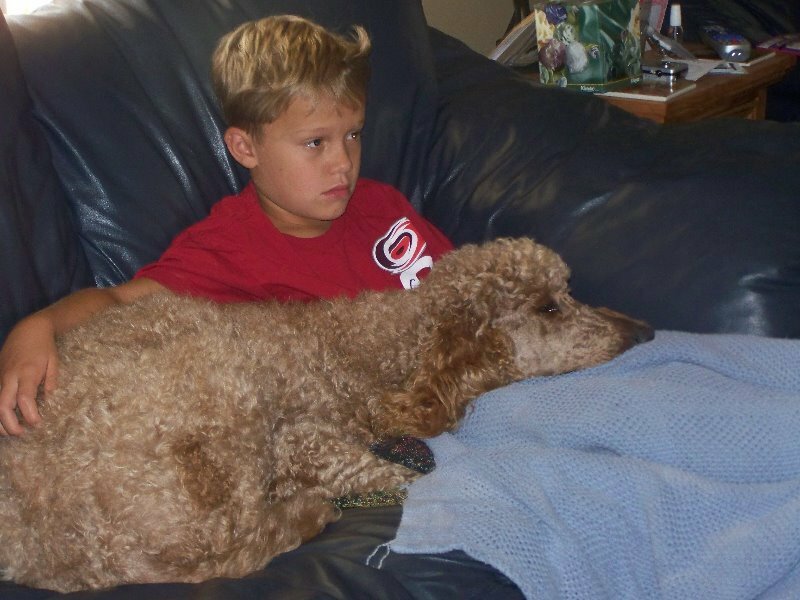 Her son, Keegan, on the other hand, still just a puppy, was a huge combination of fun, personality, intelligence and striking good looks. 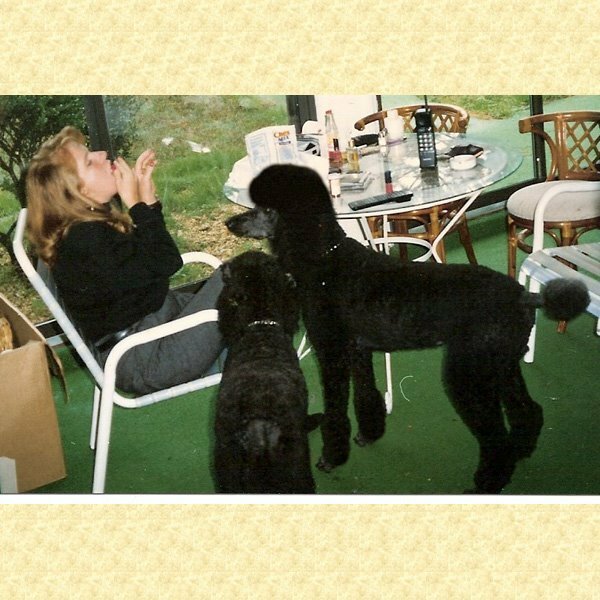 This was the moment my family’s love affair with the Standard Poodle began. 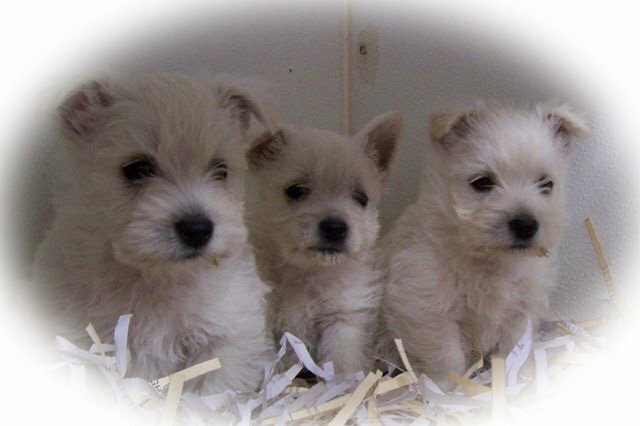 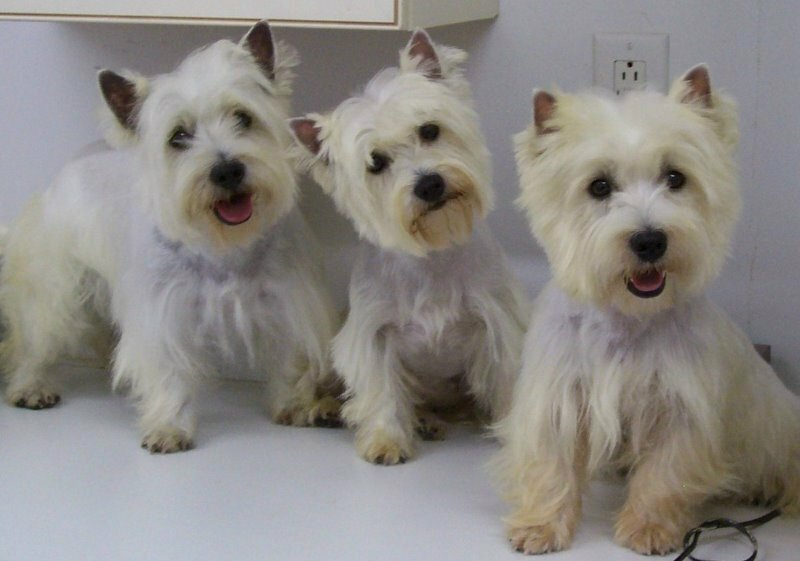 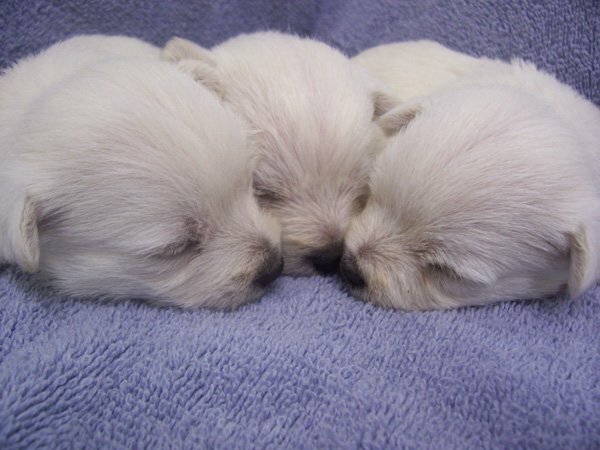 We met another breed in the early days of operating the grooming shop that stole our hearts and that was the West Highland White Terrier (Westies), “the little dog with a big dog attitude”. 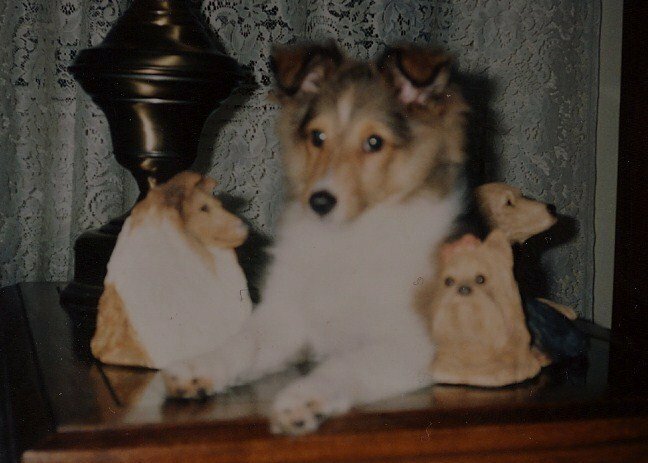 We were surprised that we fell in love with the Standard Poodle and the Westie, because our favorite breeds had always been the Collie and Sheltie (mini collie). 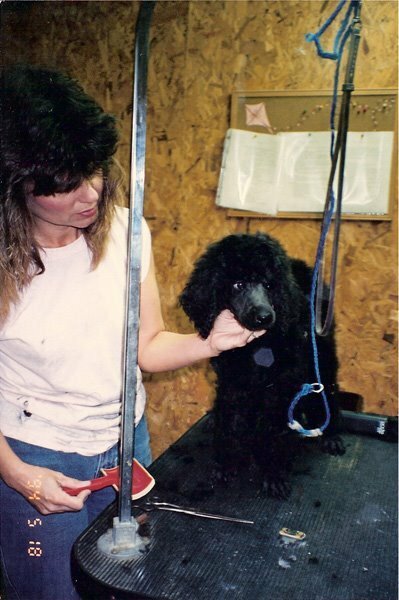 Mama groomed Keegan and Venus every few weeks and also trained Keegan. 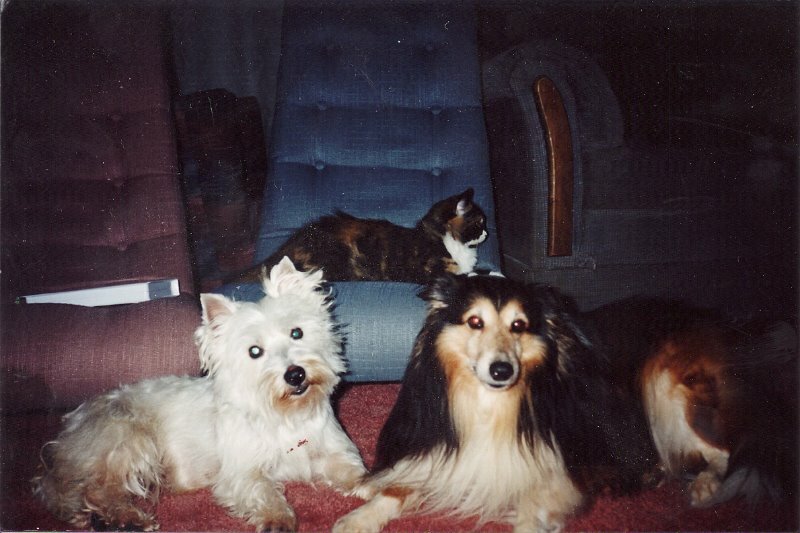 As a result the two were in the shop and in our home on a regular basis. 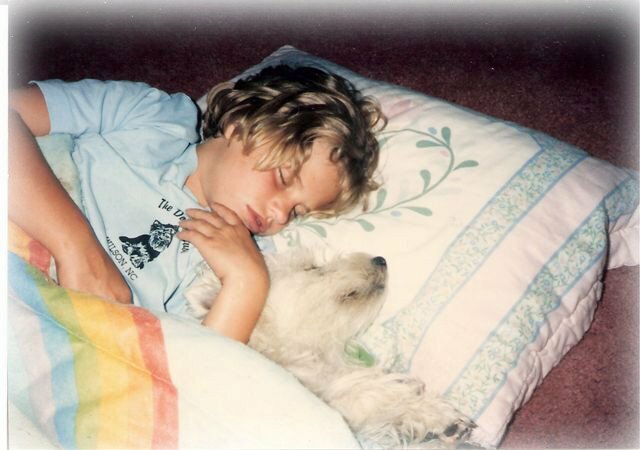 Keegan would come and stay just because we loved him. 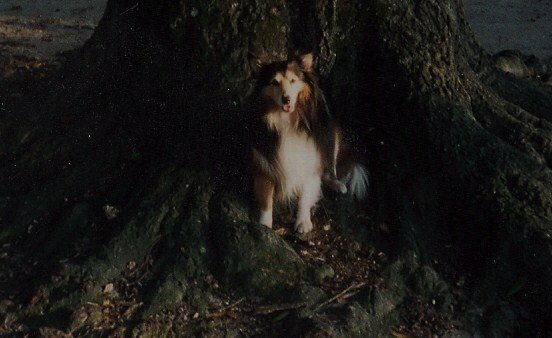 We grew to love their more confident, protective nature and large size, in comparison to the Shelties. 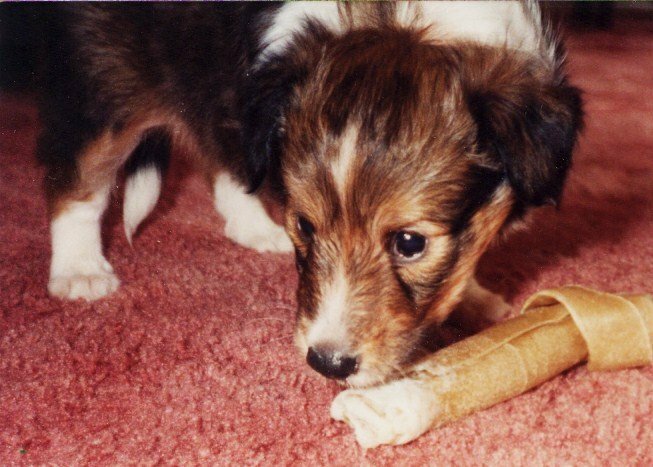 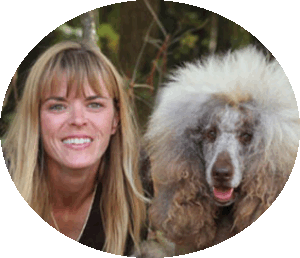 A huge plus in comparing the breed to the Collie, was no shedding or odor. 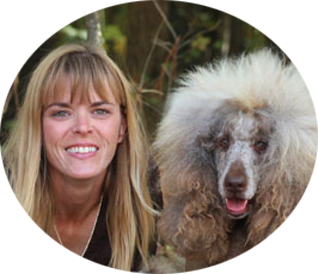 These qualities and the intelligence and loyalty of Keegan and Venus, convinced us this was a breed worth sharing with everyone. 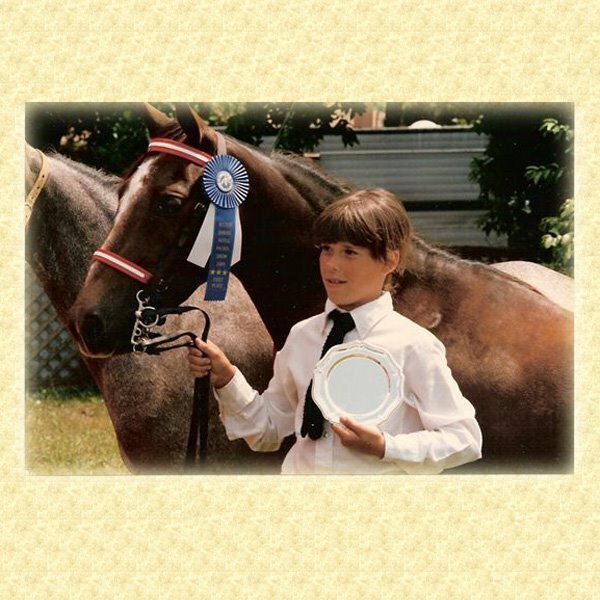 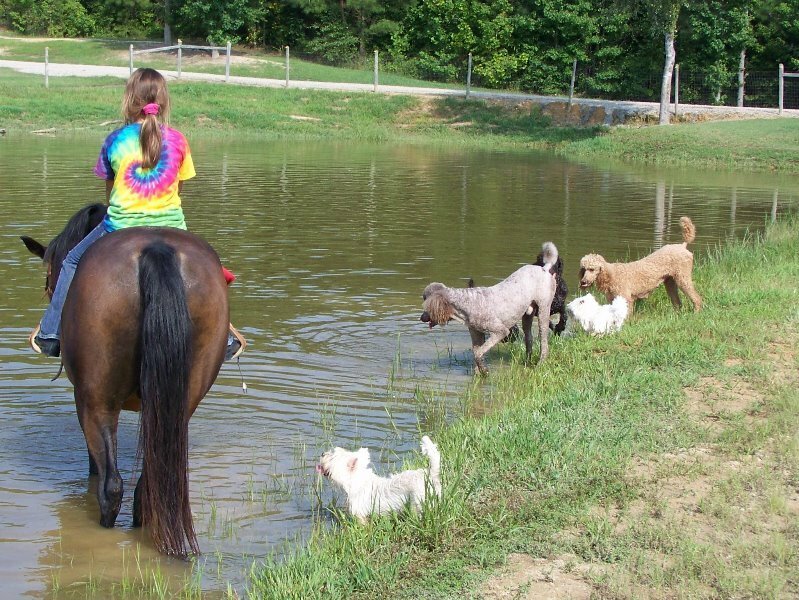 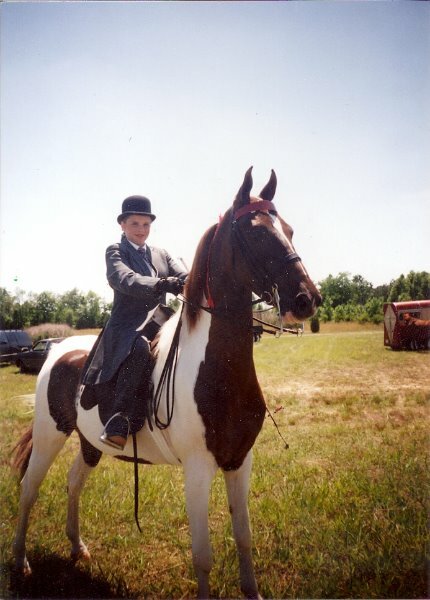 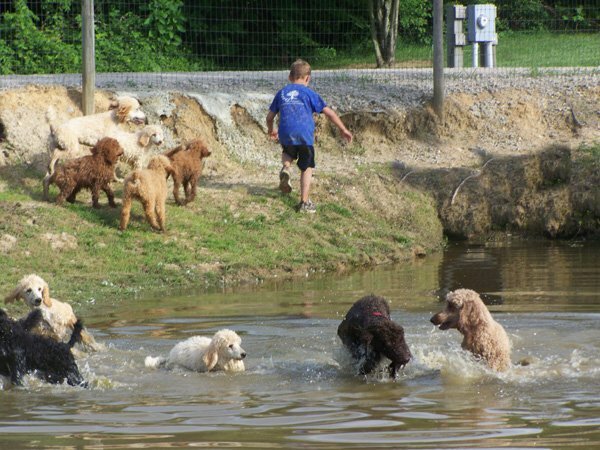 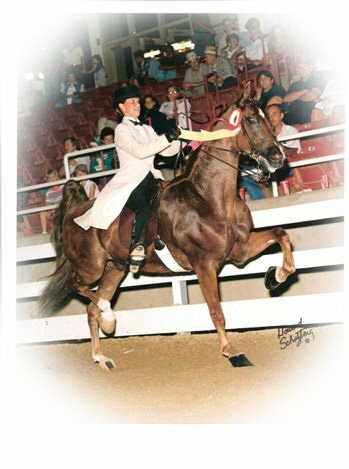 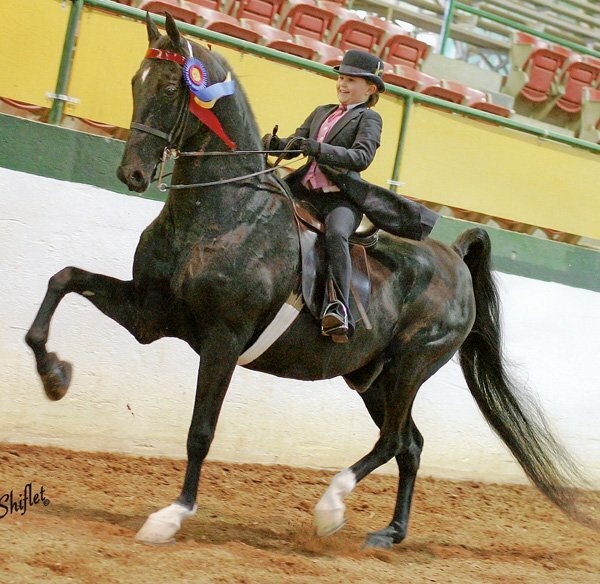 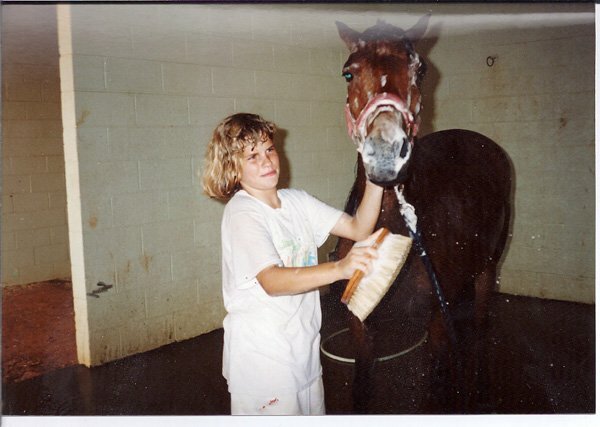 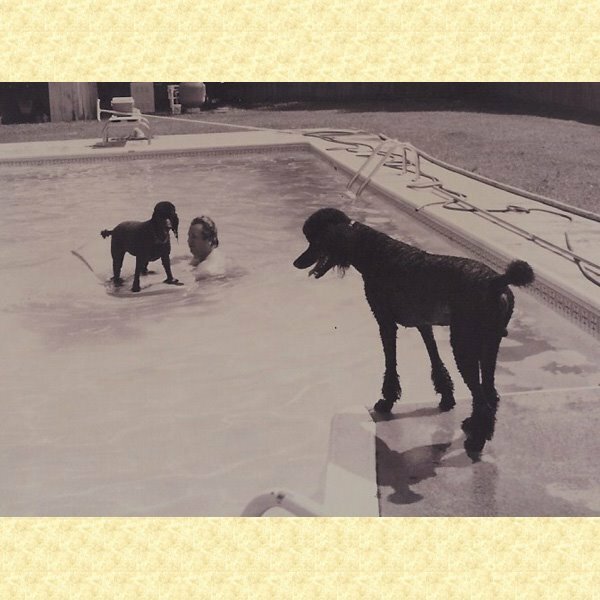 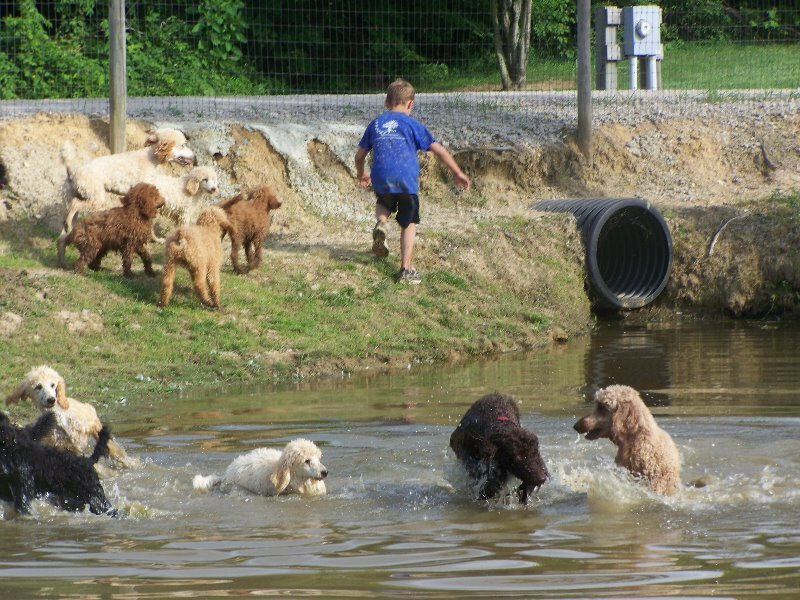 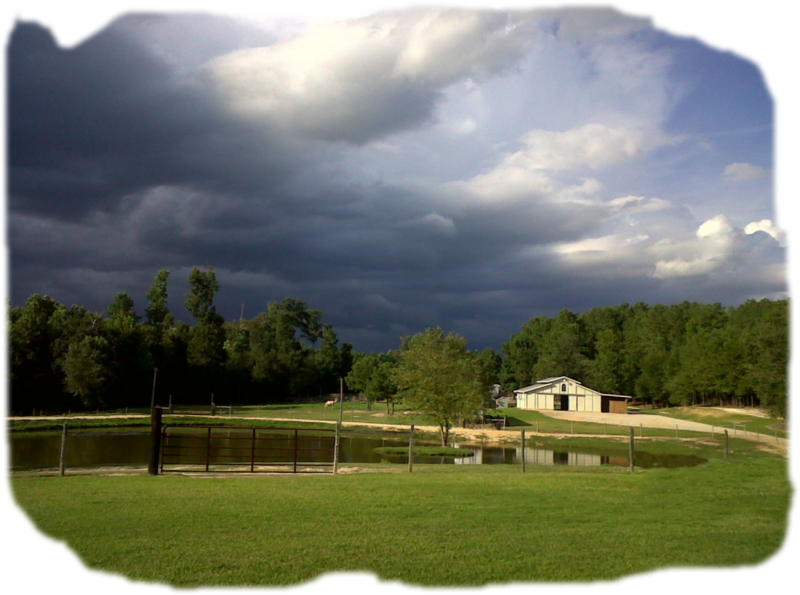 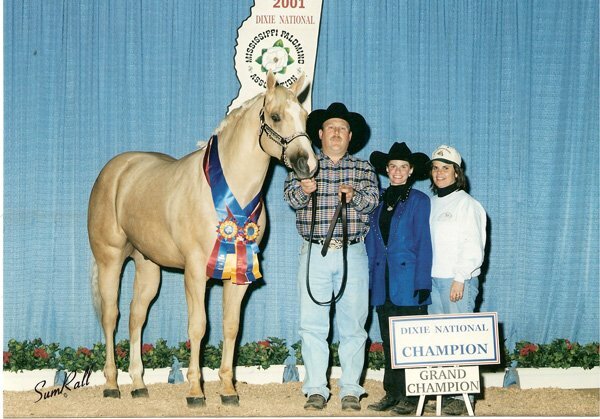 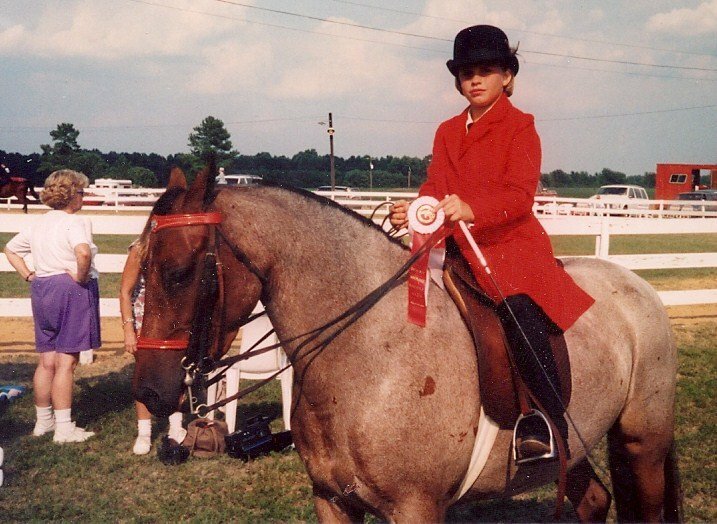 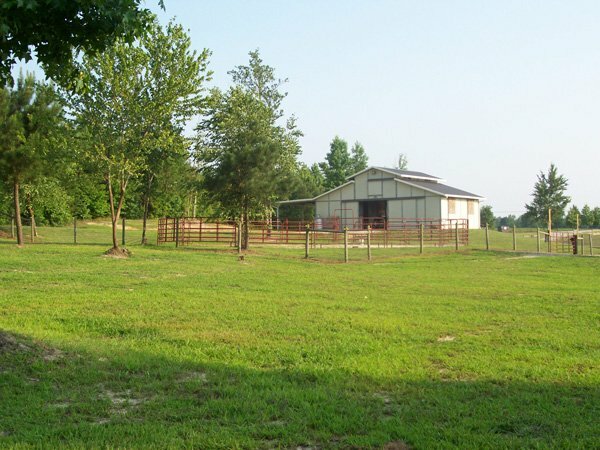 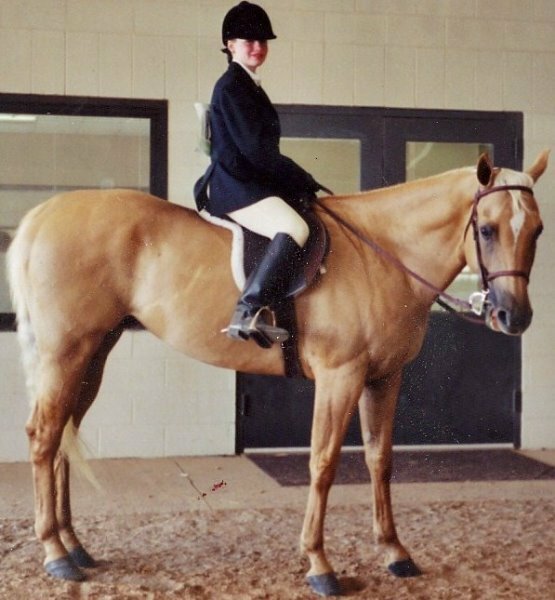 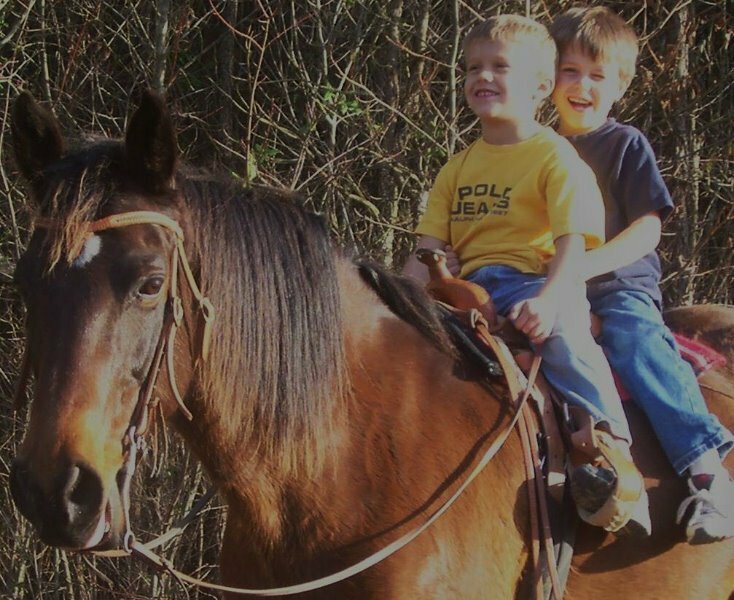 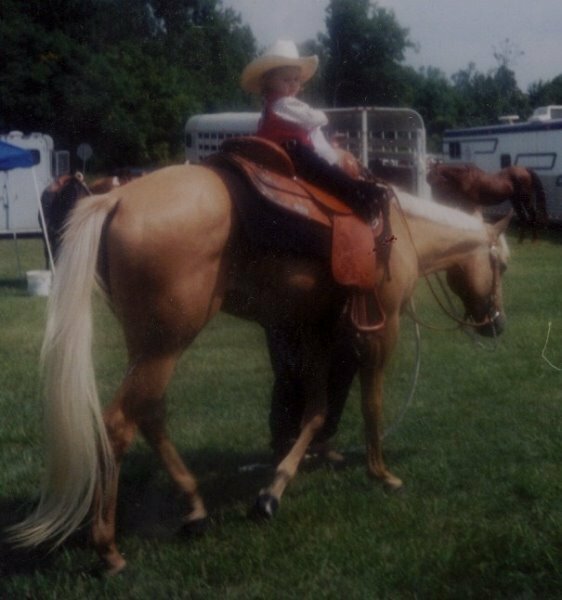 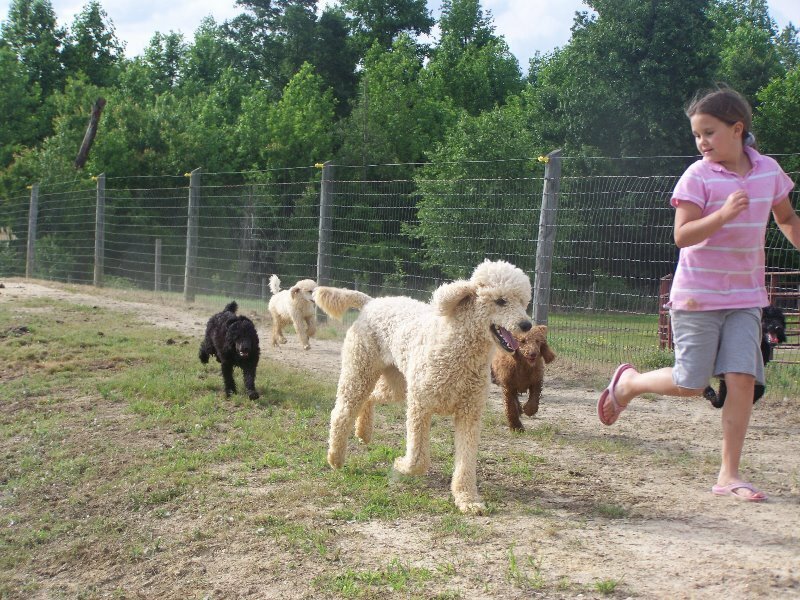 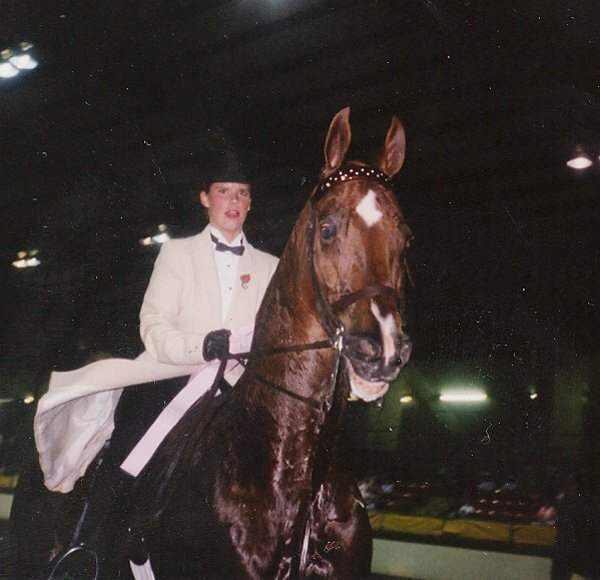 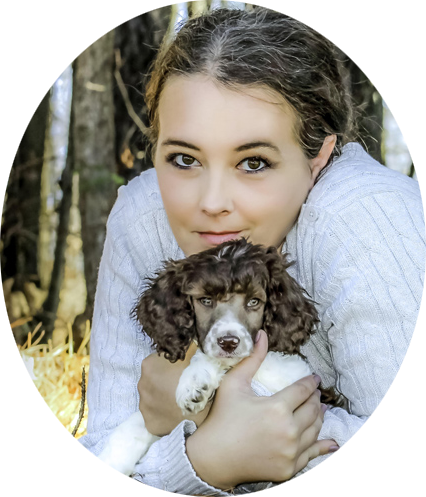 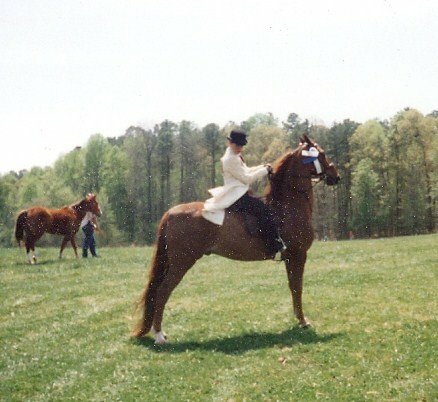 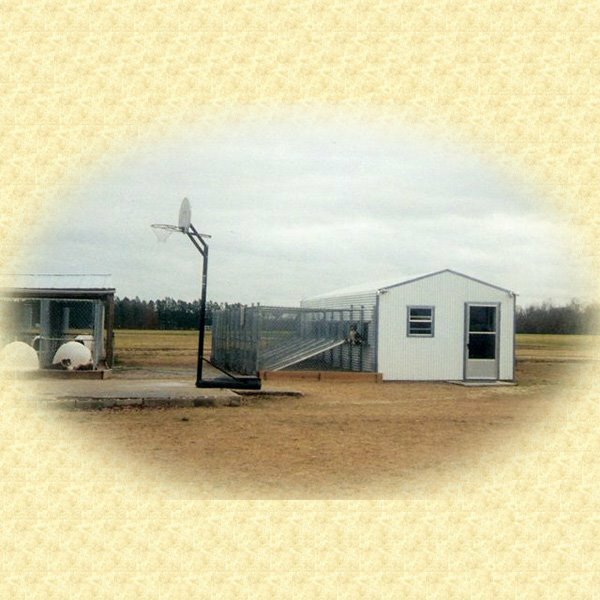 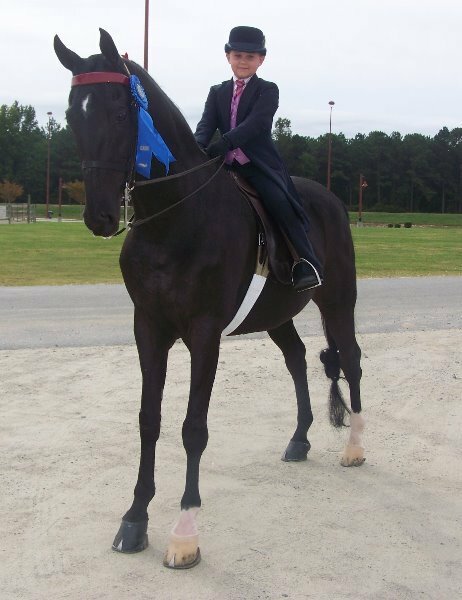 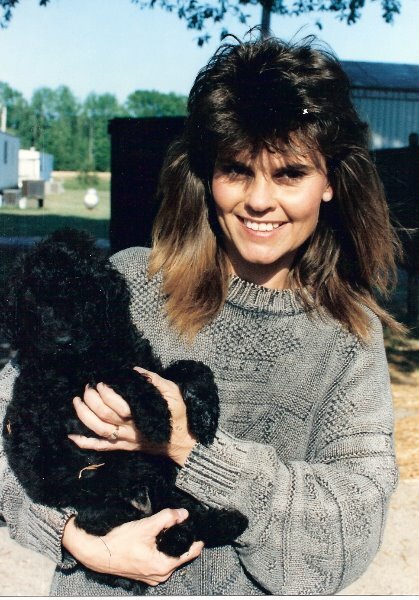 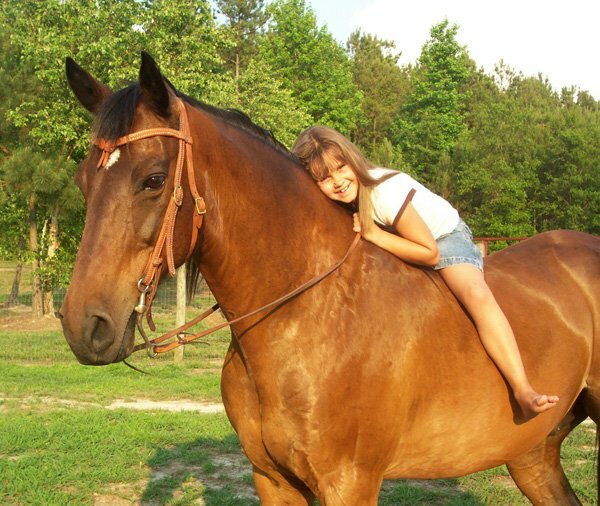 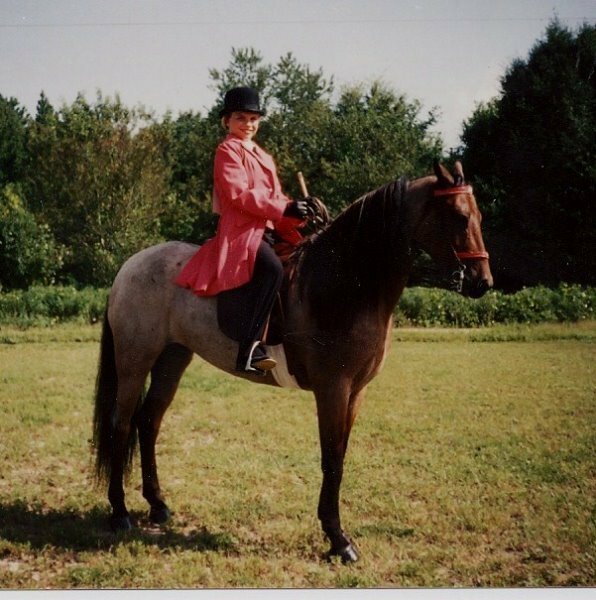 The next few years of our lives were full with showing Saddlebred and Morgan horses, raising Standard Poodles and Westies, and operating the grooming and boarding kennel, known as Autumn Acres. 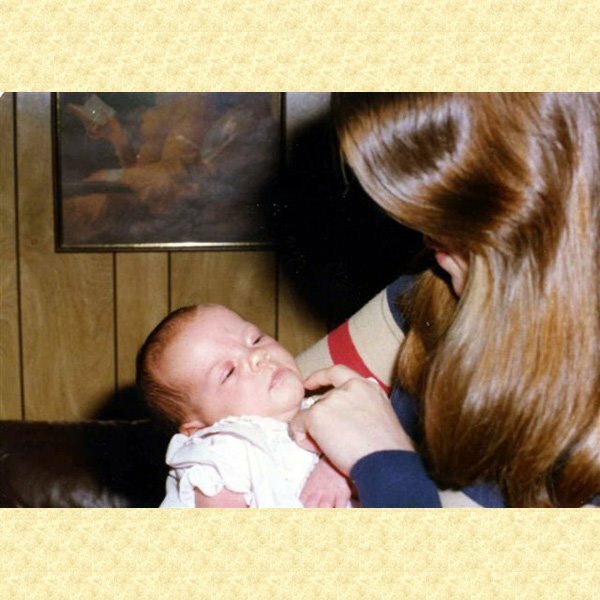 This was not always easy for my mom, as a single parent, or for us, as two young girls. 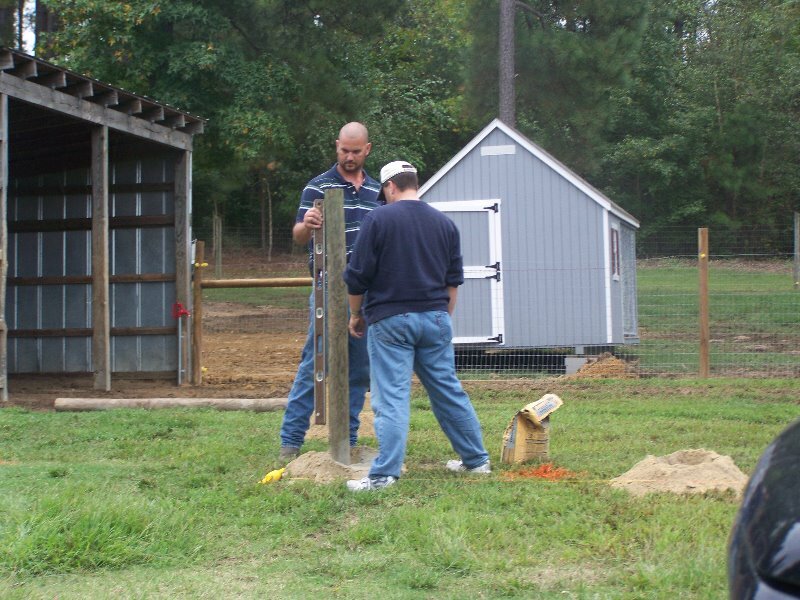 But we had lots of support and help from our family, friends, and great employees. 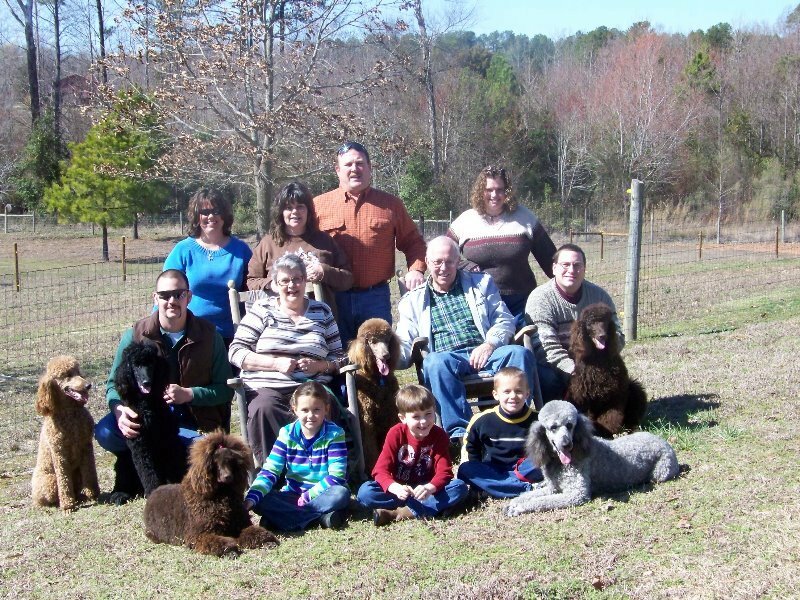 We drew most of our strength and wisdom from our Lord and Savior. 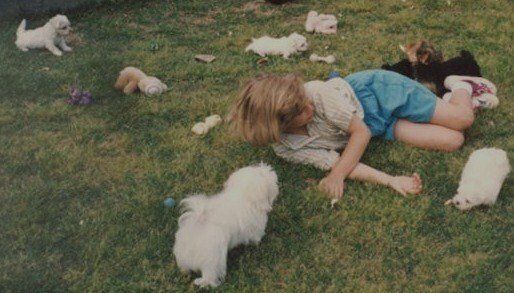 Suddenly, my sister was a young teenager and into our lives walked a handsome young fellow, Brian. 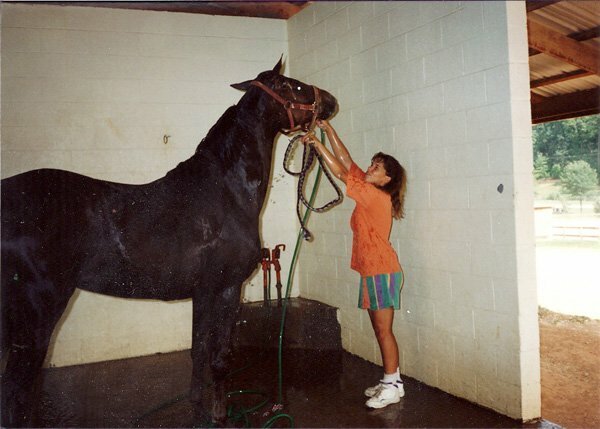 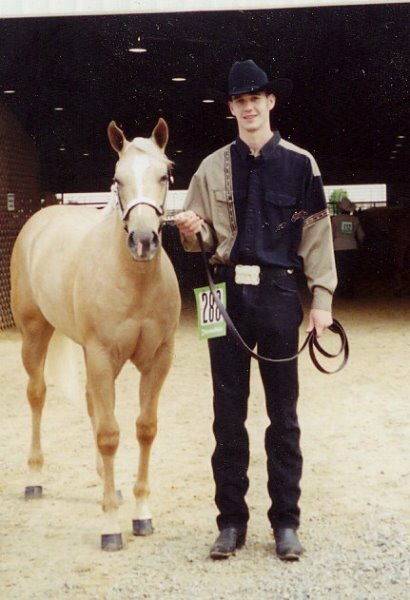 He was a tall, slender, gentle giant with green eyes and dark hair and was only 16 and Holley only 14. 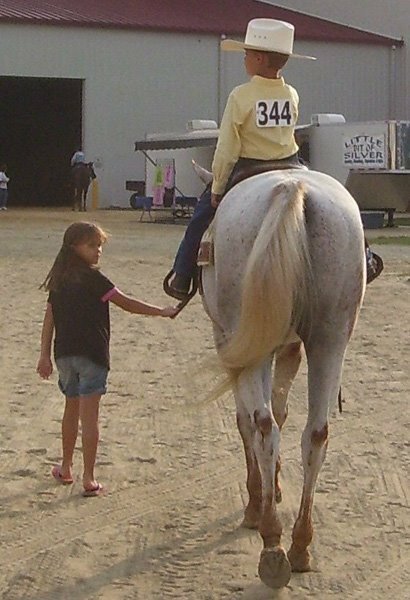 He became our right hand man and we depended on him during some difficult and trying times. 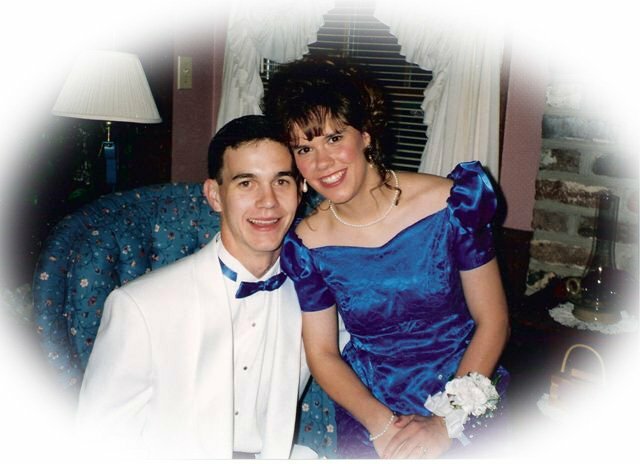 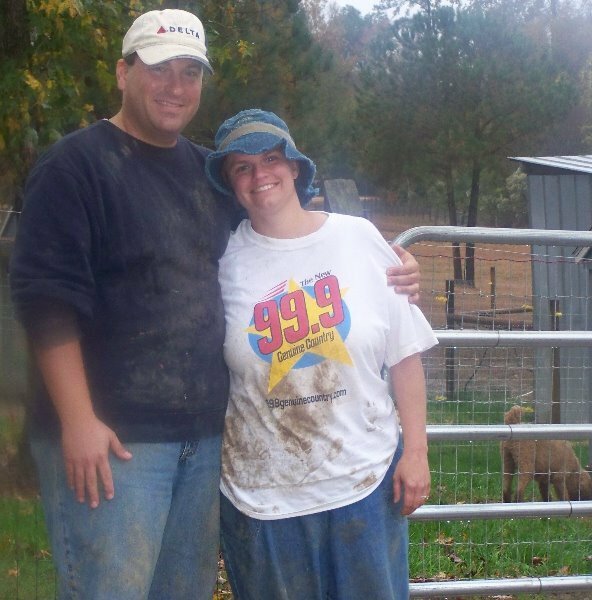 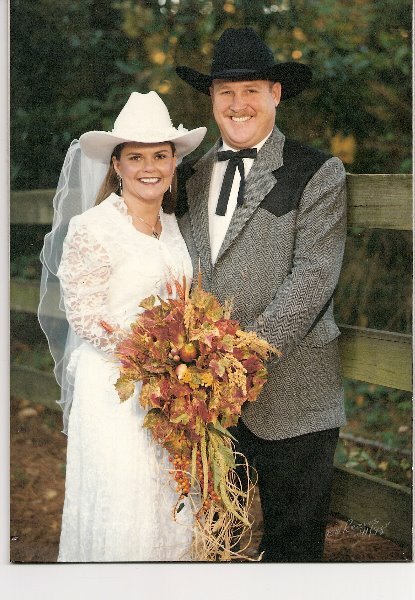 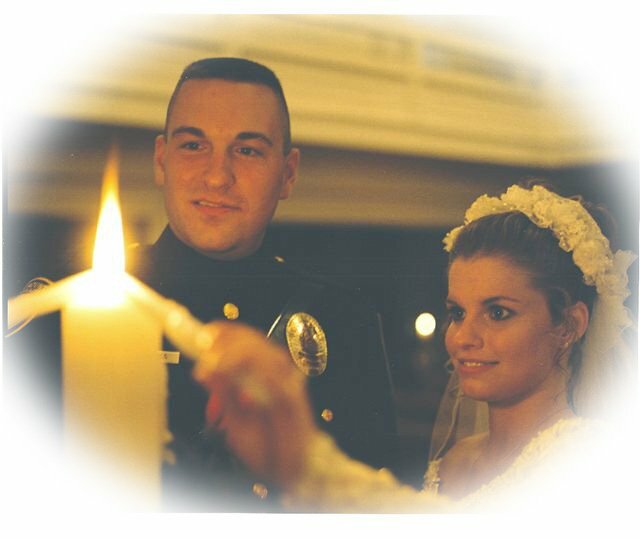 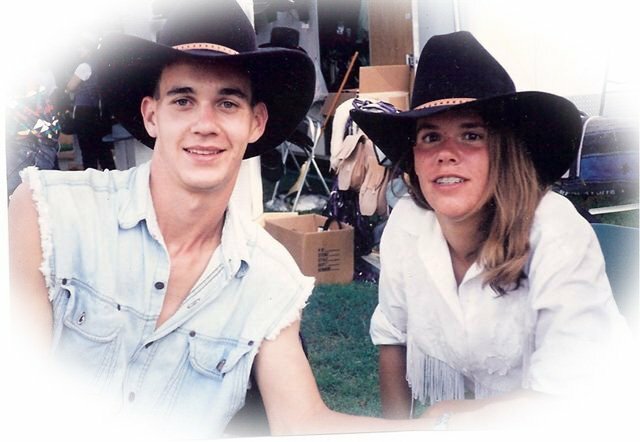 They would become husband and wife after Holley graduated from high school in 1998. 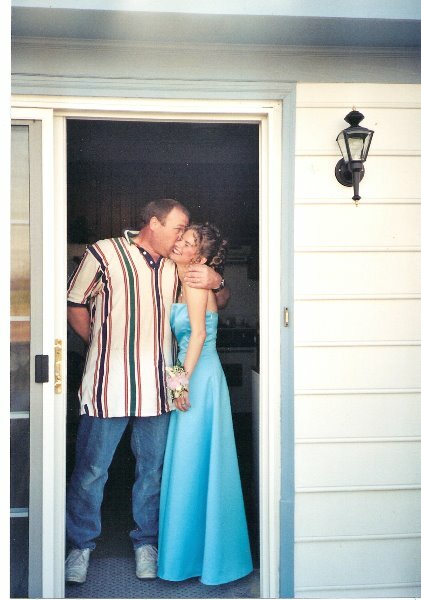 After putting up with three women for four years, relief arrived for Brian. 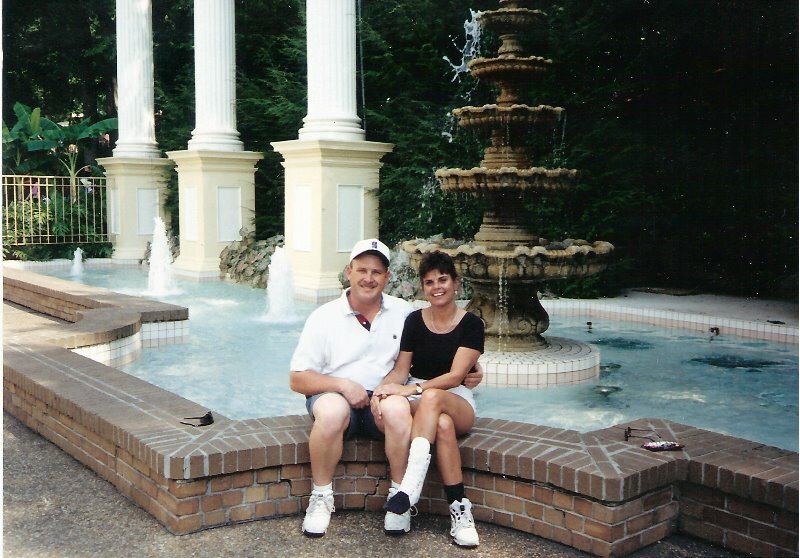 Mom met a wonderful man, David! 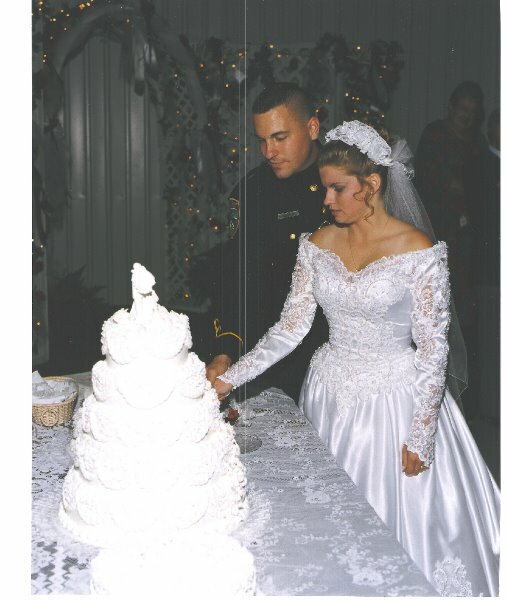 He soon became her husband and the spiritual leader of our family. 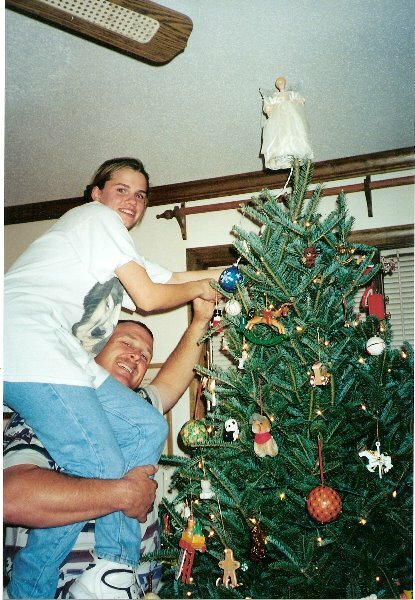 He was also the “daddy” Holley and I desperately needed. 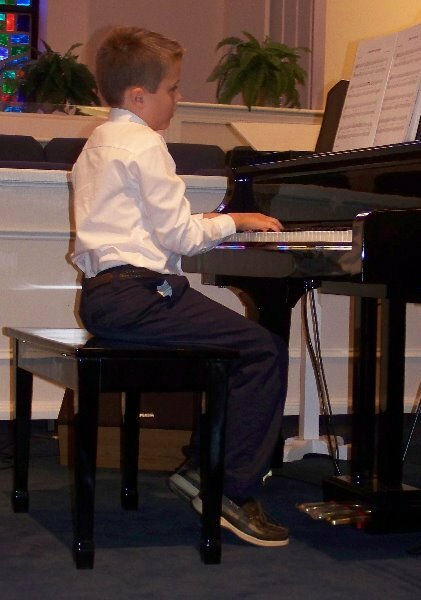 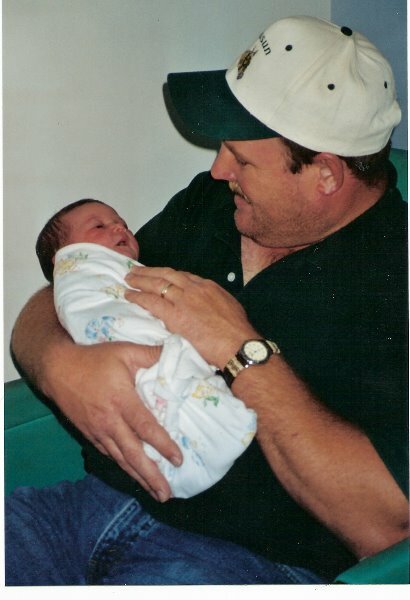 What a blessing he was then and continues to be. 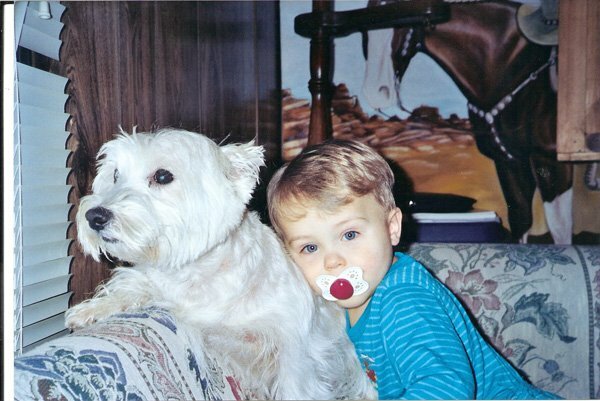 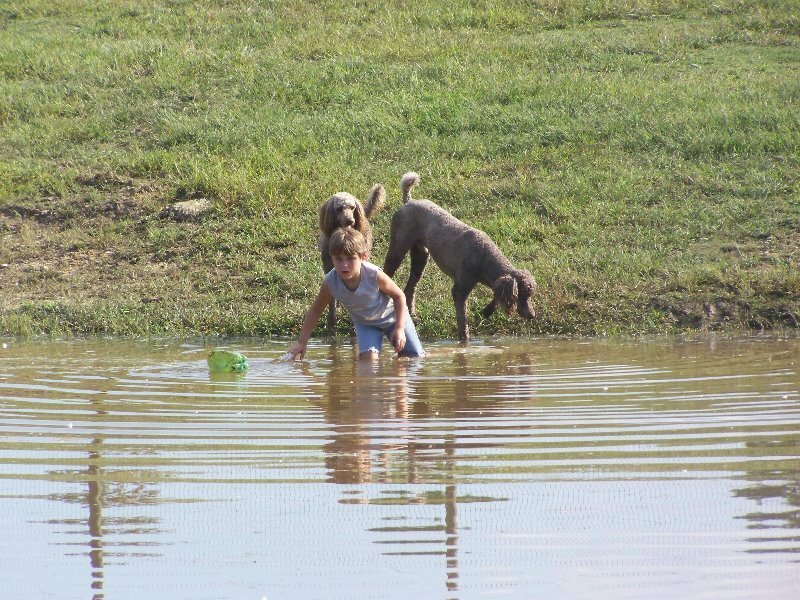 He loved babies of any type, preferably, human, but also loved the horses and puppies. 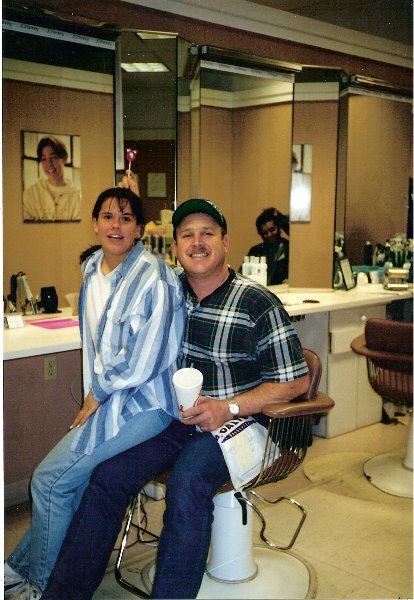 With his amazing sense of humor rubbing off on all of us, work sometimes felt like play. 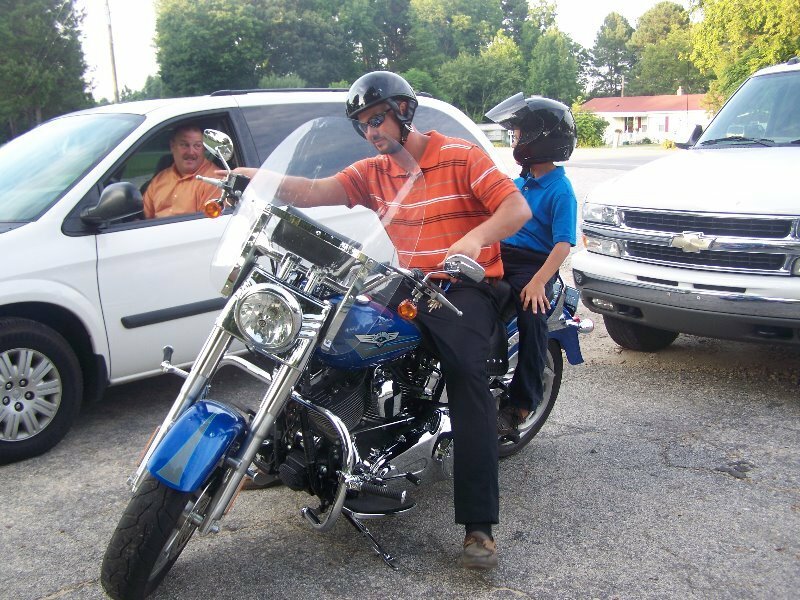 We quickly learned his favorite quote, “It’s all about respect”. 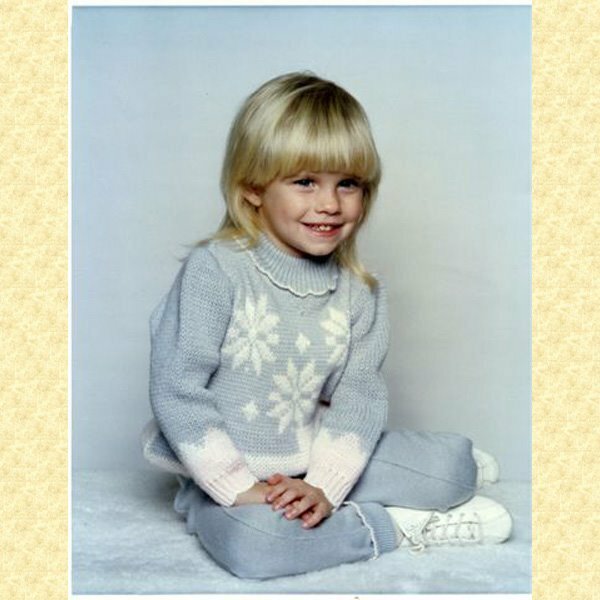 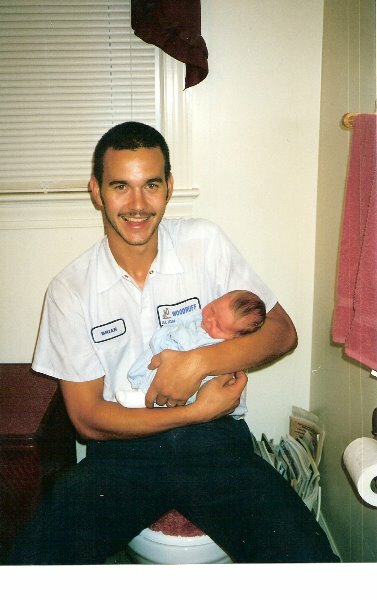 Soon after the arrival of “Daddy” I found myself to be a young teenager. 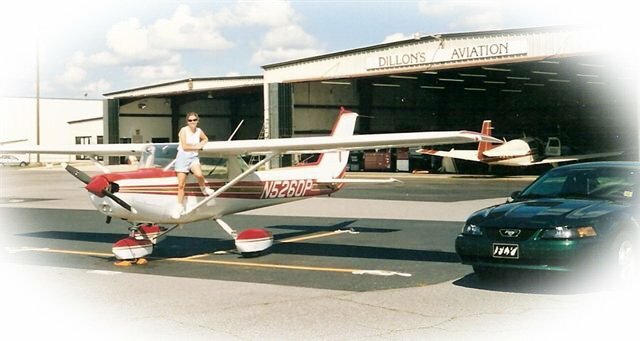 I started flying lessons and thinking about my future. 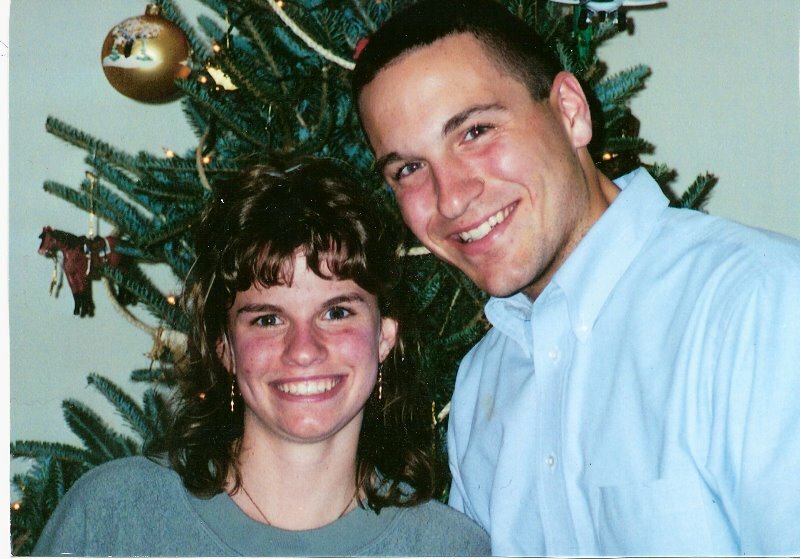 I started praying that God would let me soon meet my husband to be. 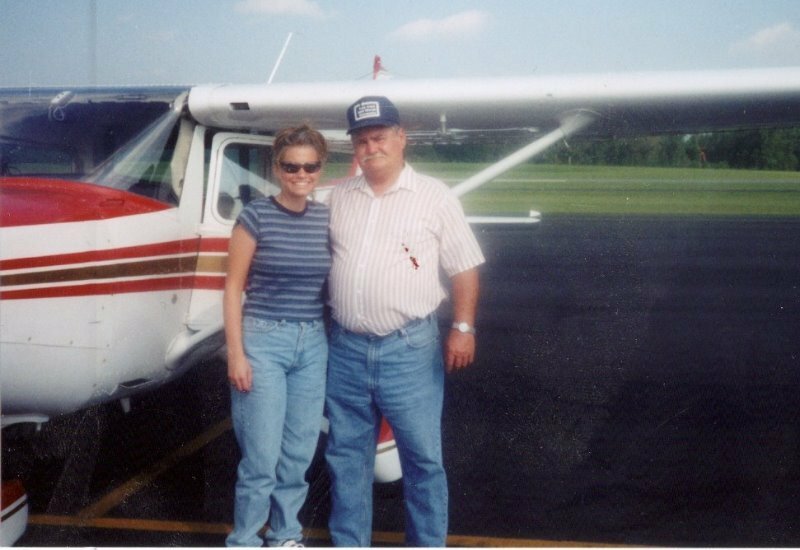 While taking flying lessons God answered my prayers. 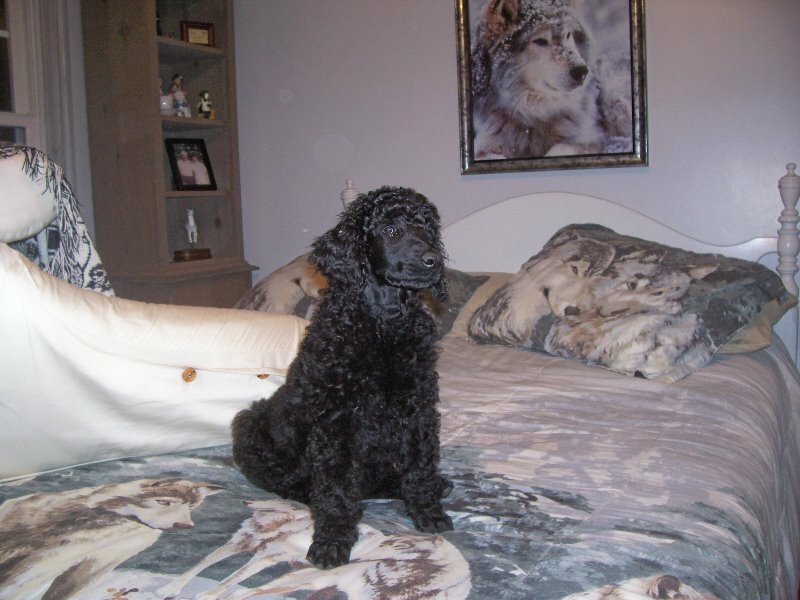 I met the man of my dream…Blake. 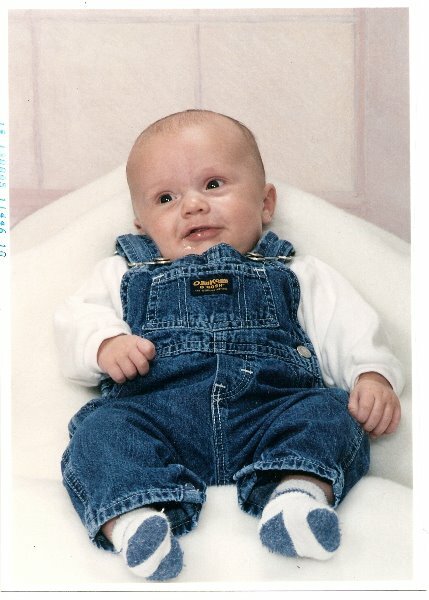 He had blue eyes and dark hair. 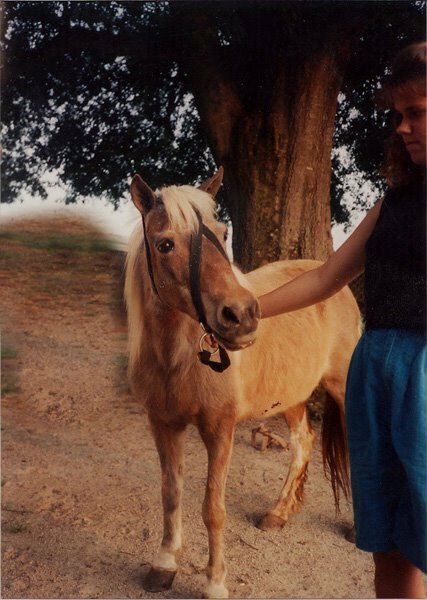 He was handsome and soft spoken. 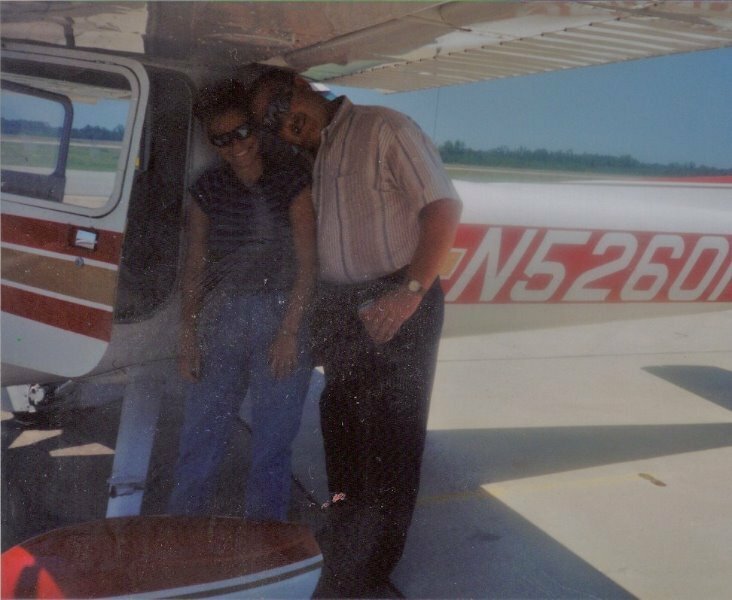 We both had aviation as one of our dreams, and the desire to get our pilot’s license… which we both accomplished. 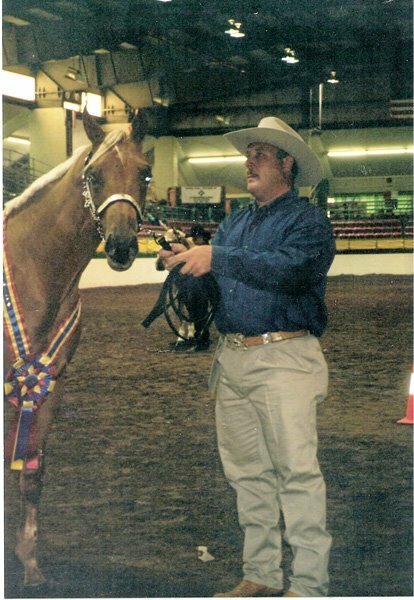 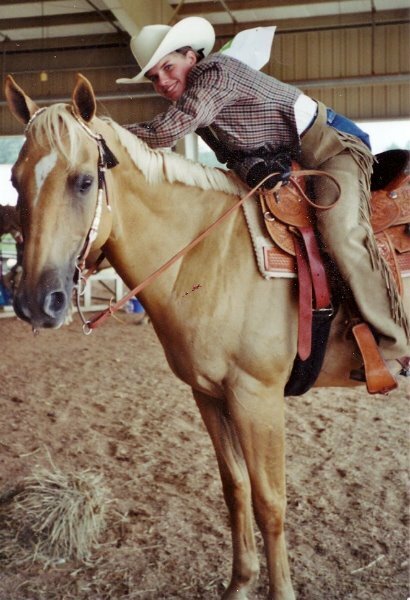 We were still busy showing horses, although it had changed to Palomino Quarter horses. 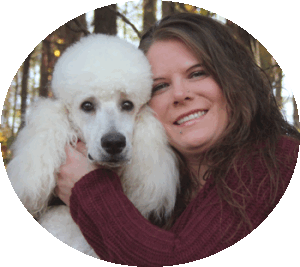 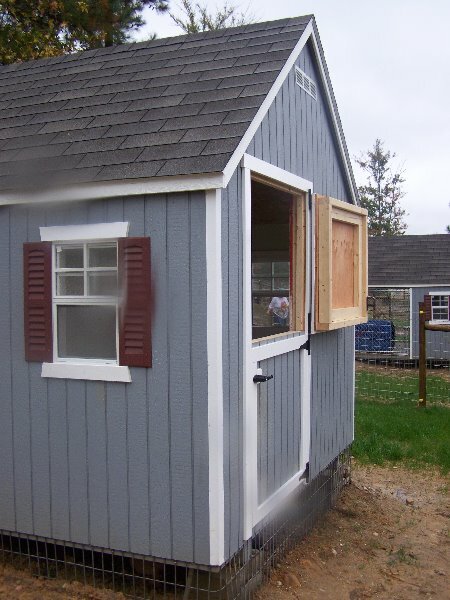 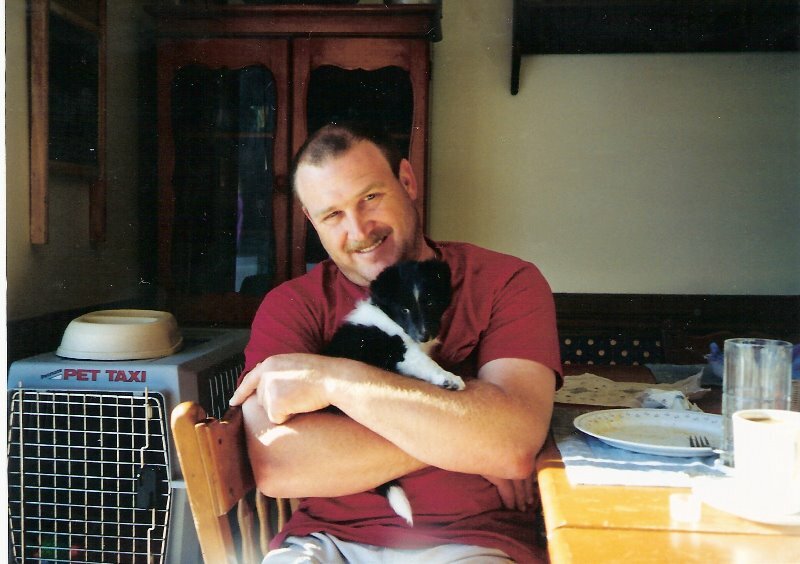 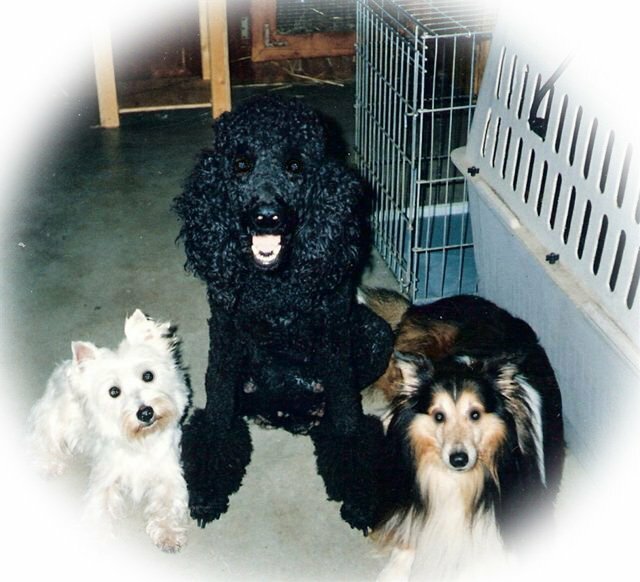 Raising Standard Poodles and Westies and operating the grooming and boarding facilities with David, Brian and Blake sharing the load made things a lot easier. 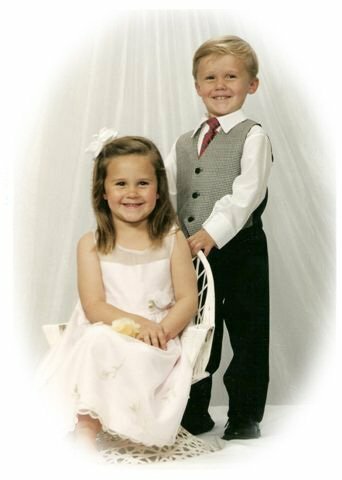 Little did we know by the time I would graduate from high school in 2001 there would be three “human” bundles of joy added to our family! 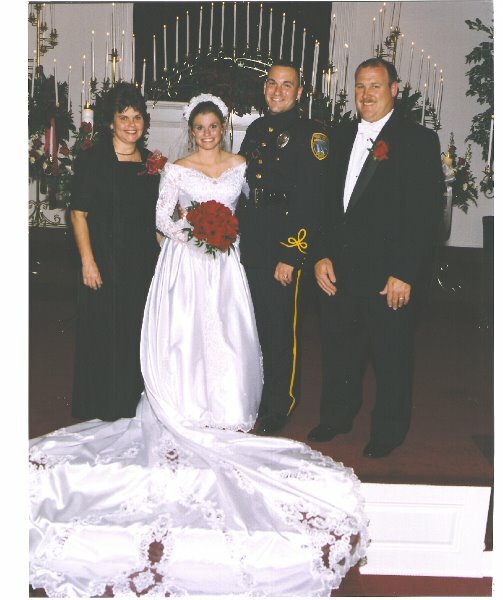 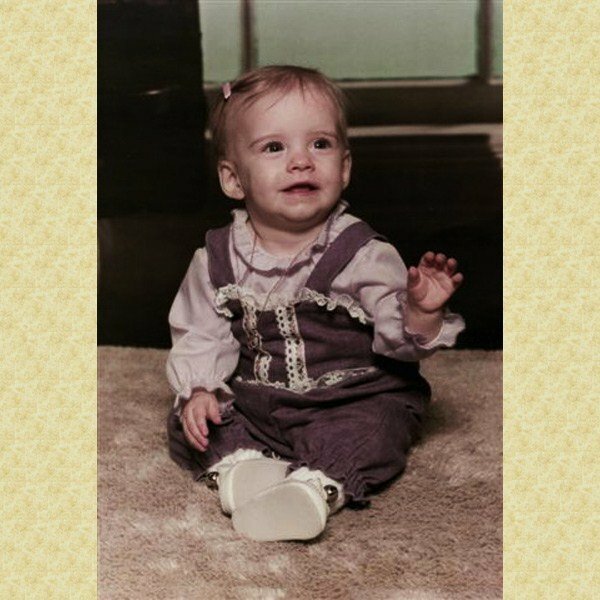 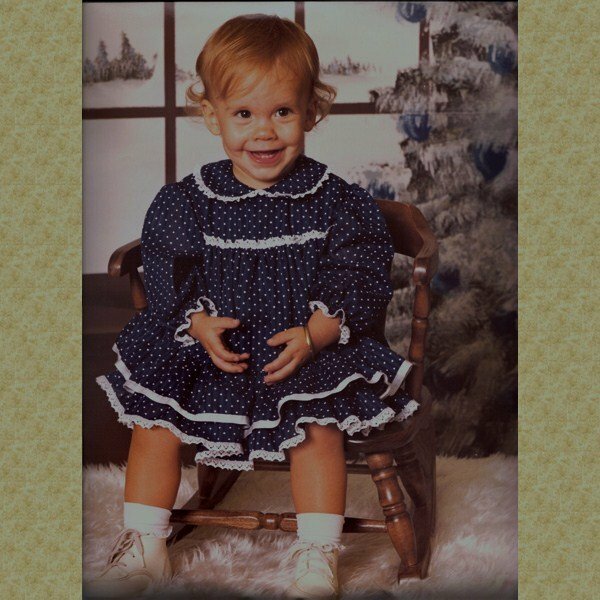 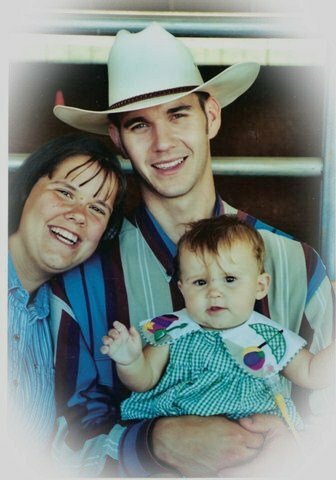 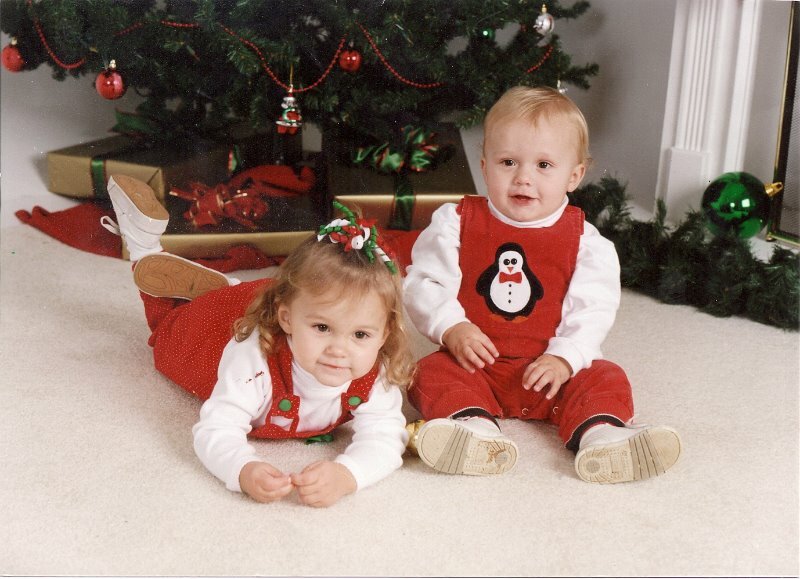 Brian and Holley were blessed with a beautiful brown eyed, brown haired little girl in 1999. 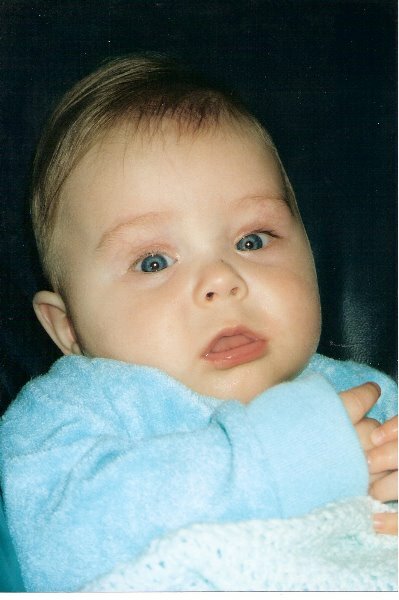 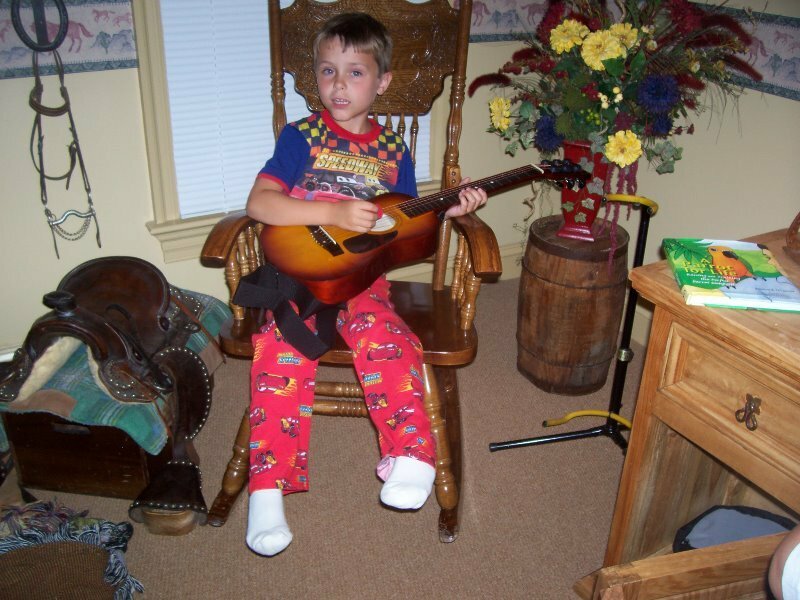 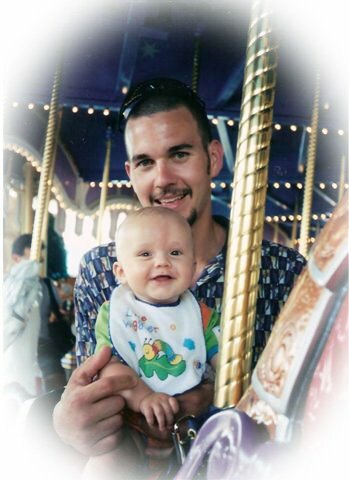 In 2000 only 13 months later they would have a chubby-cheeked, brown eyed, laughing baby boy. 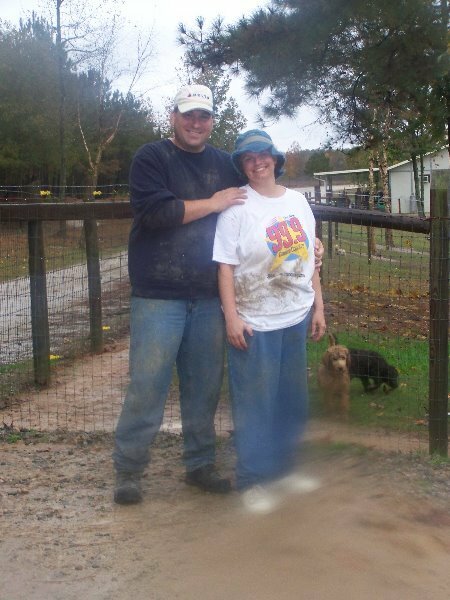 Savannah and Scott were a joy to us all. 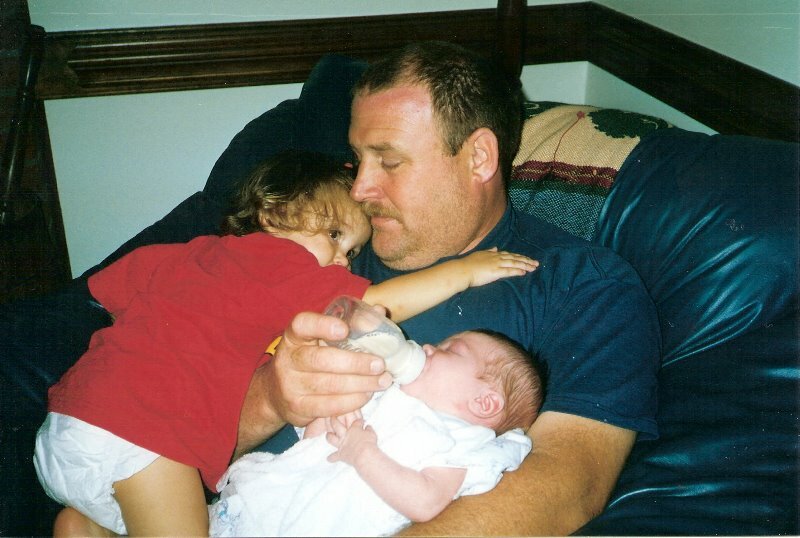 In the summer of 2001 we added the third bundle of joy. 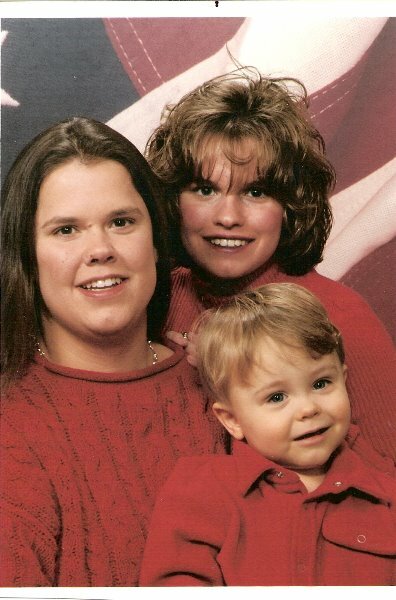 Holley and I became the big sisters of a smiling little boy with big blue eyes. 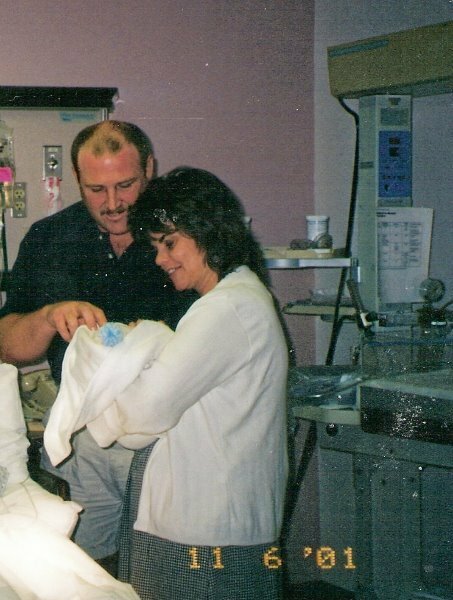 Mama and Daddy adopted Luke and took him home from the hospital at one day old. 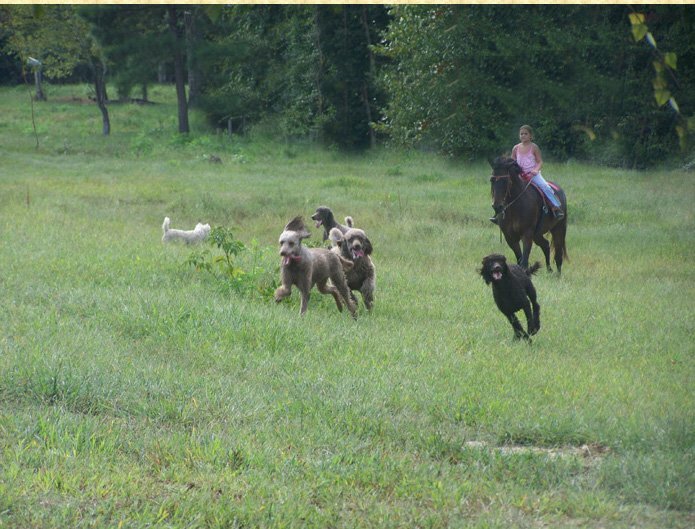 Savannah, Scott and Luke fell right in to cuddling puppies, showing horses and the hustle and bustle of our lives. 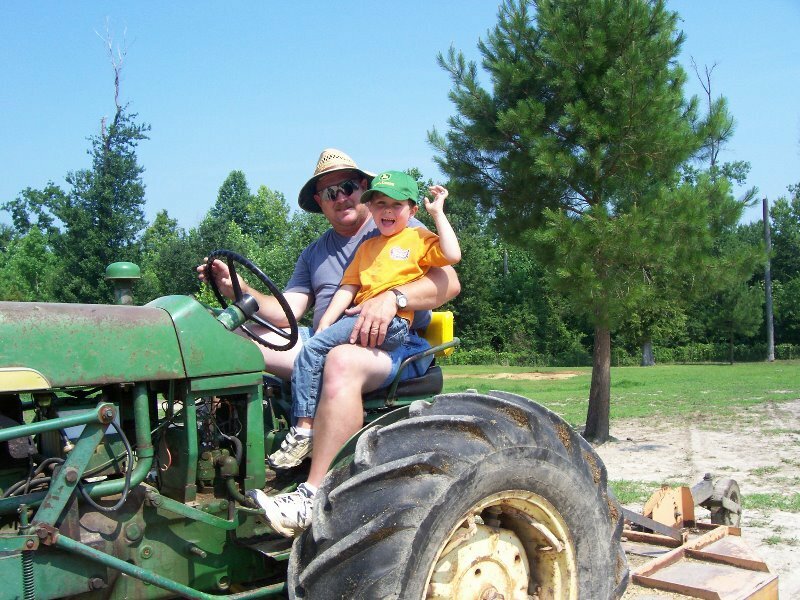 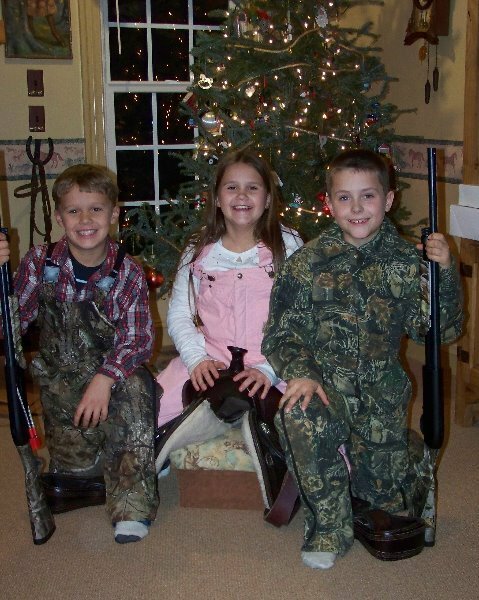 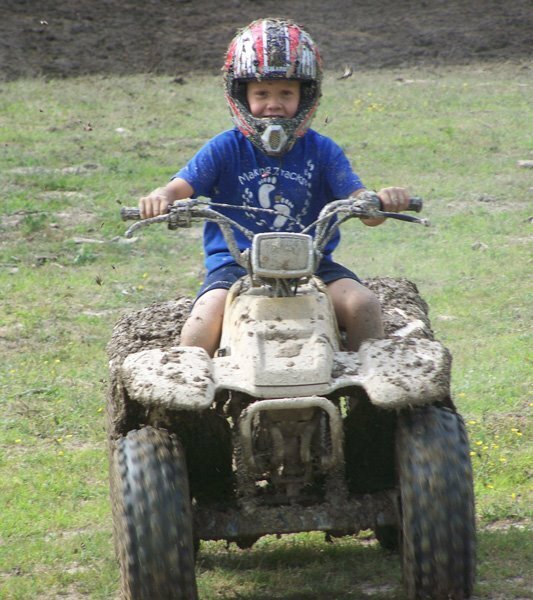 Believe it or not, we had time to add riding tractors, four wheelers and hunting to our busy lives. 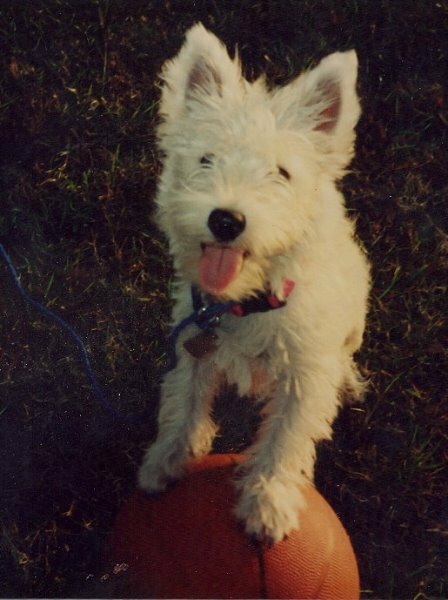 In the fall shortly after Luke was born I left for Embry Riddle Aeronautical University in Florida, with Sprite, my Westie, in tow. 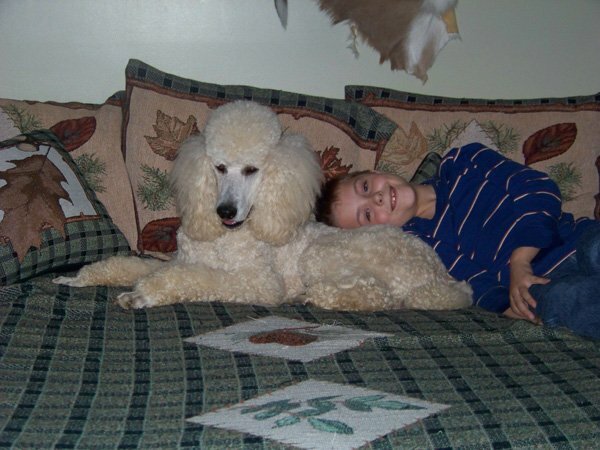 I missed my family so I came home frequently thus Sprite and I acquired a lot of air miles. 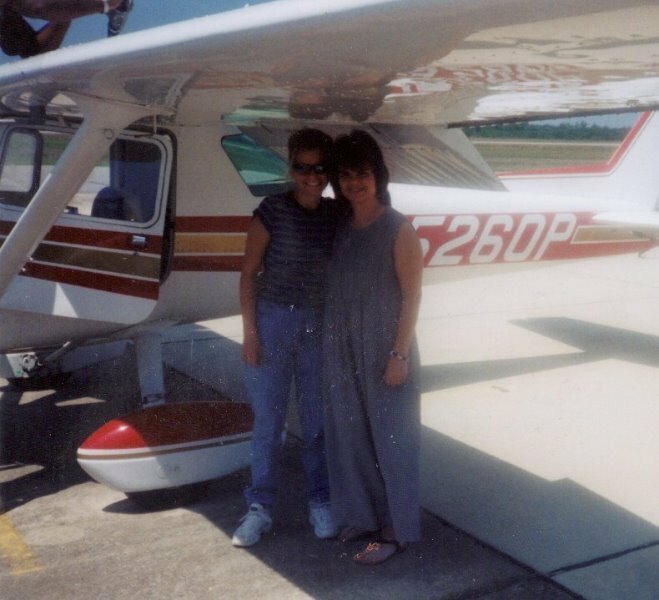 Health issues I had as a child escalated and forced me to give up my dream of being a pilot. 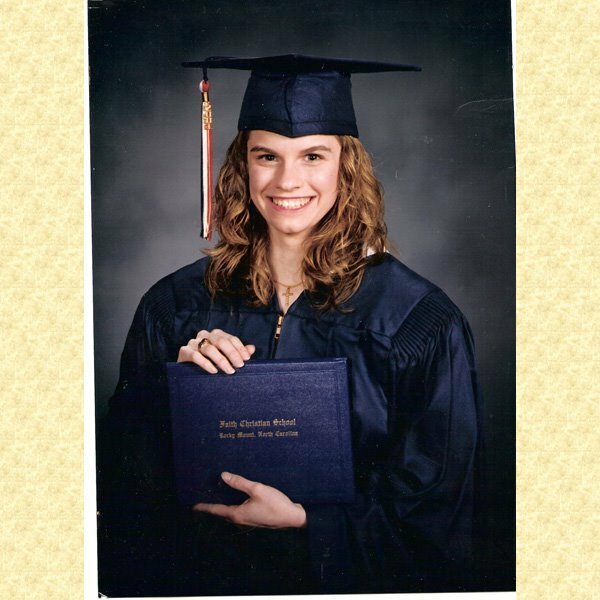 I began seeking a degree and career as an aeronautical engineer. 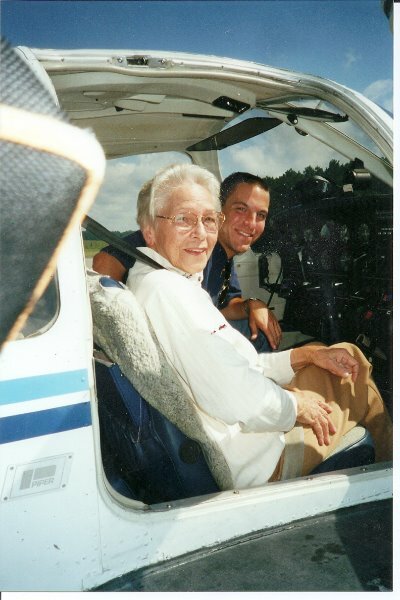 The health issues became even worse so I gave up a career in aviation, even though I still had my pilot’s license. 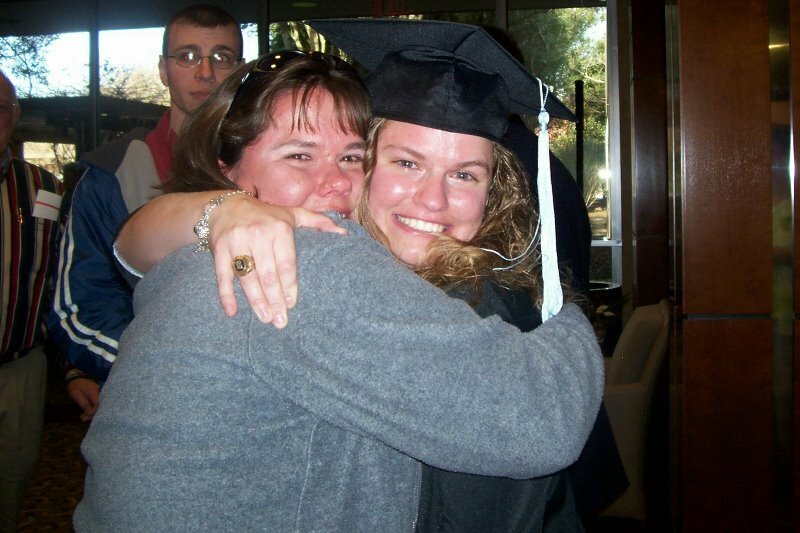 I returned home to attend college, NC State University. 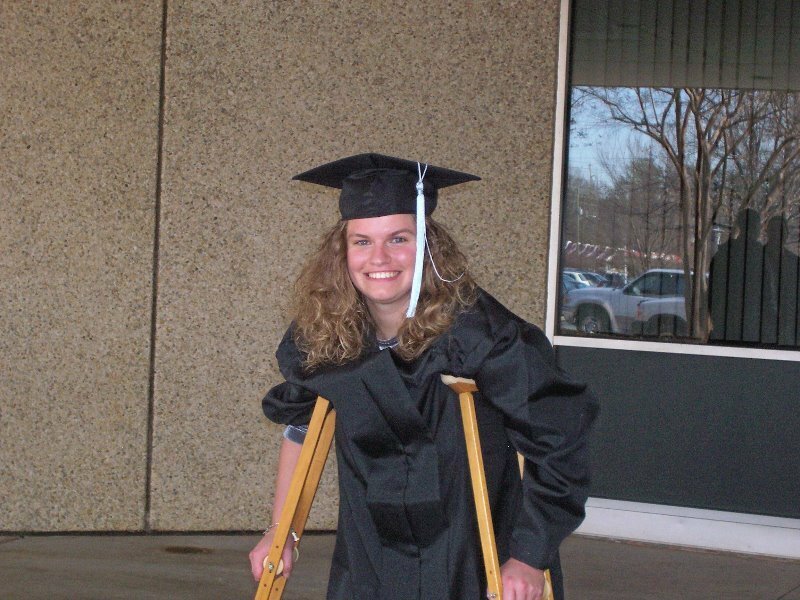 I pursued a degree in graphic communications and website design. 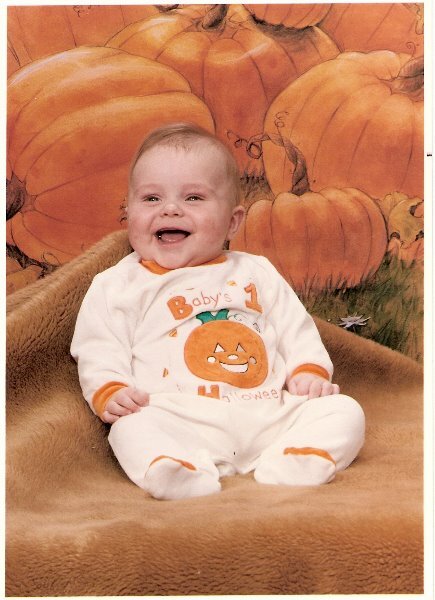 Little did I know at that time, what a valuable endeavor that would become. 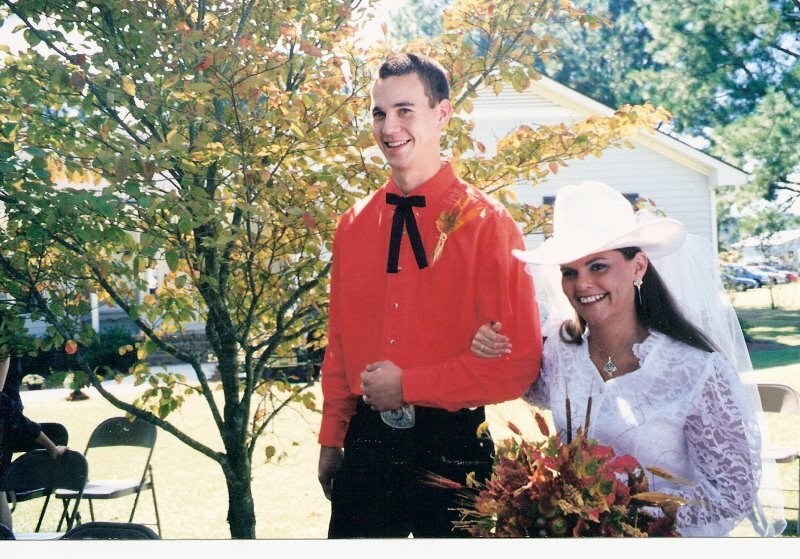 While still in college in the fall of 2003 Blake and I got married. 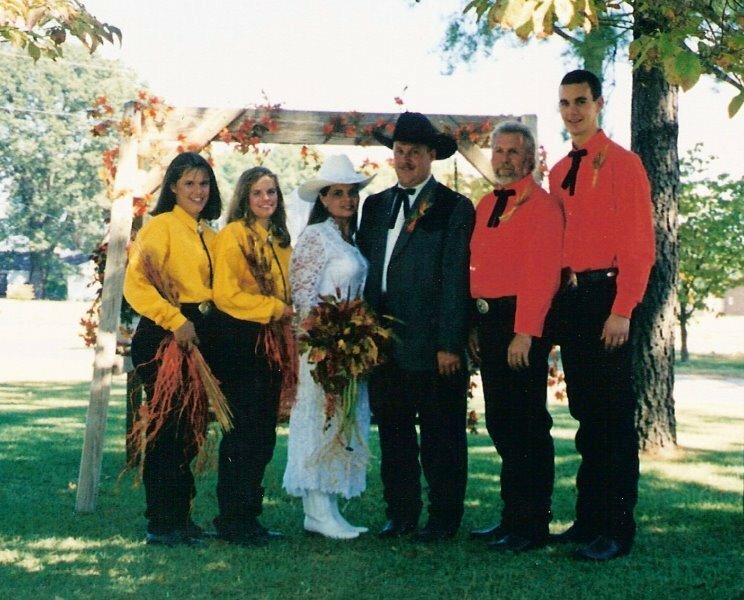 Since my sister and I were now married and Holley had two children, Mama and Daddy wanted to have more time as parents and grandparents. 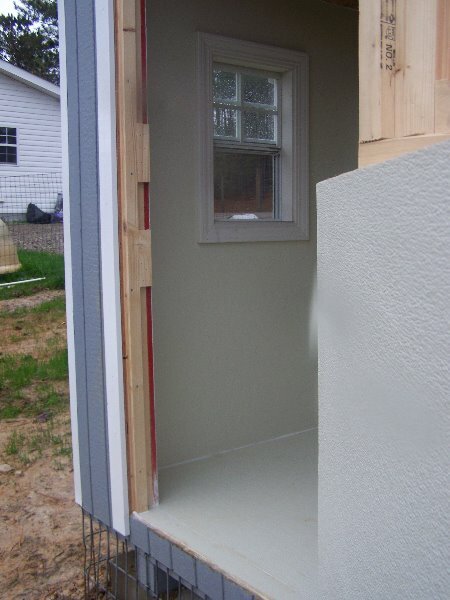 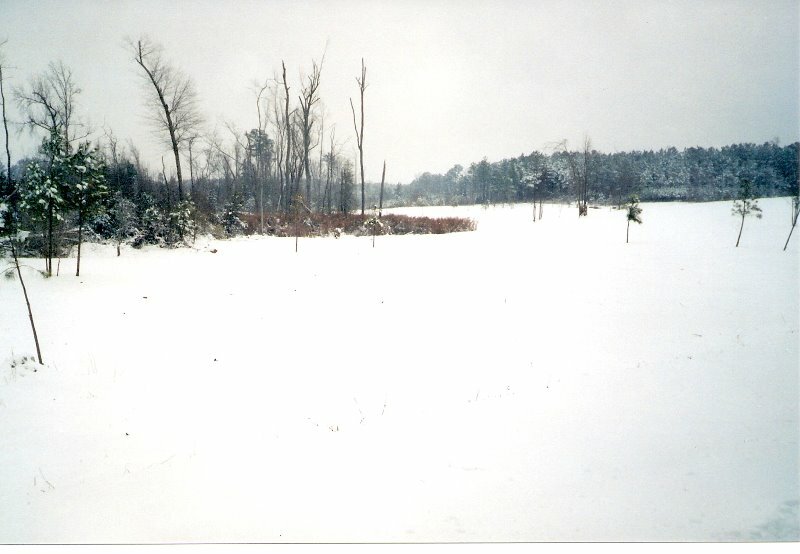 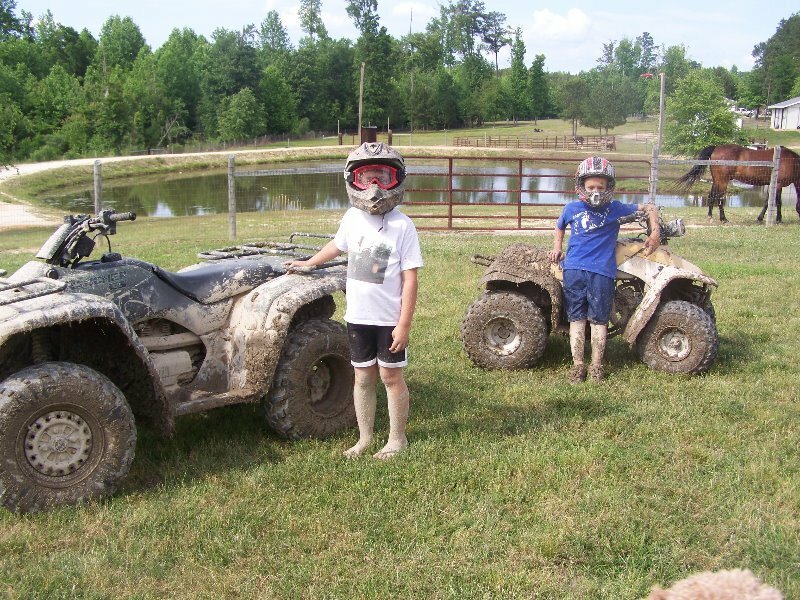 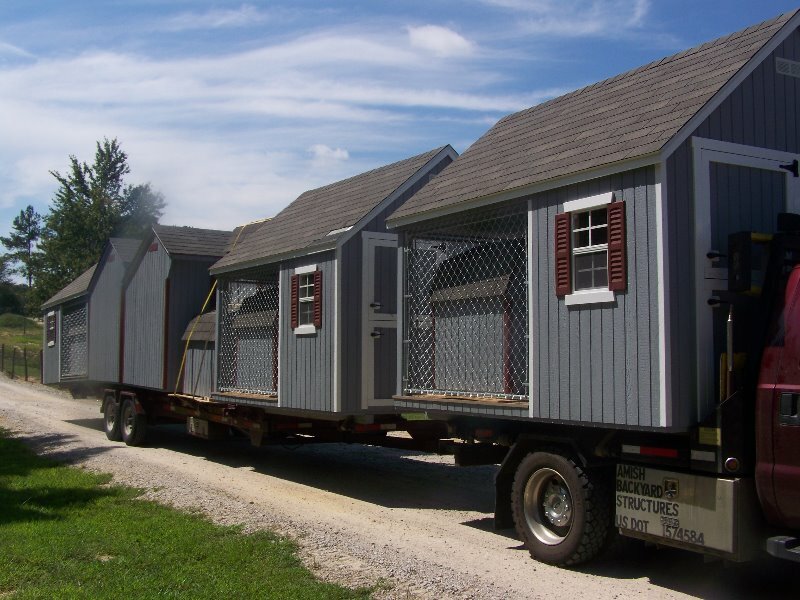 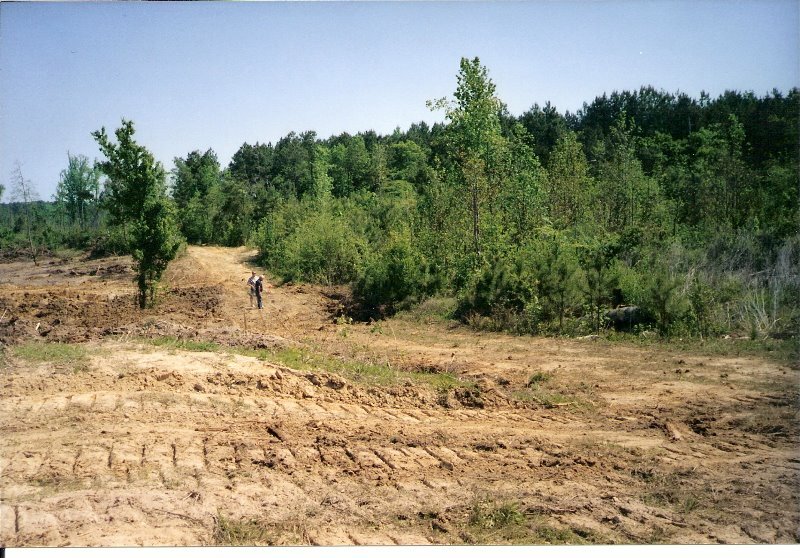 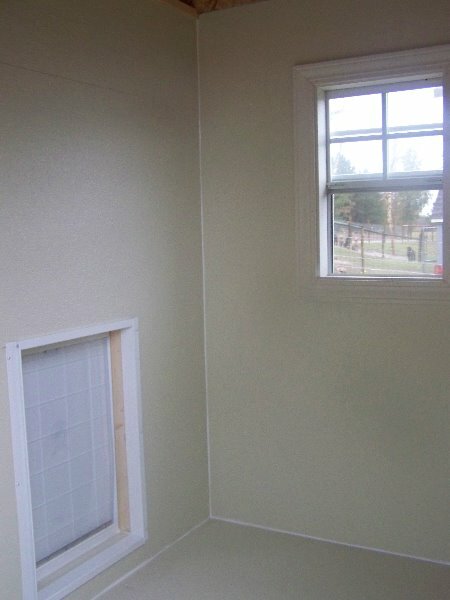 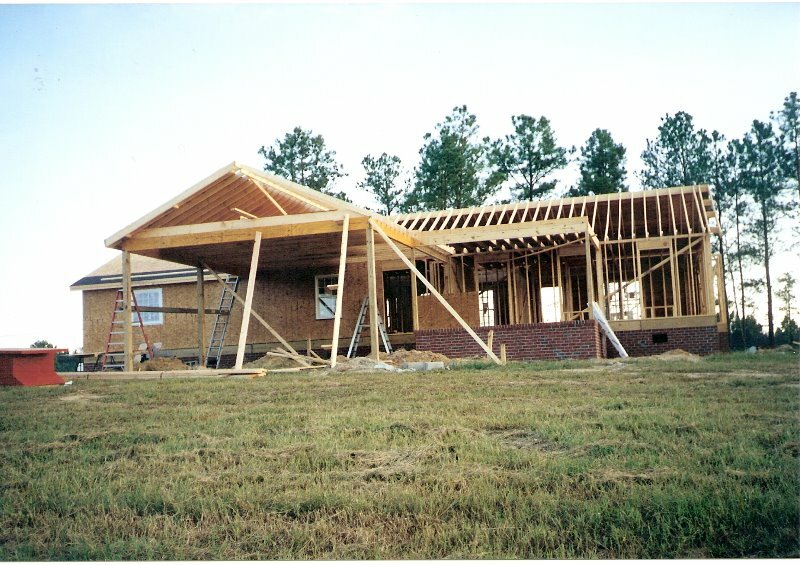 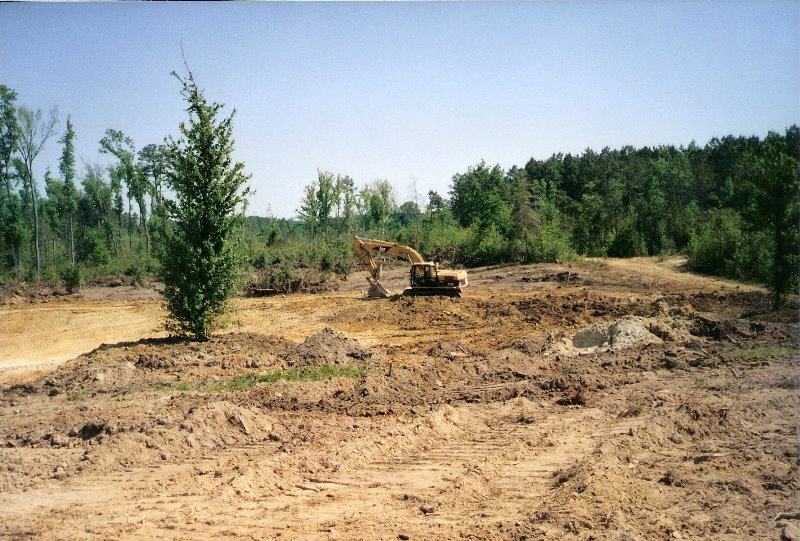 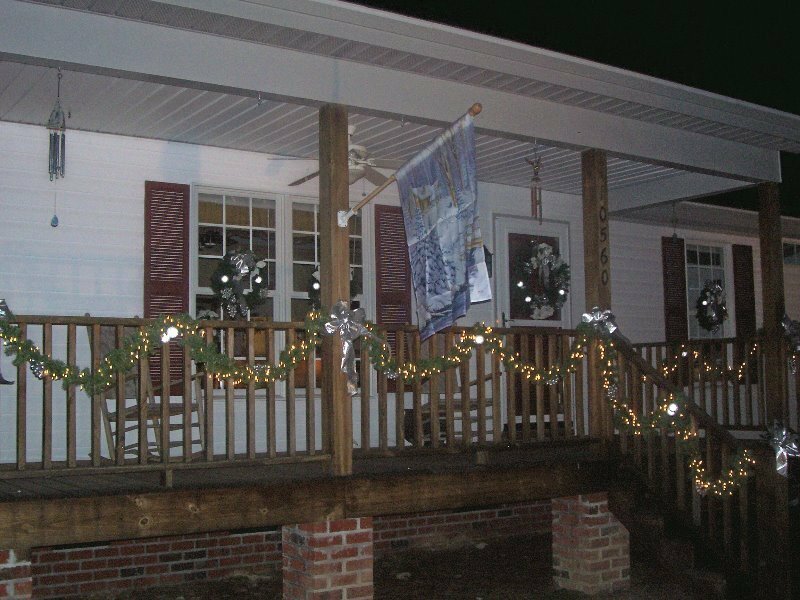 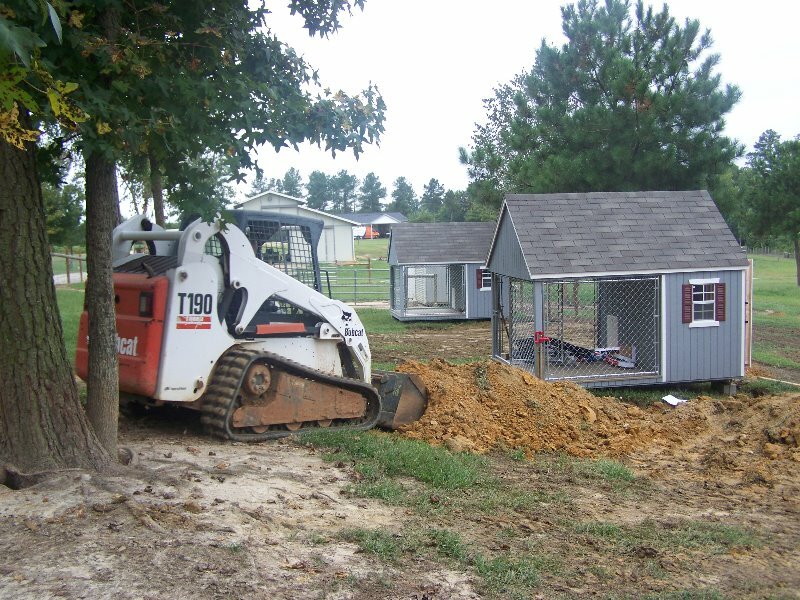 They chose to sell the grooming and boarding business and their small house and lot in Wilson, North Carolina. 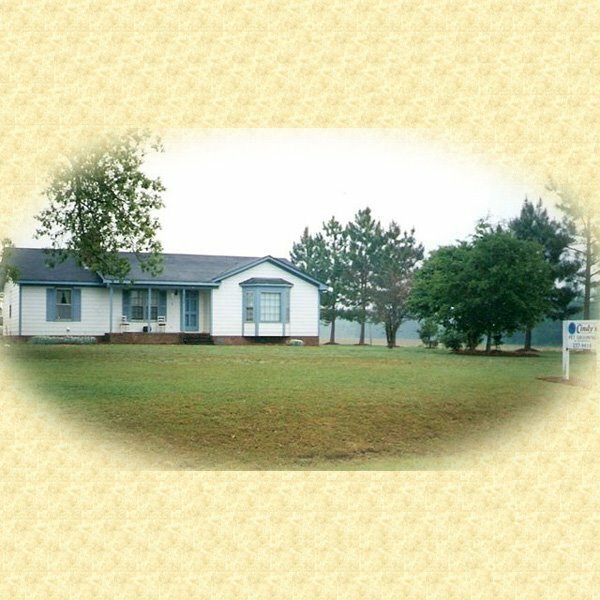 Both parents, dreaming of owning a small farm with little rolling hills, were blessed to find exactly that, with twelve acres just outside of Spring Hope, North Carolina. 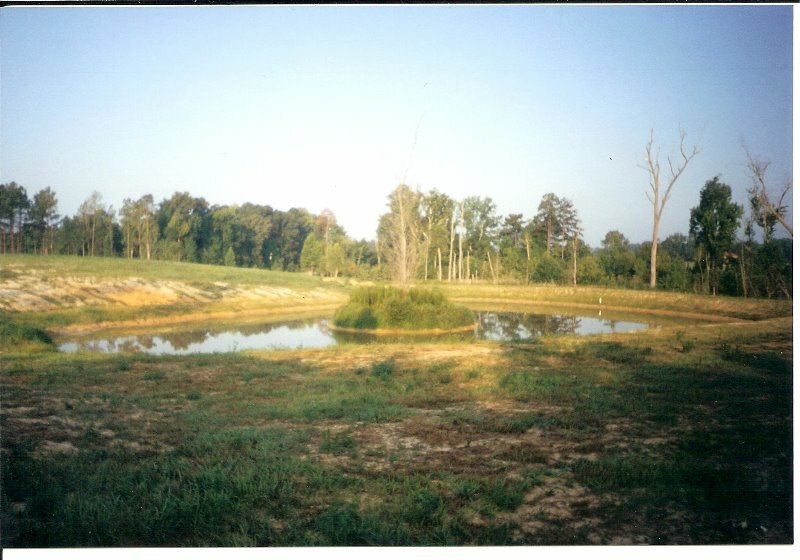 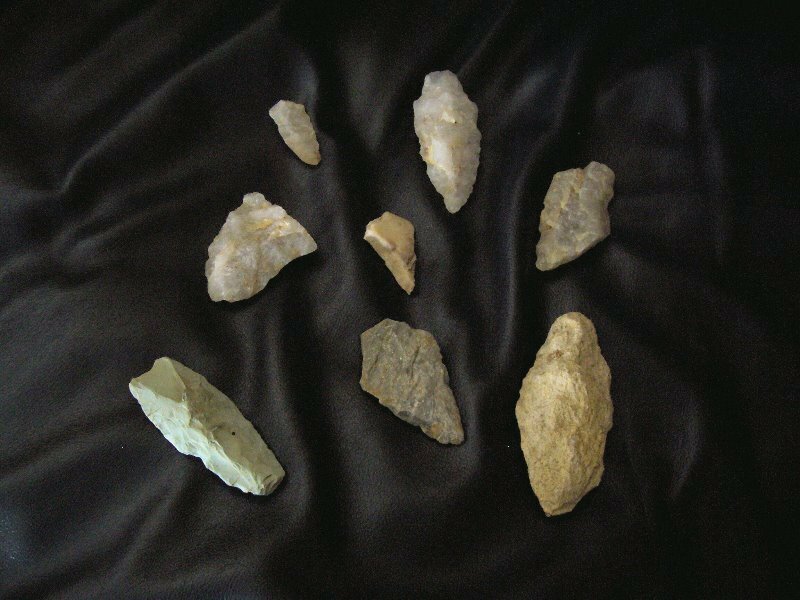 In the past the Tuscarora Indians had inhabited this property and as they cleared the land for construction they found many beautiful arrowheads. 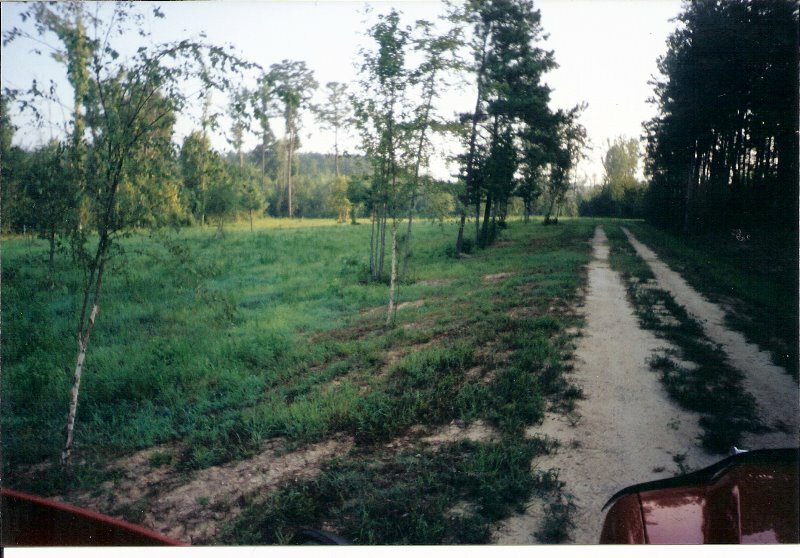 Because of the heritage of the land and a new beginning for all of us, they changed the name from Autumn Acres to Arrowhead Acres. 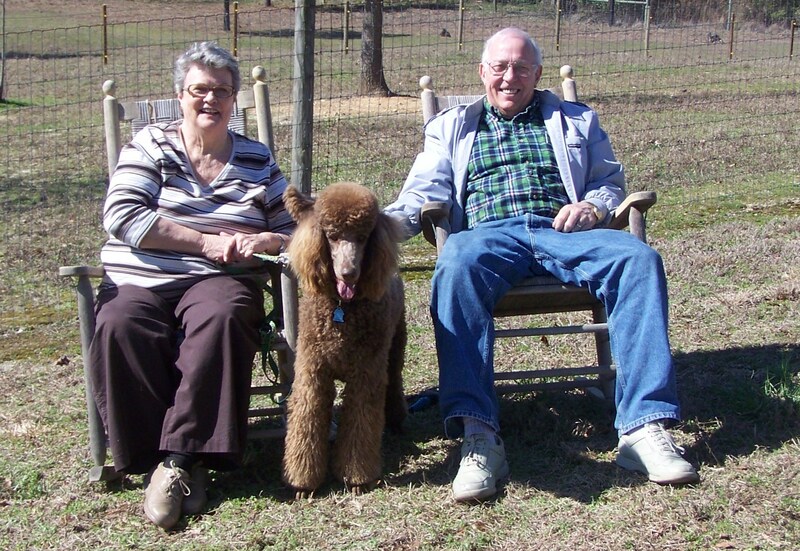 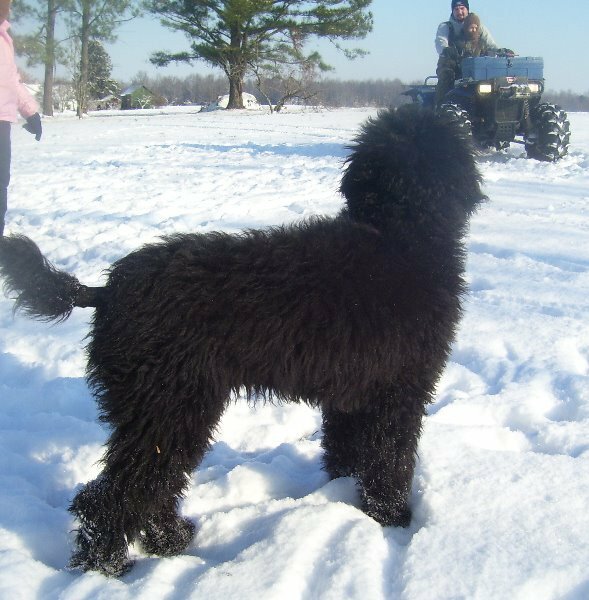 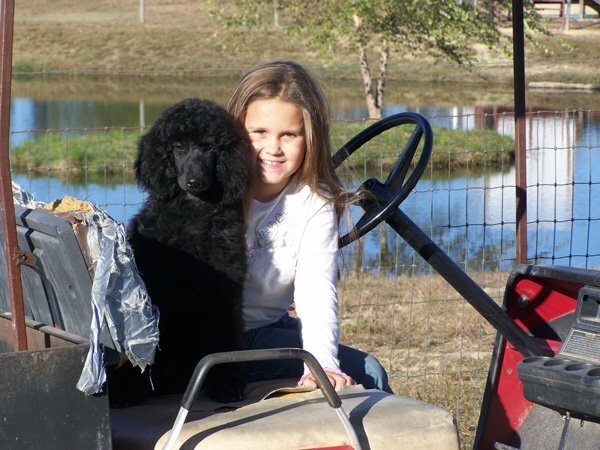 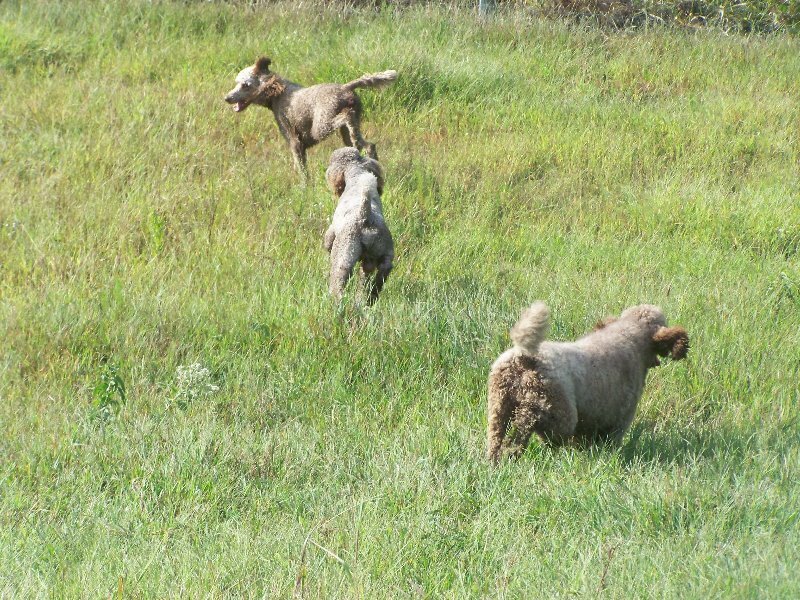 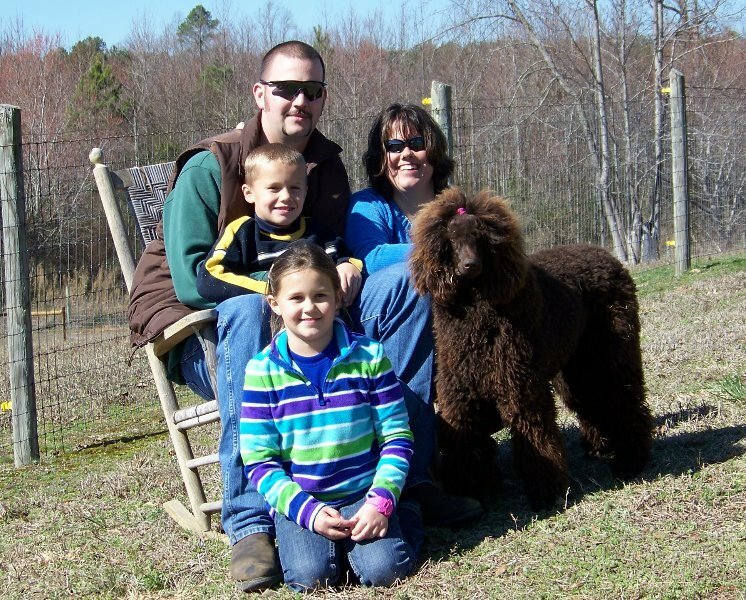 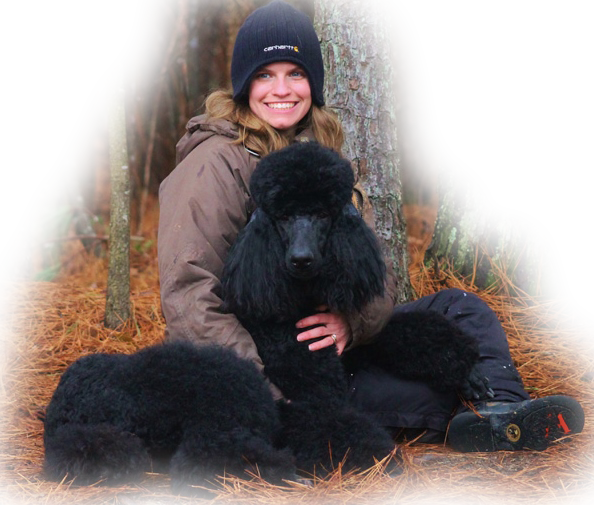 With Mama and Daddy settled in at Arrowhead Acres we were ready to expand our Standard Poodle Breeding Stock. 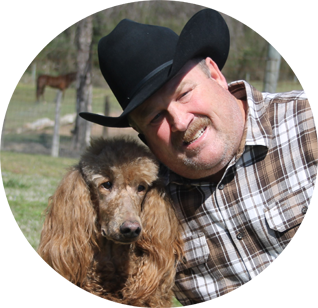 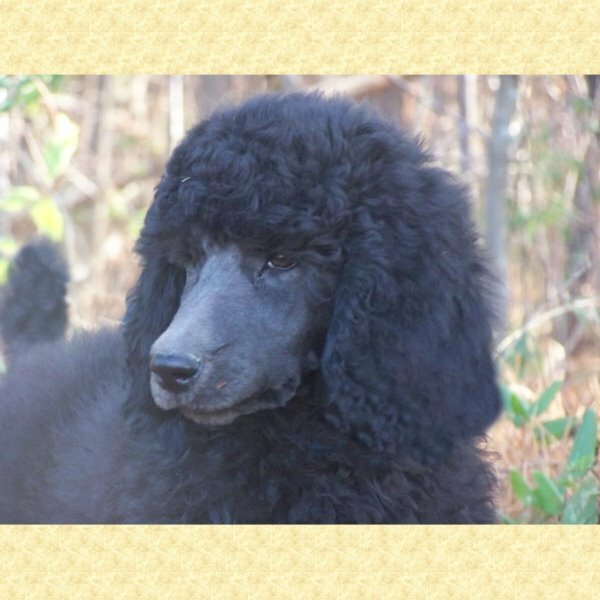 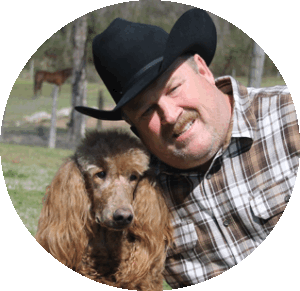 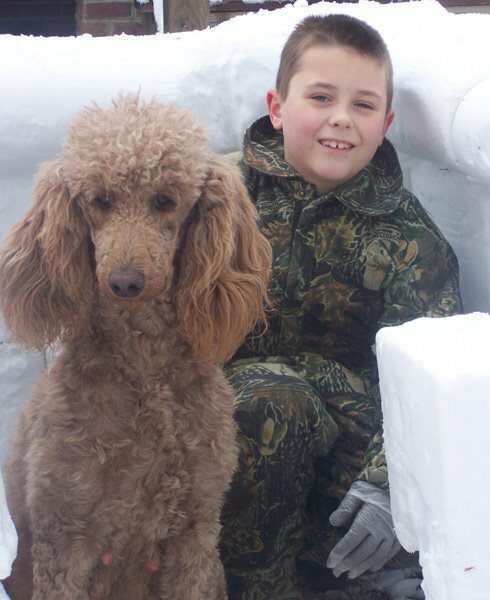 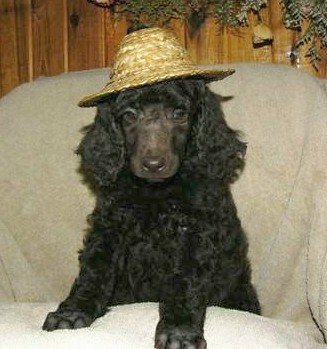 After a yearlong search we found breeders, Steve and Debbie Euker and they had the quality of Standard Poodle that we wanted. 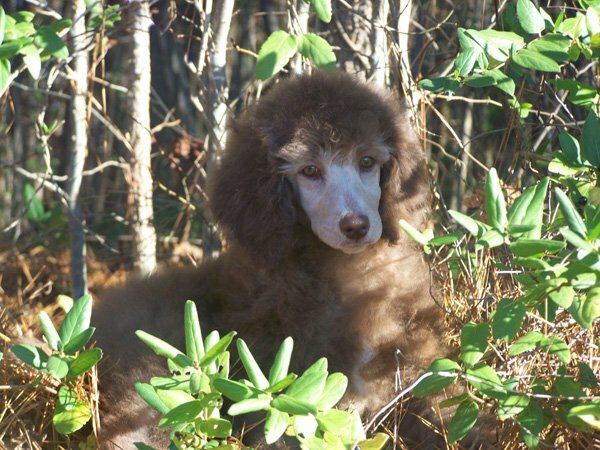 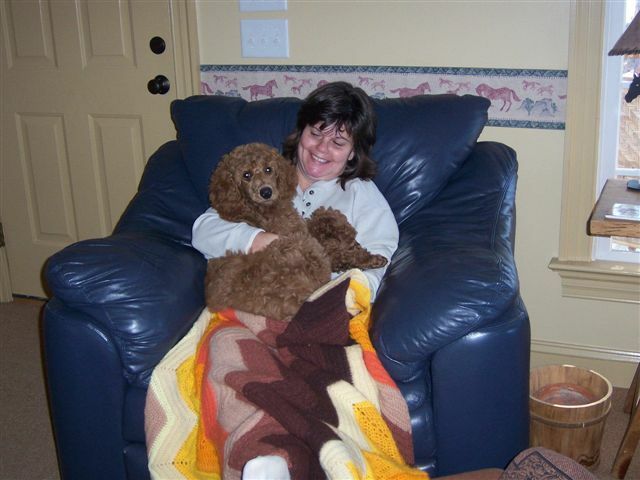 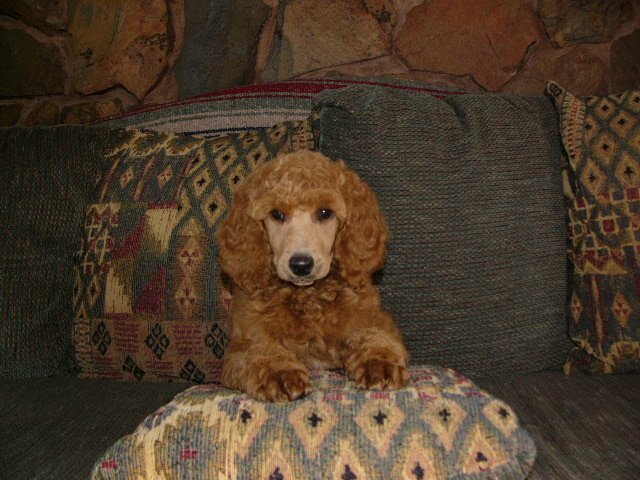 After Thanksgiving of 2006 mom was browsing around Debbie’s website and saw a little red female Standard Poodle Puppy staring back at her from the screen. 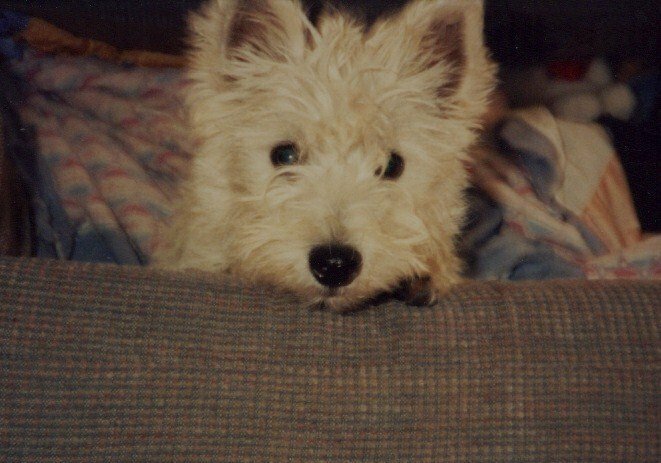 She had the sweetest eyes and the prettiest face. 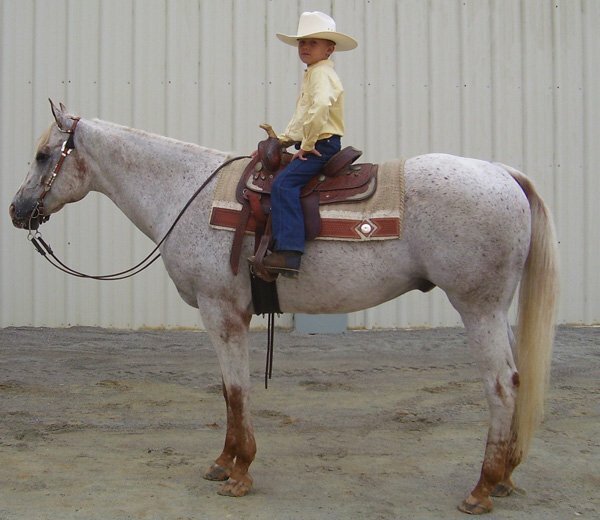 Mama told Daddy this little red head was what she wanted. 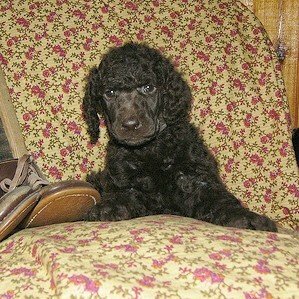 They did not tell Holley or me that they had decided to buy her. 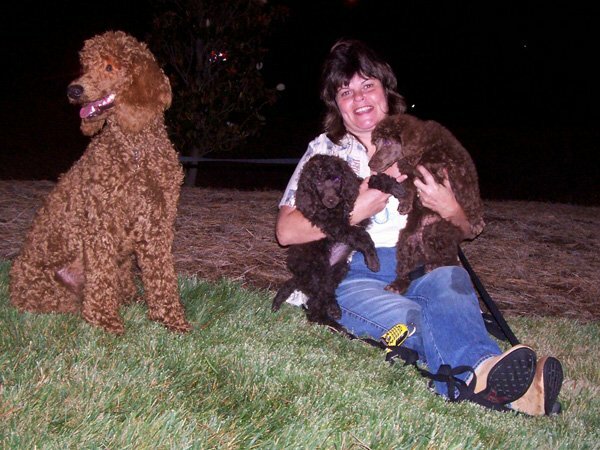 She landed at RDU airport a few days before Christmas and was kept hidden from us. 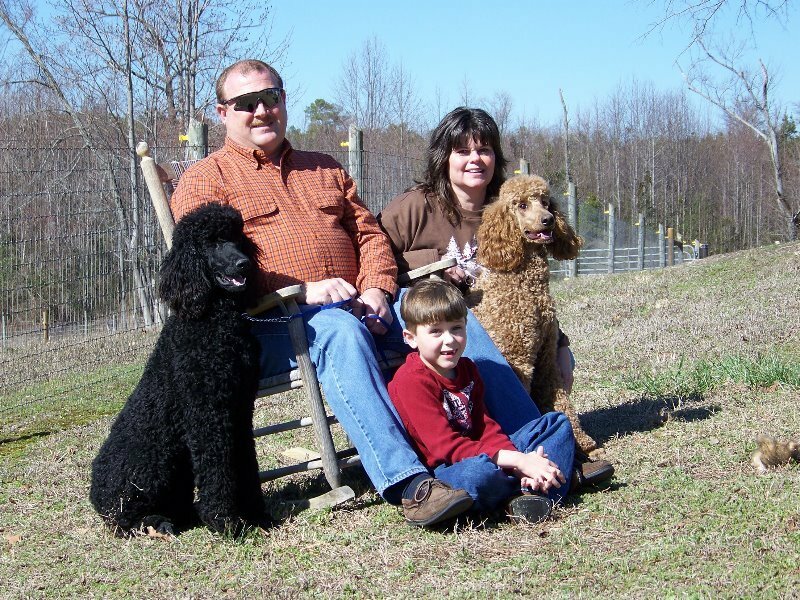 Brian, Holley’s husband, felt like his family was ready for a Standard Poodle of their own and Mama and Daddy decided to buy me a Standard Poodle for a graduation present from N.C. State on December 20th. 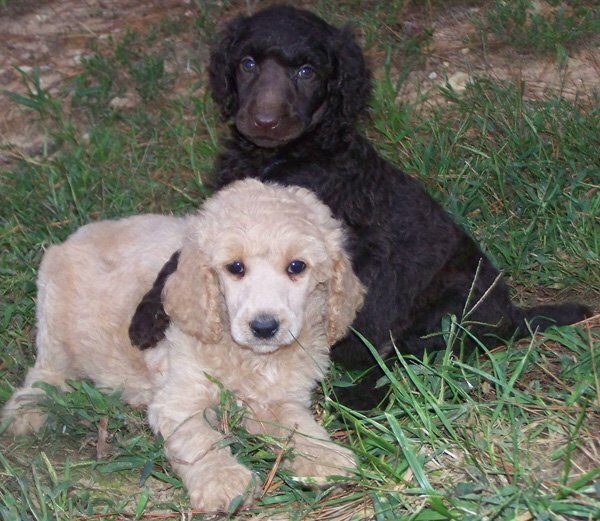 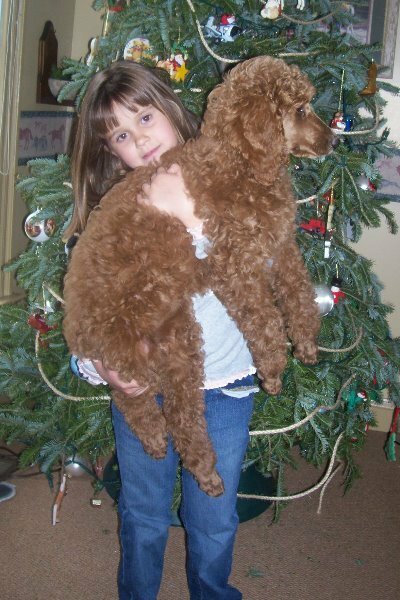 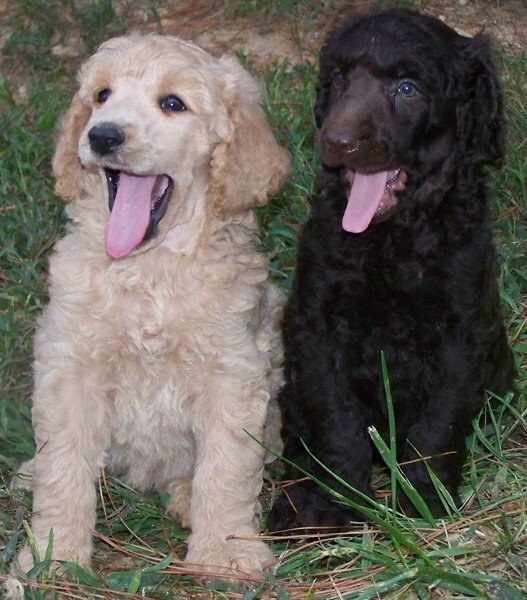 Brian and my parents wanted to surprise both of us with Standard Poodle puppies for Christmas. 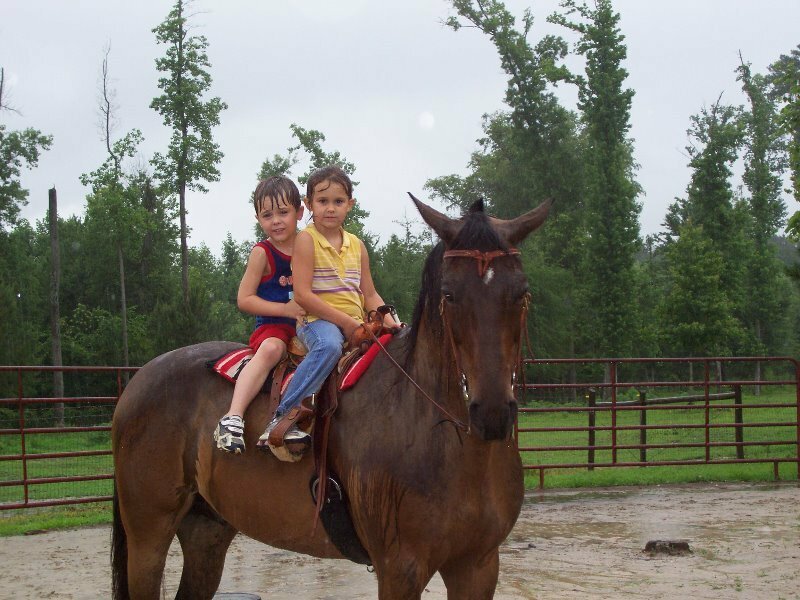 Holley and I had told everyone that we wanted the color brown for our girls. 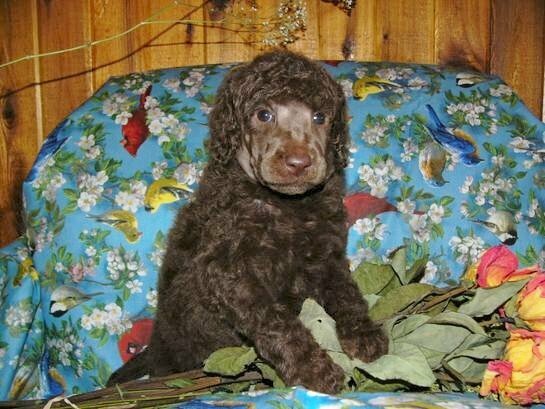 Brian sent one deposit for a brown female for Holley and Mama and Daddy requested a second brown female for me. 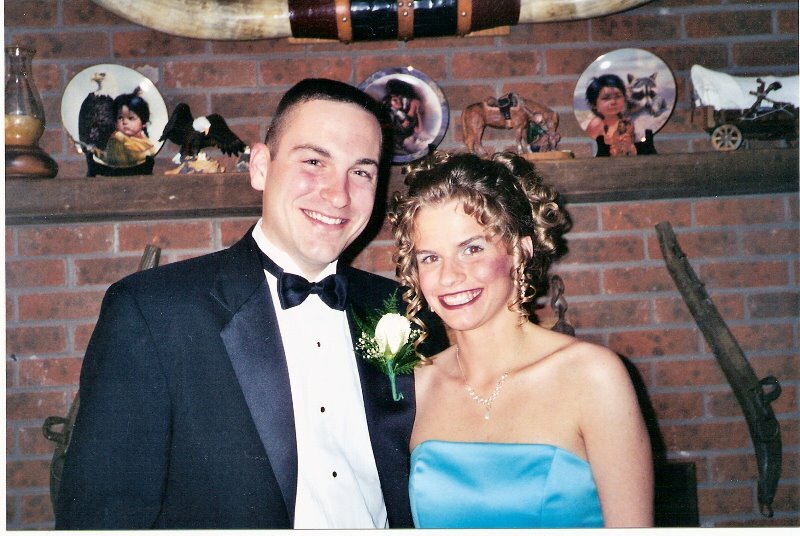 Still neither of us had any clue what was happening. 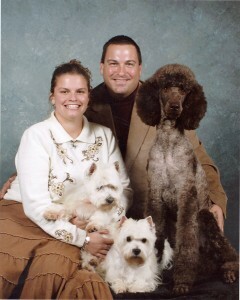 There was a box under the tree with a collar, leash and a picture of the parents of our puppies. 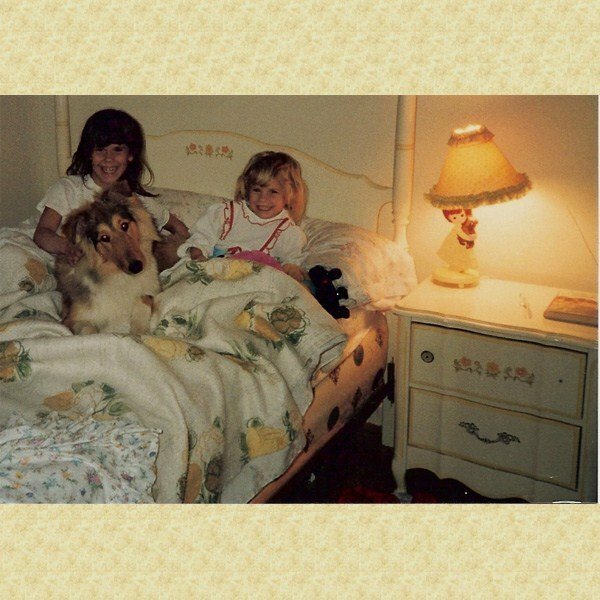 Also included was an I.O.U. 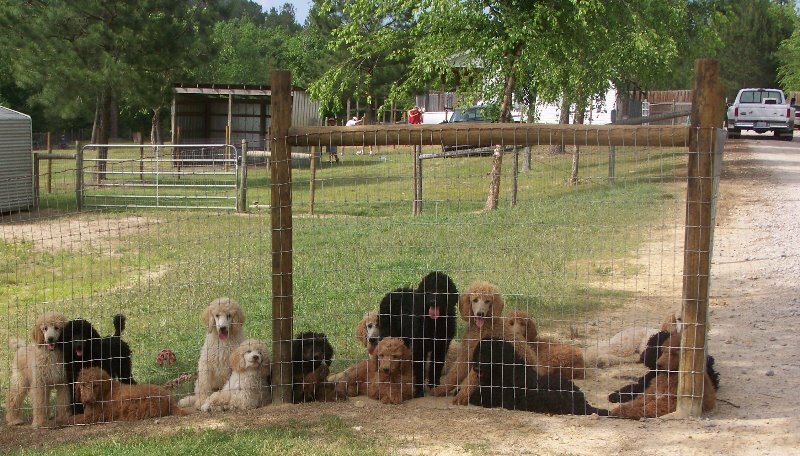 for the puppies due to be born in April. 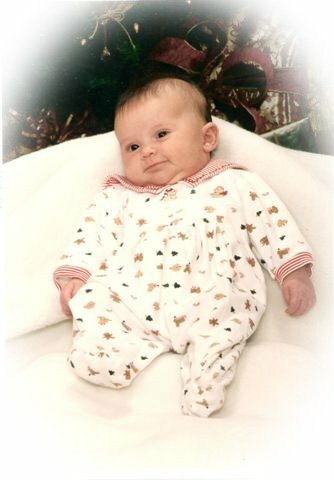 We also got to meet Mama’s little redheaded girl, Noel, on Christmas day. 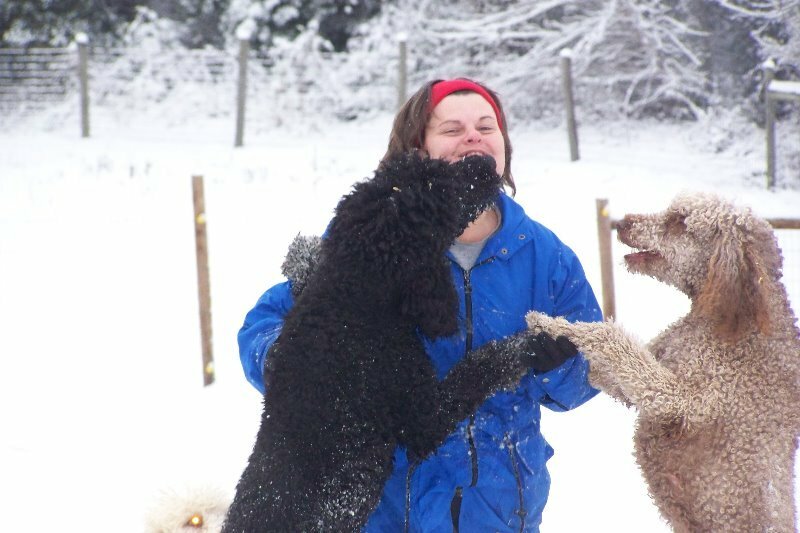 In the meantime Mama had been trying to convince my Meema who had some health problems, that she needed a Standard Poodle to give her some motivation. 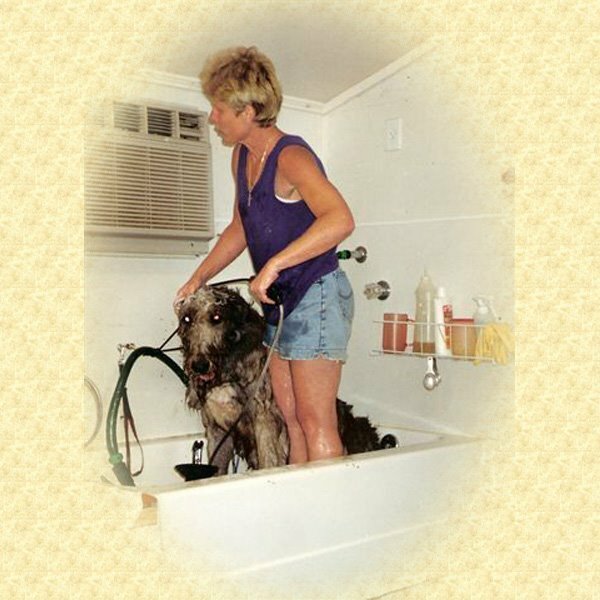 Meema had raised Springer Spaniels, Yorkies and Maltese for 20 years but had been completely retired for a couple of years. 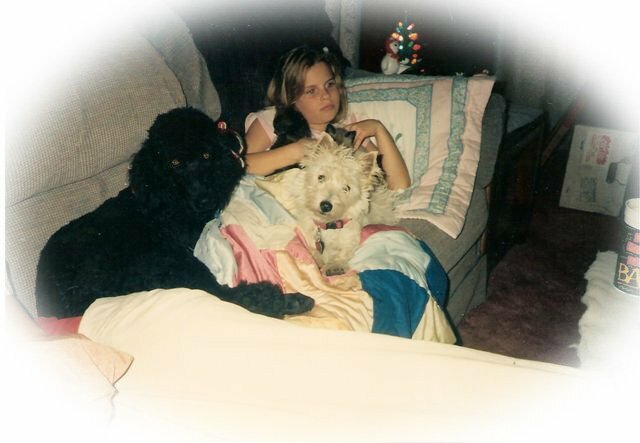 She did not have any dogs and missed the canine companionship. 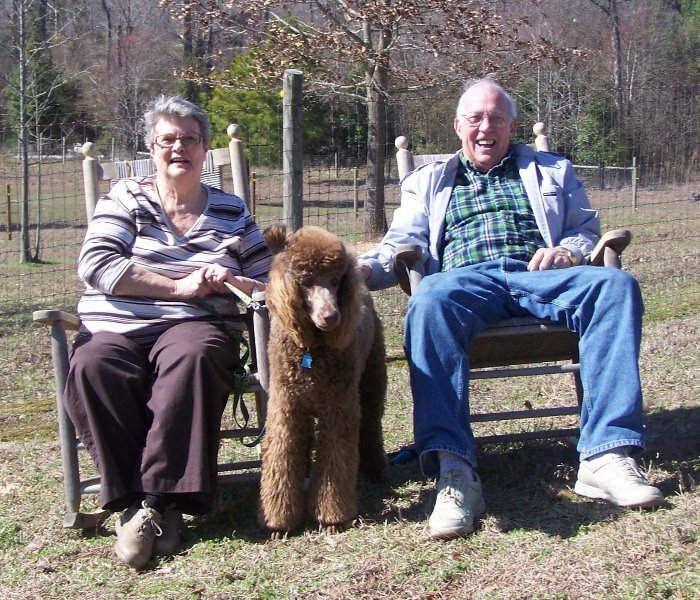 After much thought and prayer Meema and Grandpa Billy got on board. 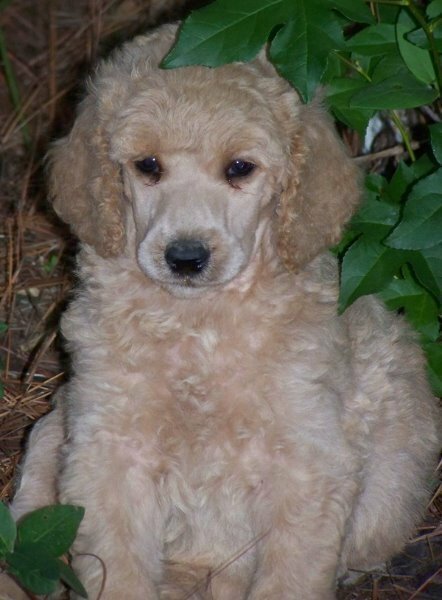 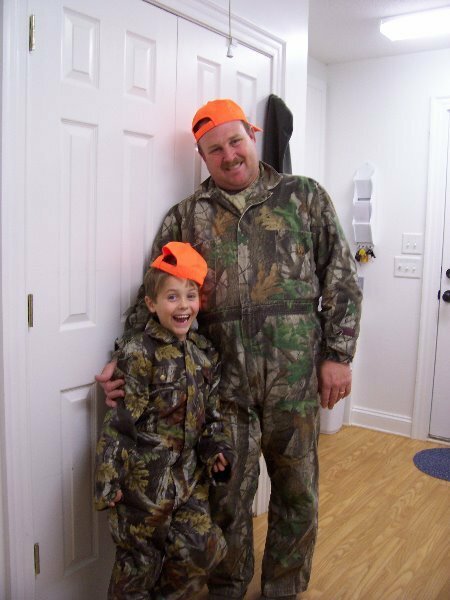 Last but certainly not least Daddy decided he wanted one that would make a good retriever and sporting companion. 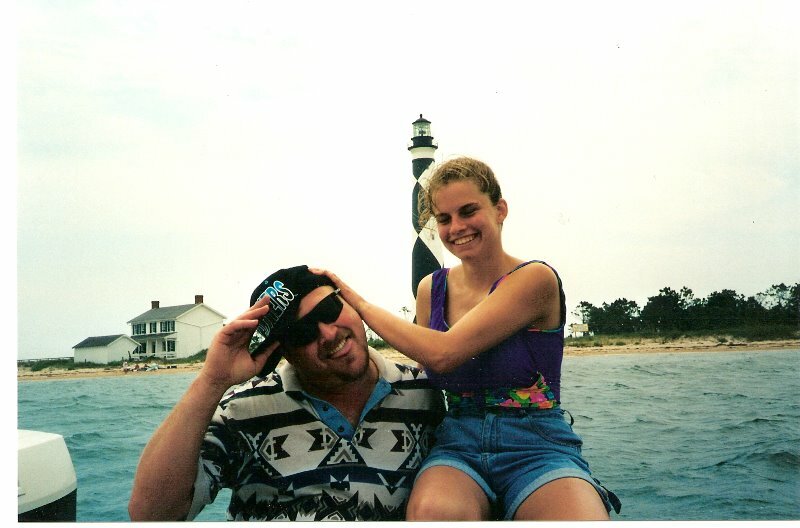 He wanted a black male. 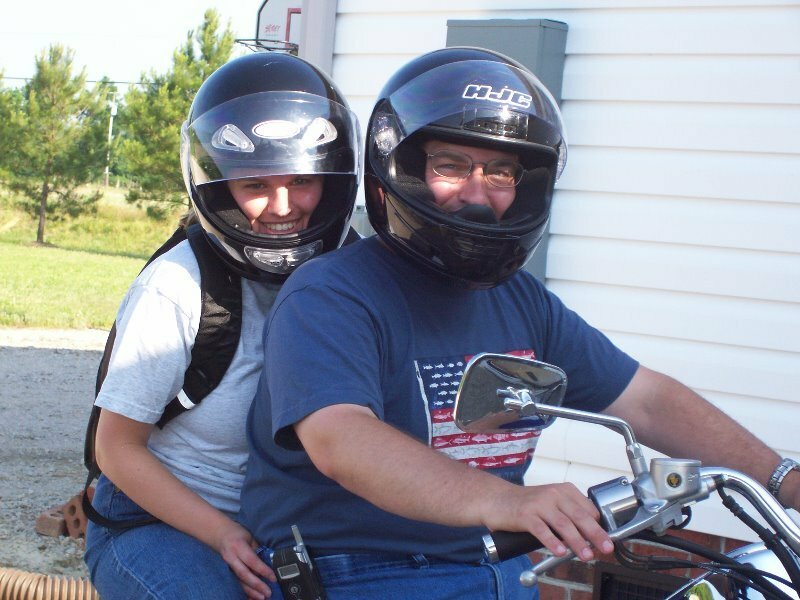 So we sent Debbie and Steve two more deposits. 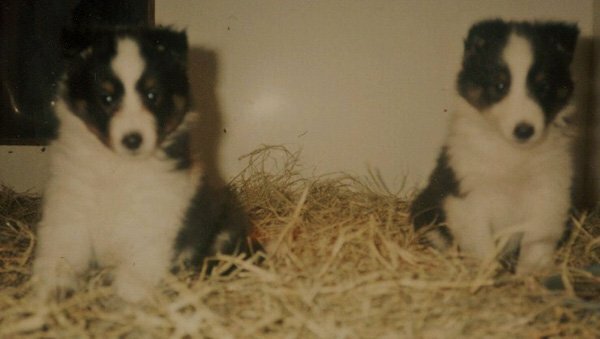 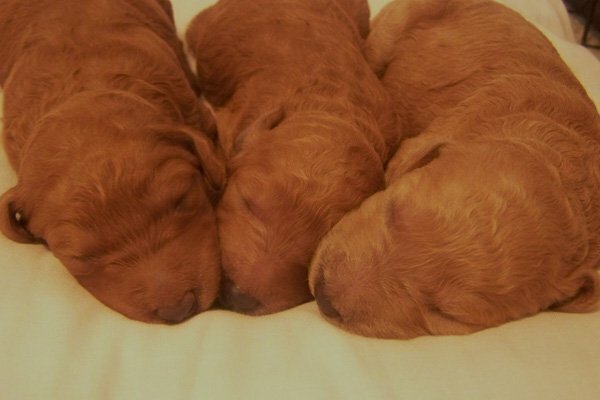 These two puppies would not be born until April either so the long wait for spring and our four new babies began. We decided as a family, including my Meema and Grandpa Billy, to again provide the general public with this almost human family member. 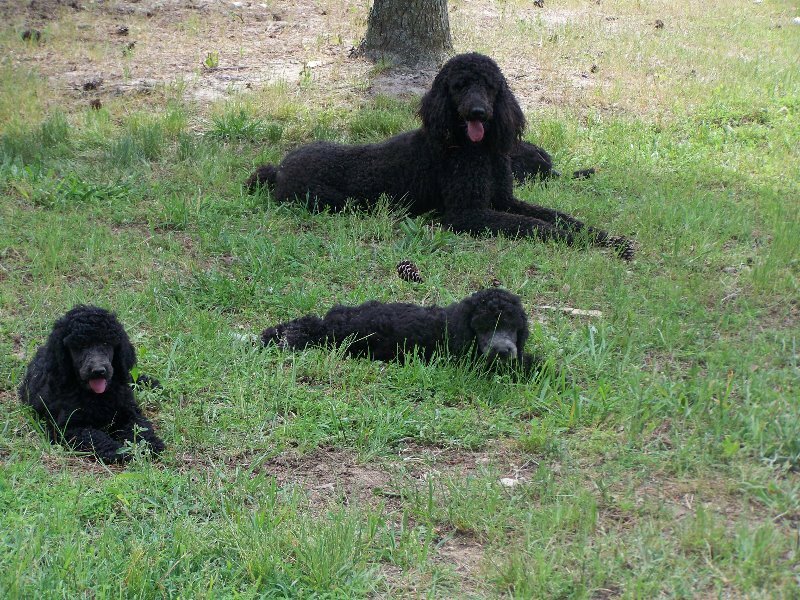 Thus, FAMILY AFFAIR STANDARD POODLES was born. 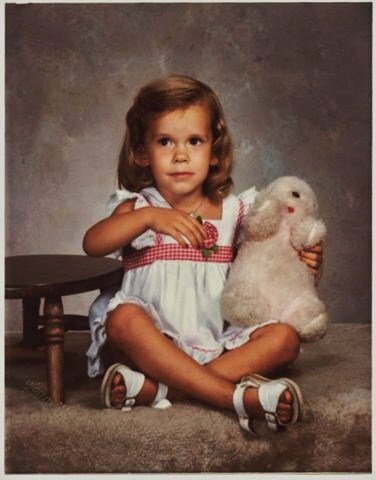 As you read earlier in this short biography. 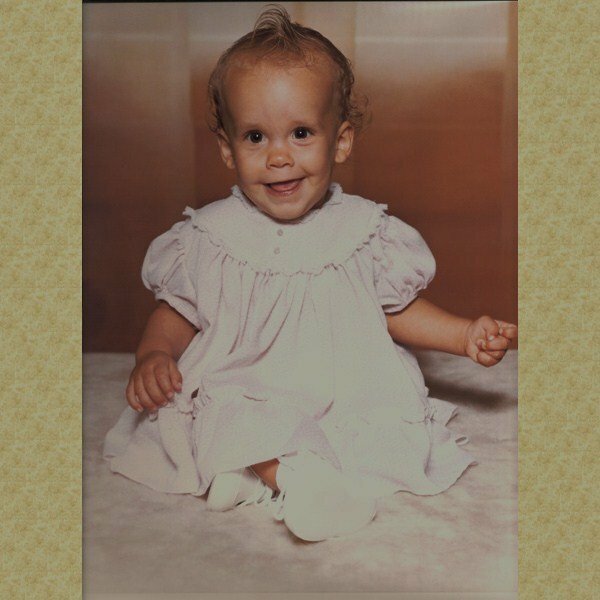 I have wanted to become a pilot since I was a small child but I discovered the Lord had other plans for me. 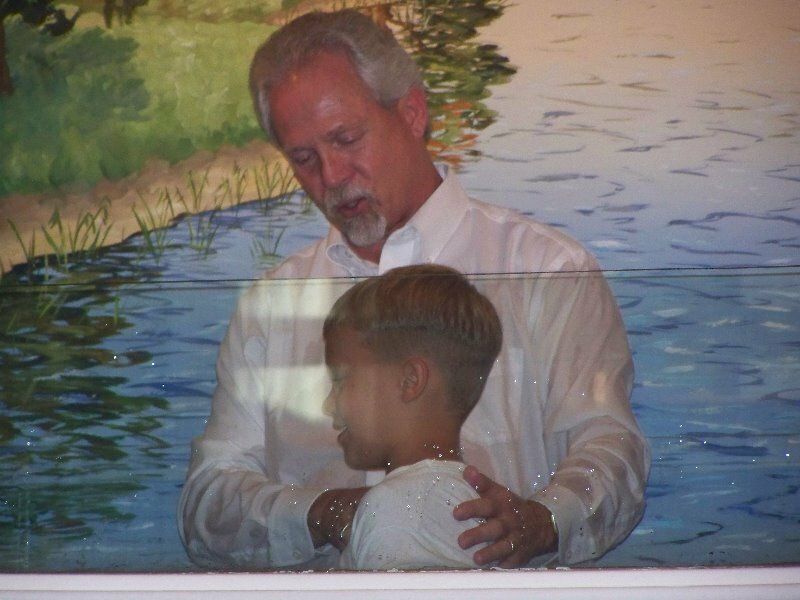 Although it has been difficult at times, in my heart, I knew “HIS” plan was better than mine. 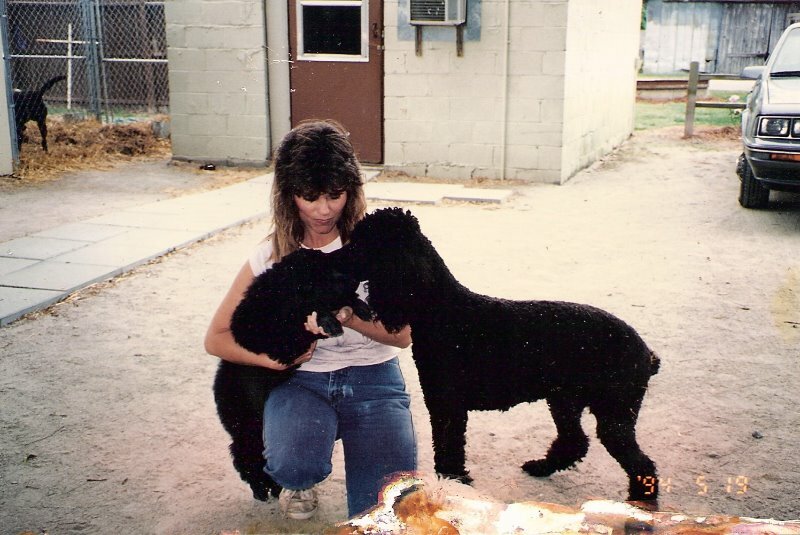 I had been blessed with another passion and one I had grown up with and that is my love for all of God’s creatures. 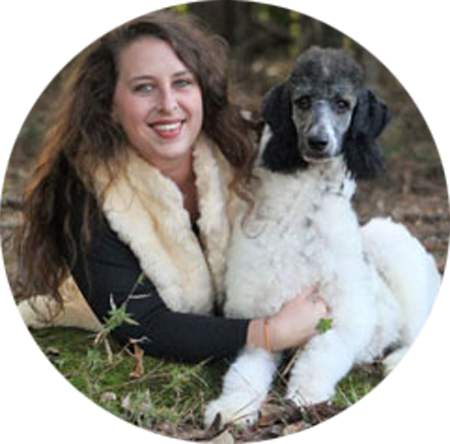 So with lots of prayer and the Lord’s guidance I decided to raise Standard Poodles full time along with designing and building our website. 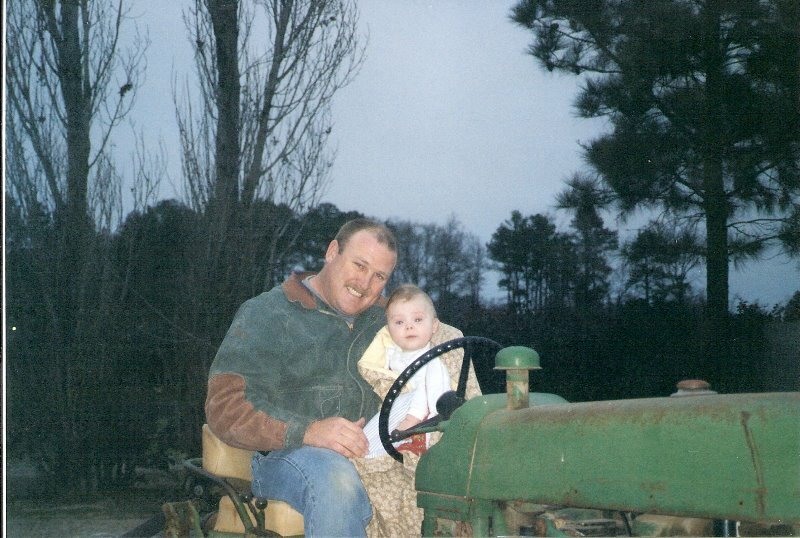 I was able to stay at home and still help Blake provide for our family. 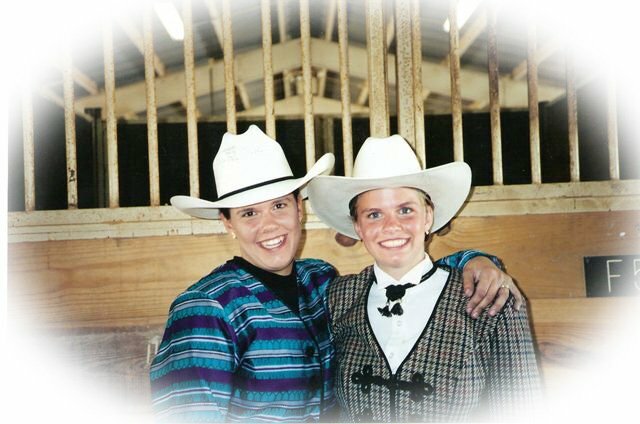 I was blessed to be doing something that I love and know well because of the skills and knowledge that mama has passed on to Holley and me. 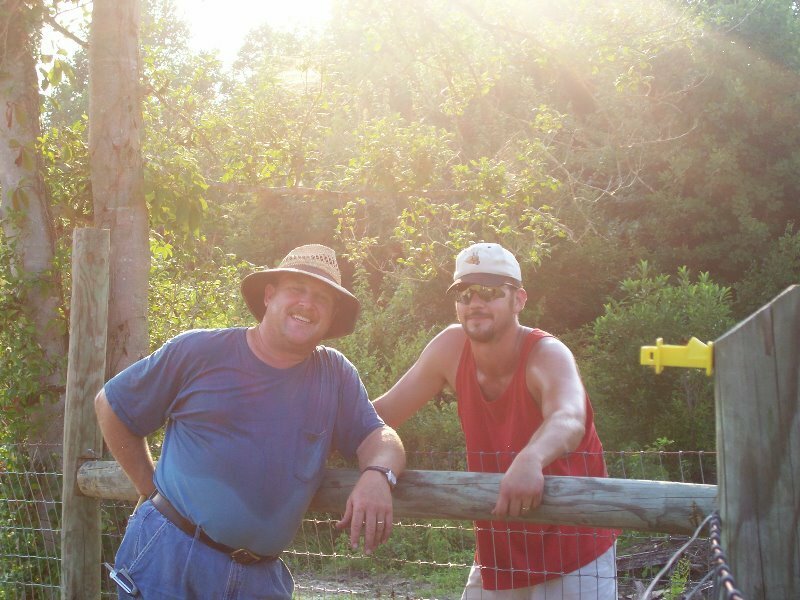 Our amazing guys, Daddy, Blake, and Brian have been working non-stop since 2007 building a new facility at Arrowhead Acres, my parent’s home place. 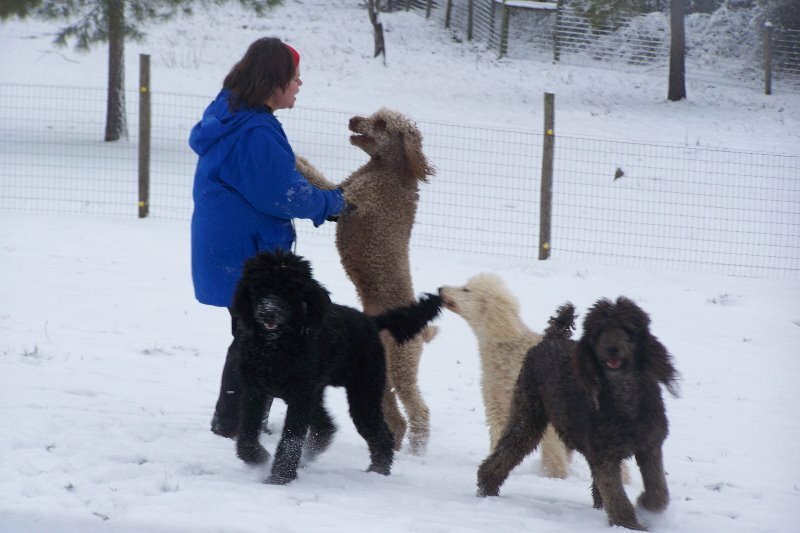 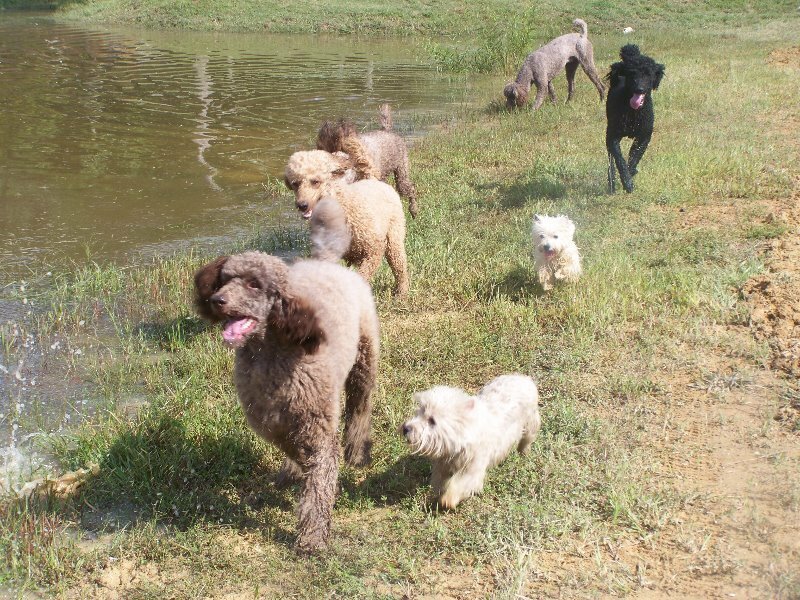 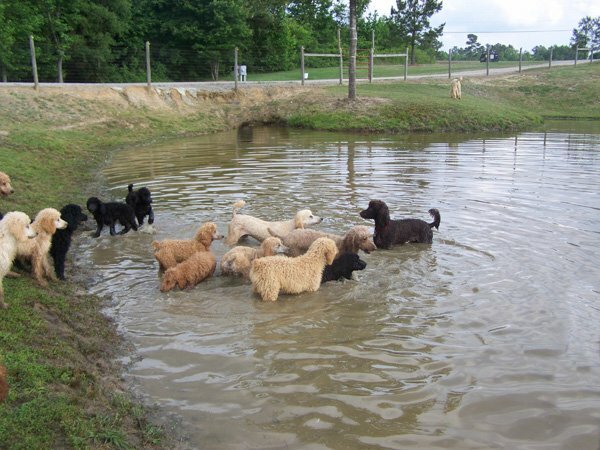 There, our Standard Poodles have lots of country air, room to run and play, and lots of affection from all the children and my entire family. 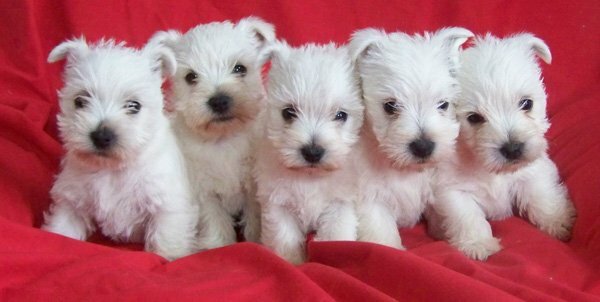 Blake and I want to add more human bundles of joy to our family in the future but for now we were content with our canine babies. 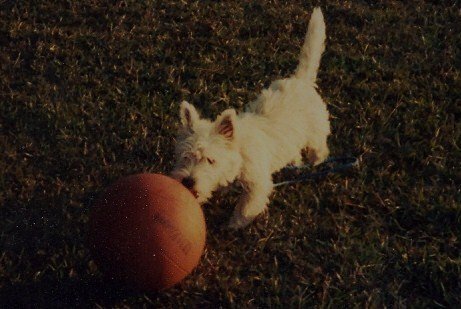 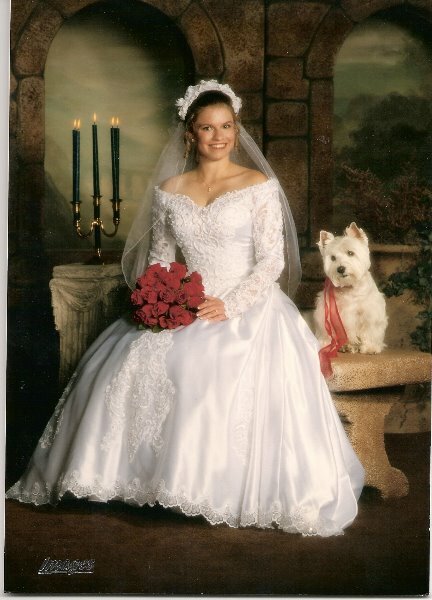 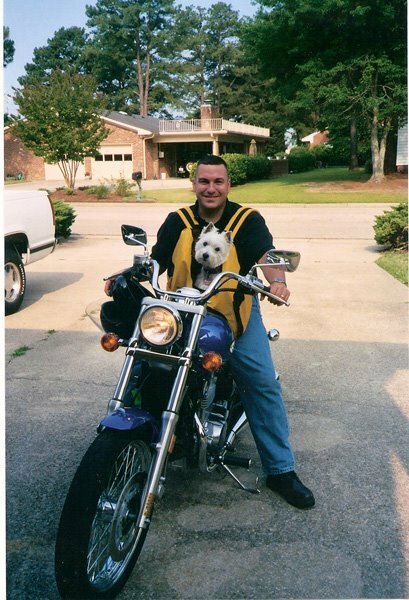 Sprite was our 16yr old Westie and Harley our 3 yr old Westie, the cornerstone of Mom’s Arrowhead Acres Westies. 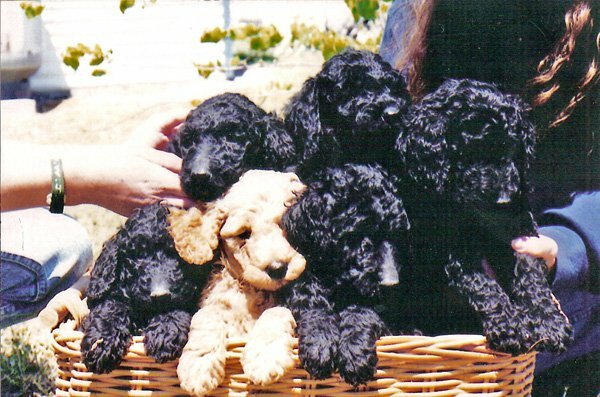 We also had our beloved FAMILY AFFAIR STANDARD POODLES. 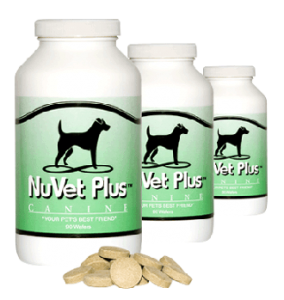 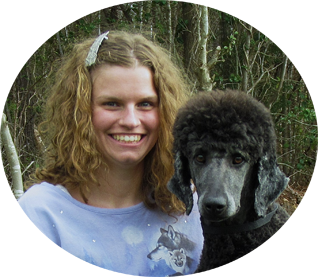 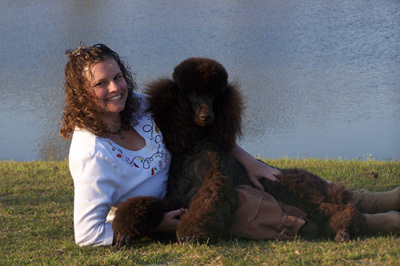 We are dedicated to the future health and well being of the Standard Poodle. 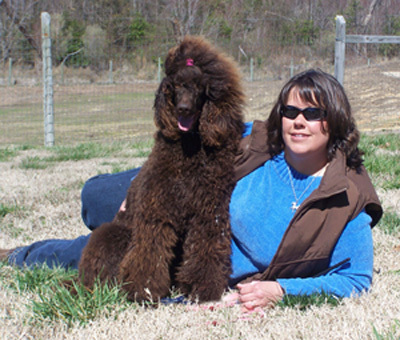 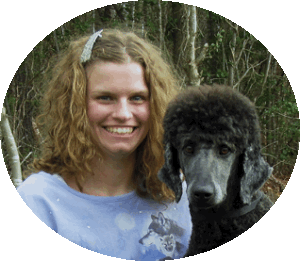 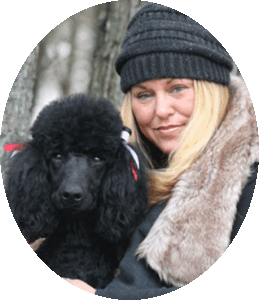 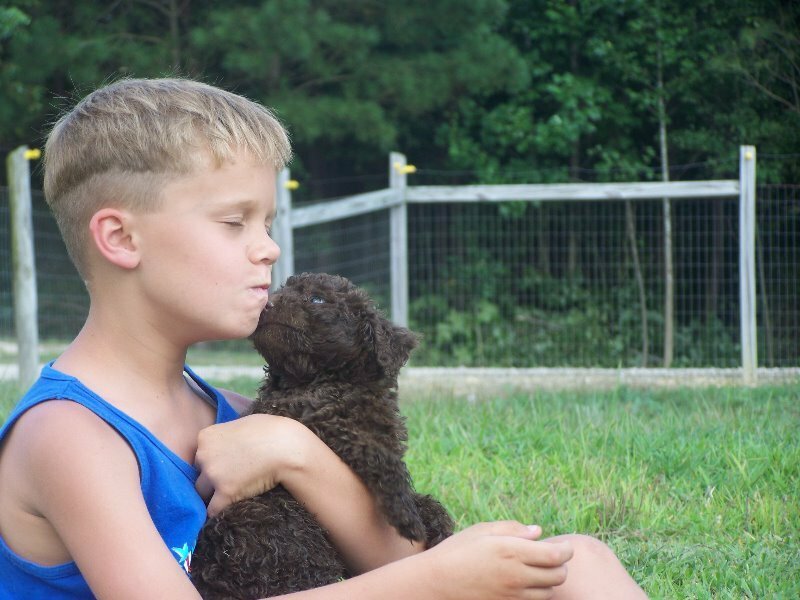 We love this breed and believe the Standard Poodle makes an ideal companion and friend. 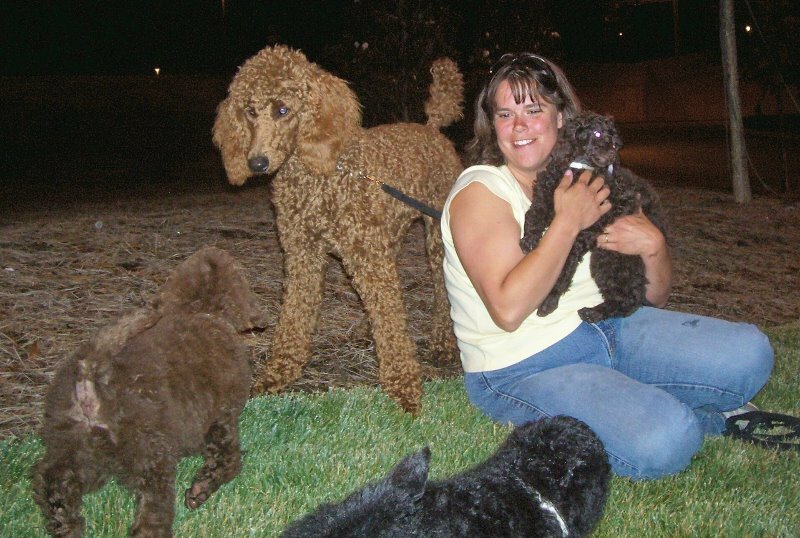 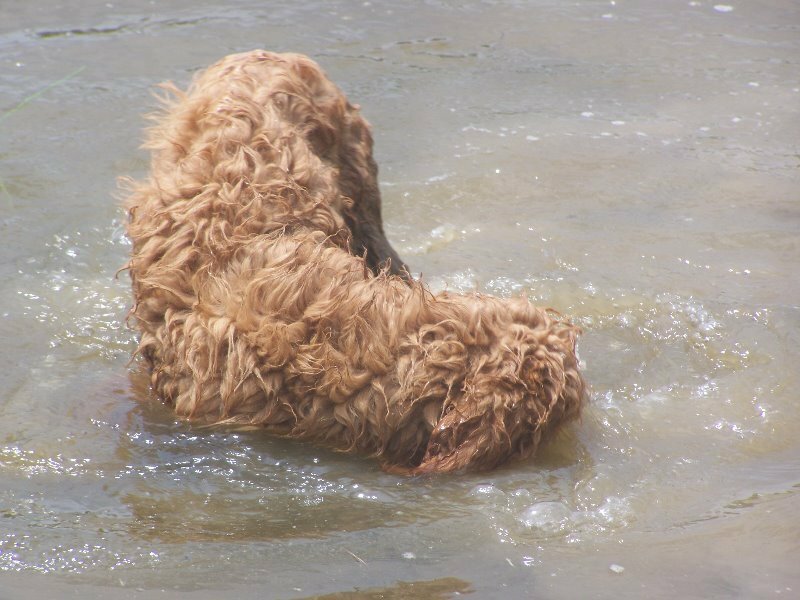 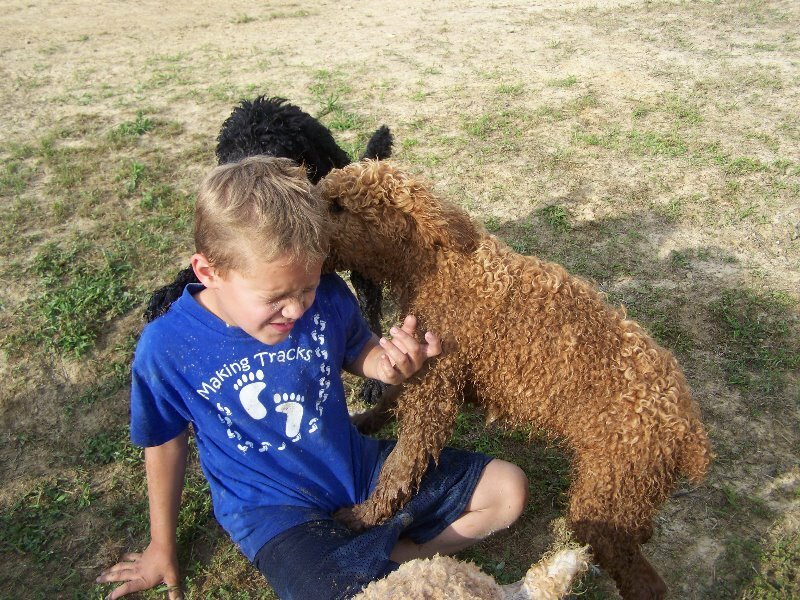 If you have decided to make a Standard Poodle a member of your family, we hope you will make it a FAMILY AFFAIR STANDARD POODLE. 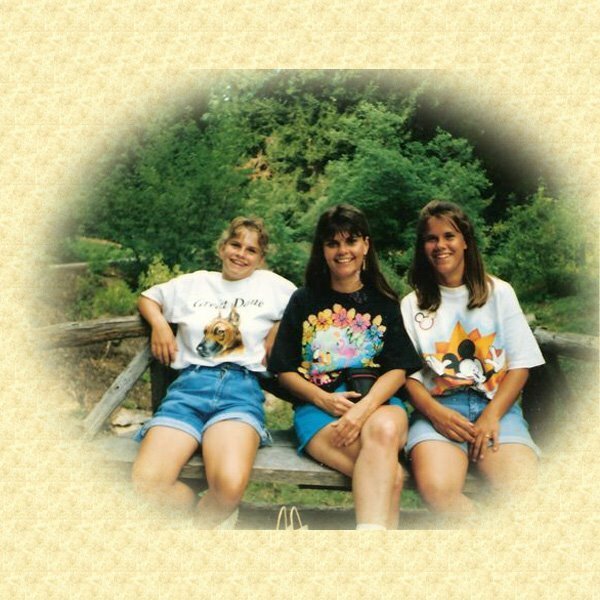 My Mama and sister wrote this short biography of my life in June of 2008….to be continued…..